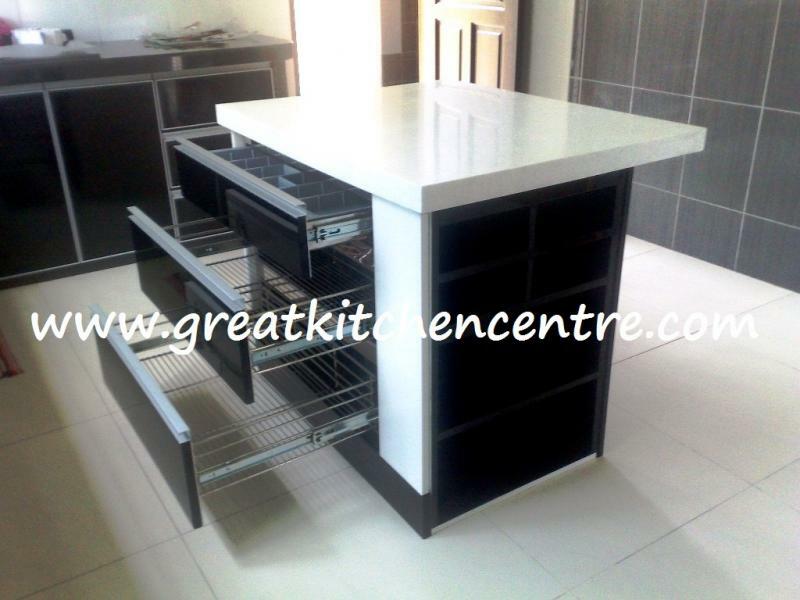 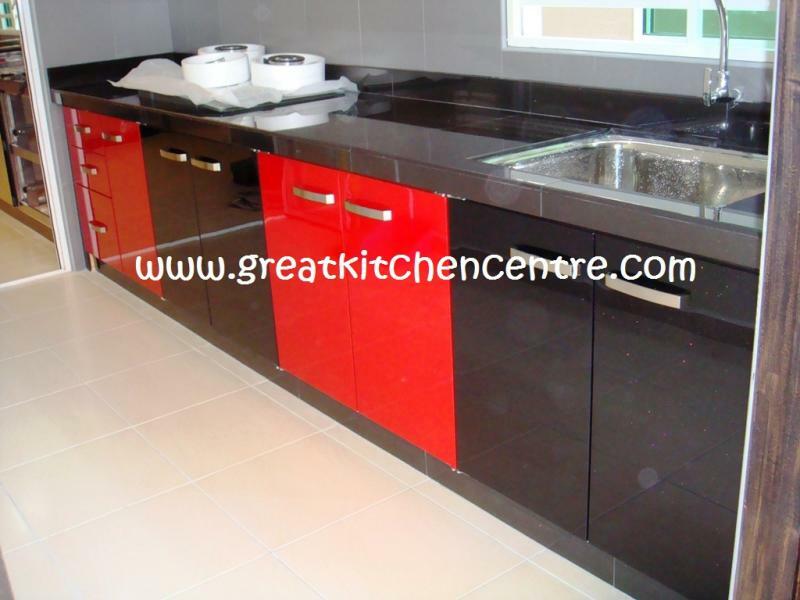 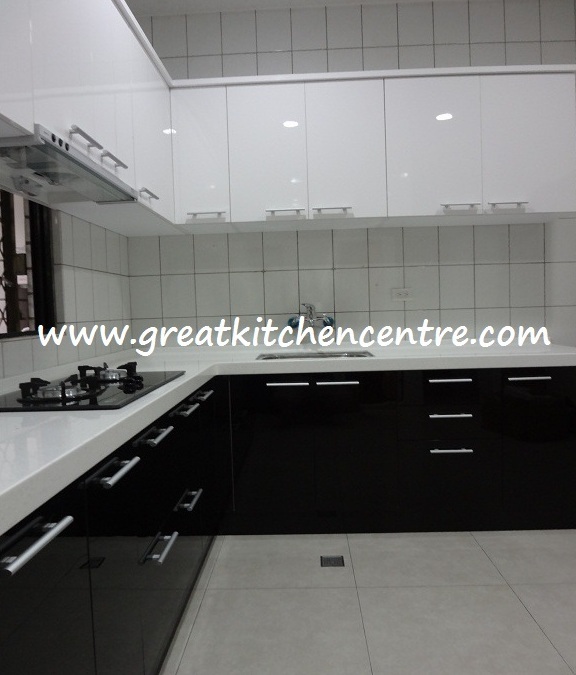 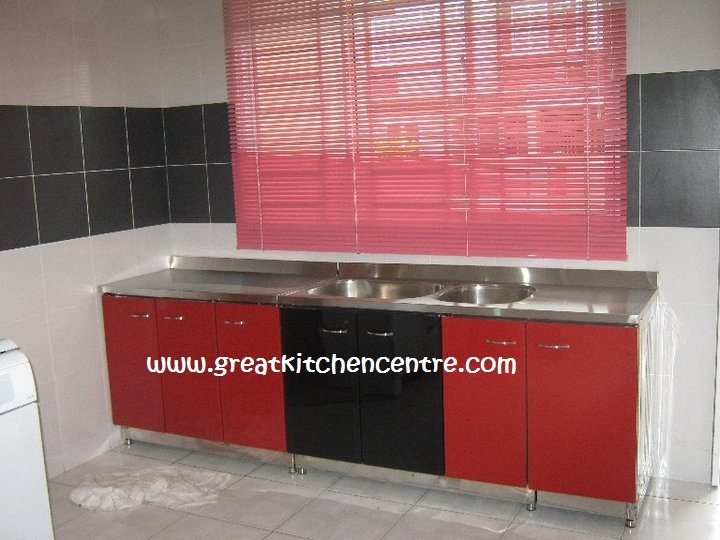 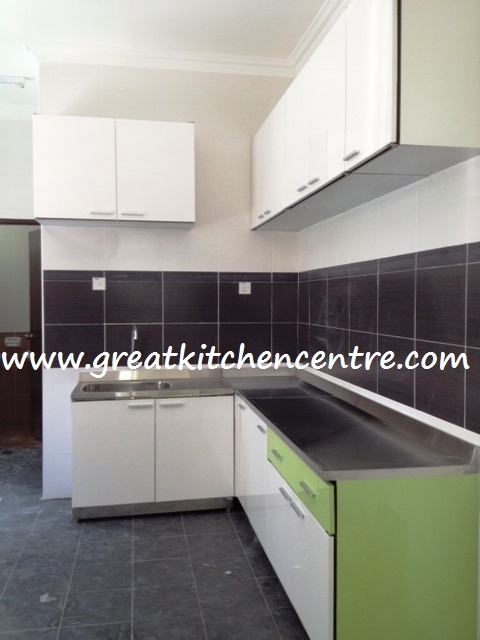 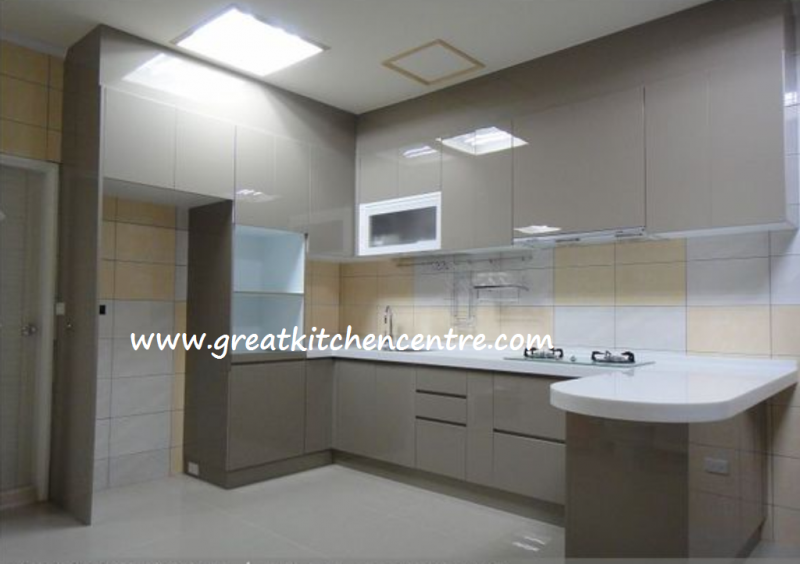 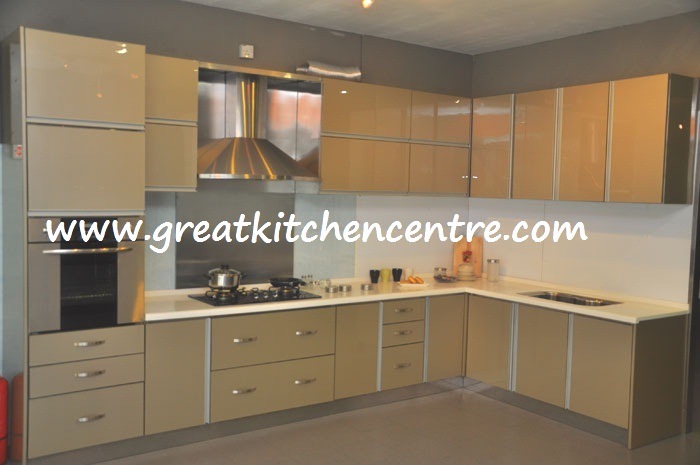 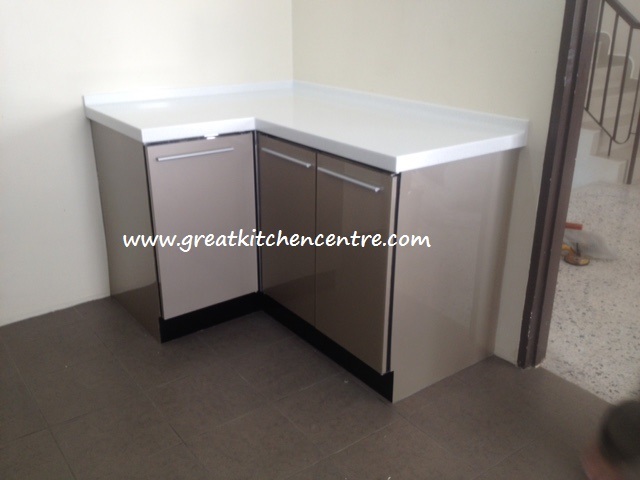 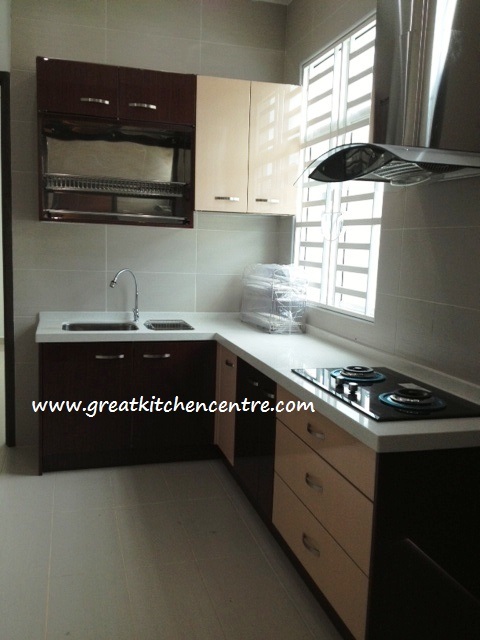 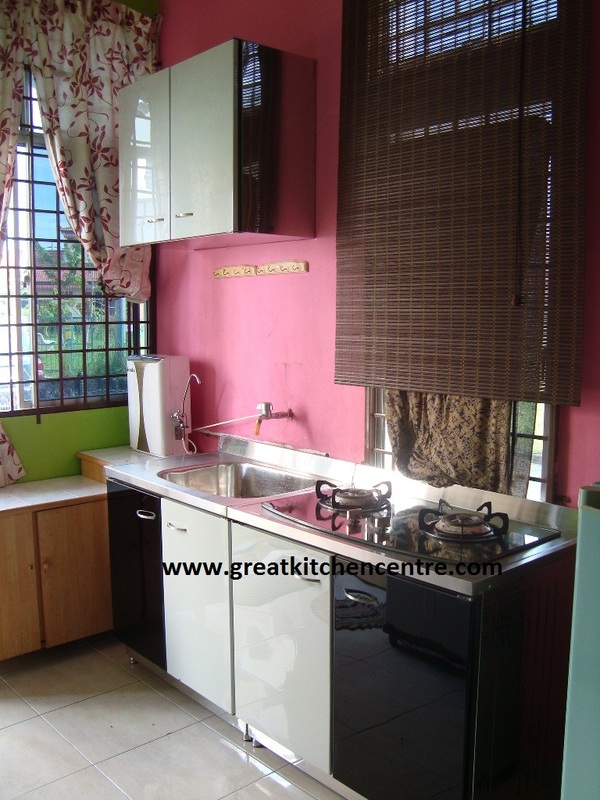 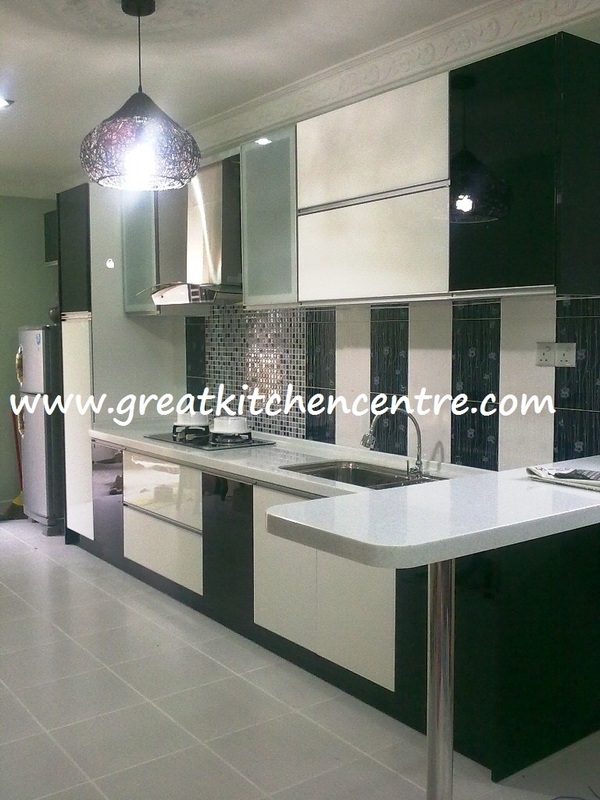 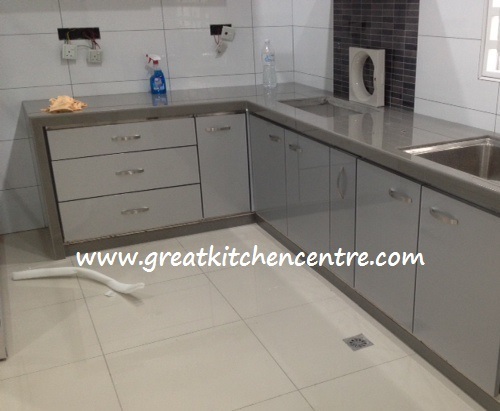 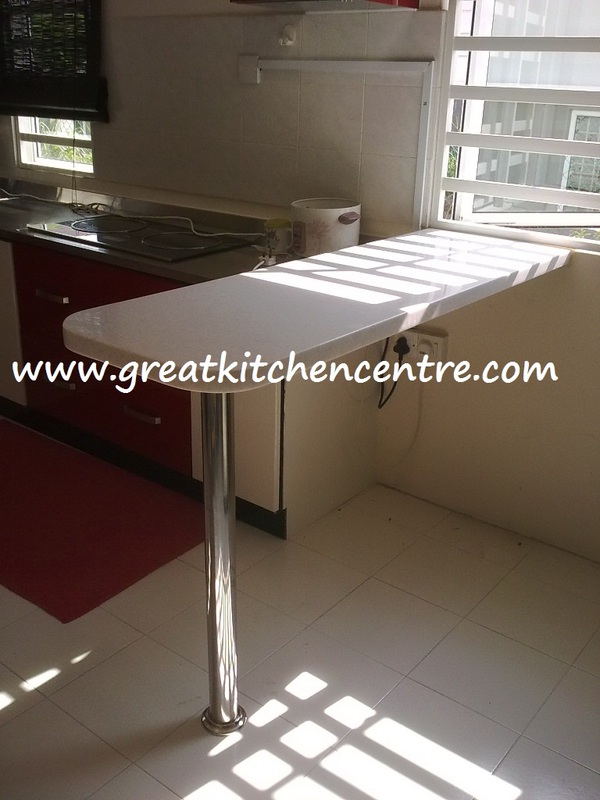 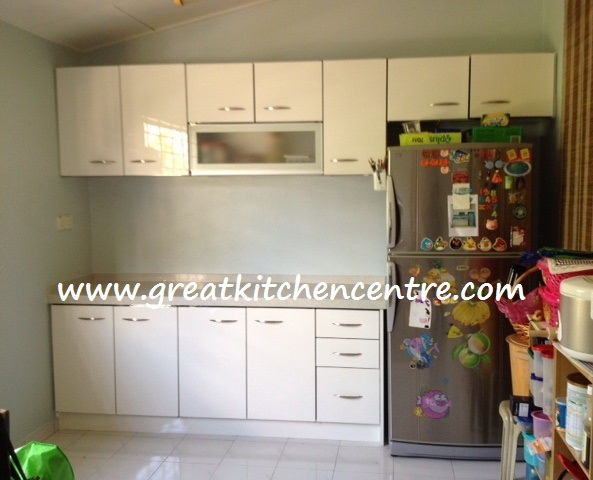 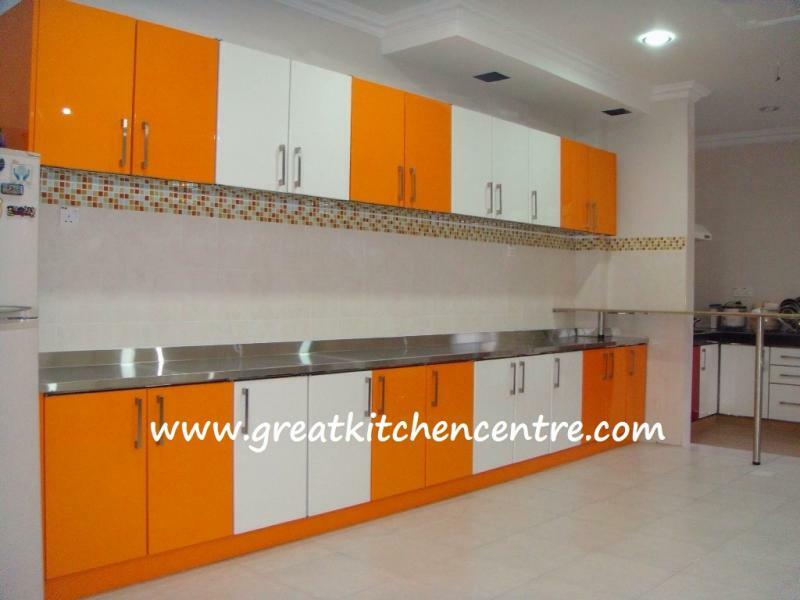 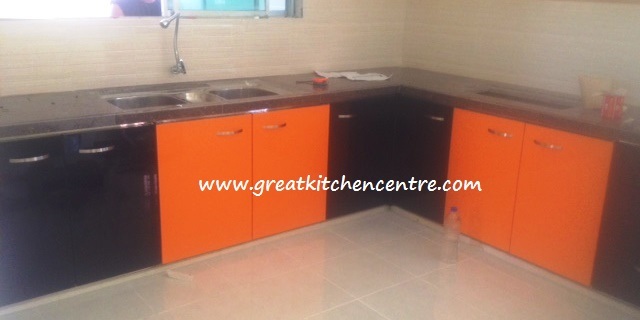 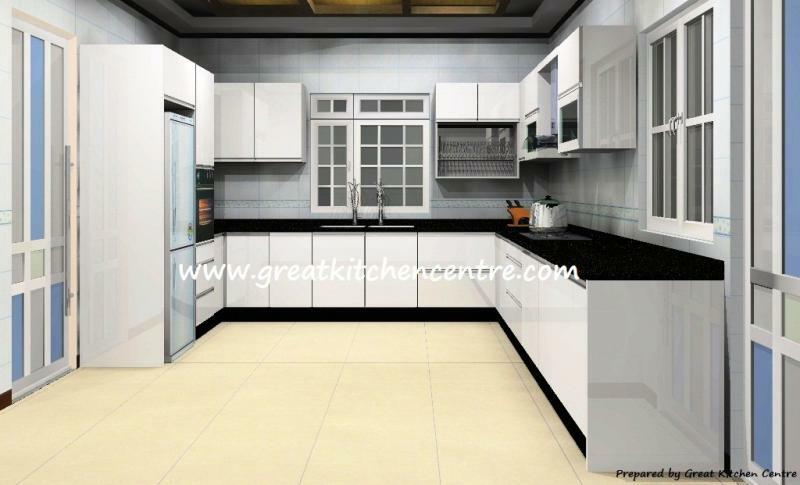 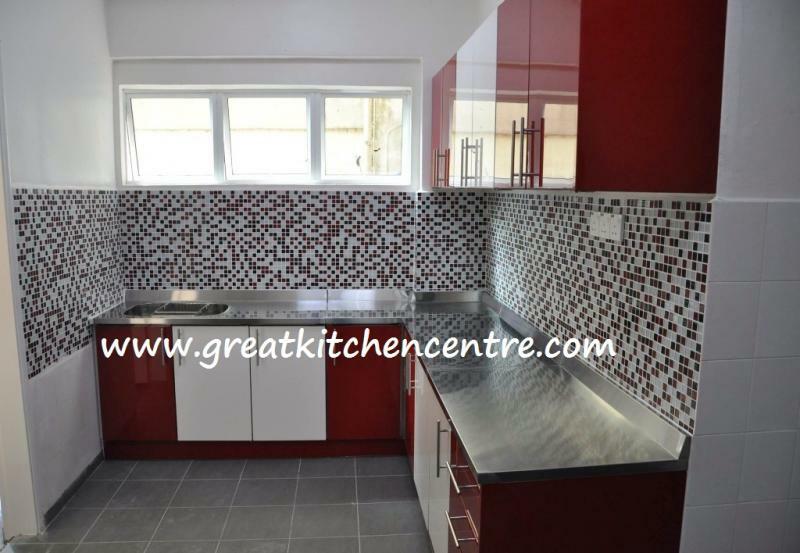 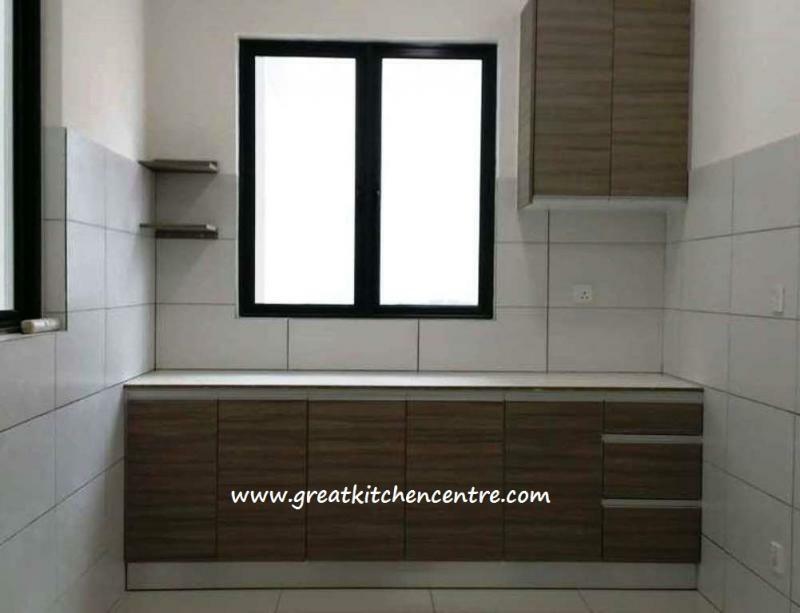 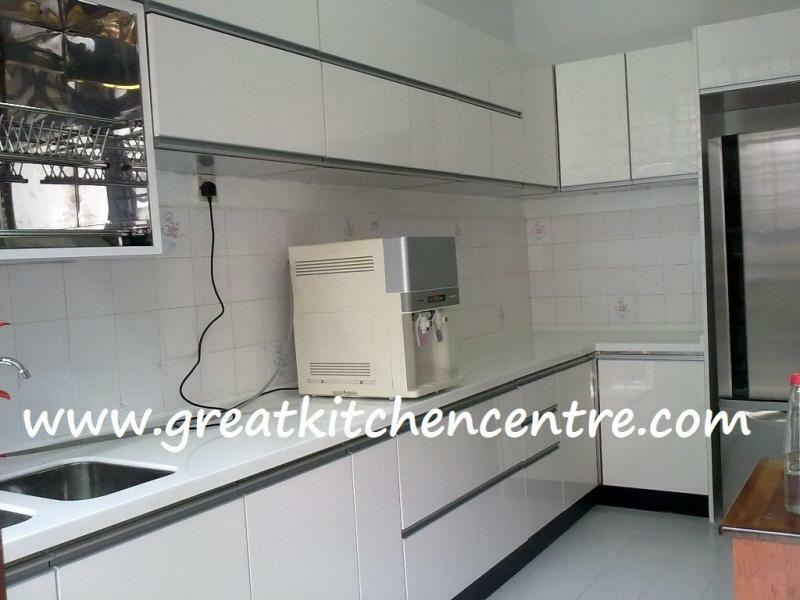 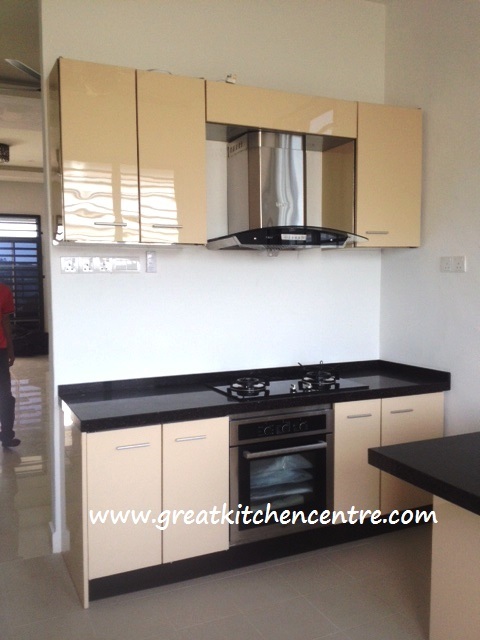 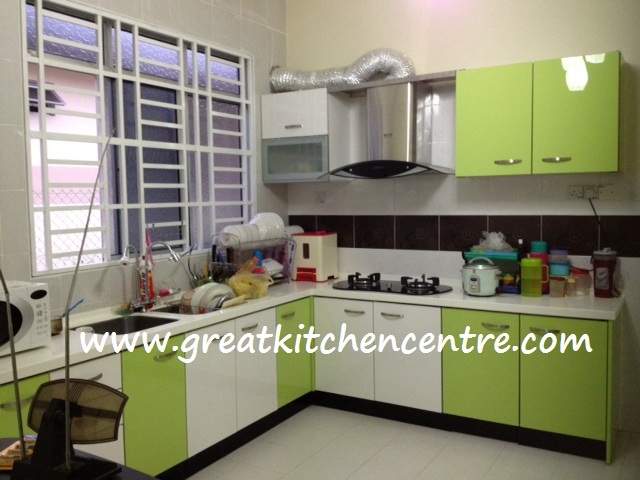 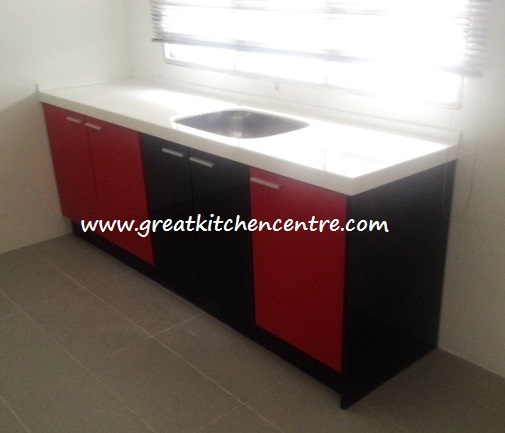 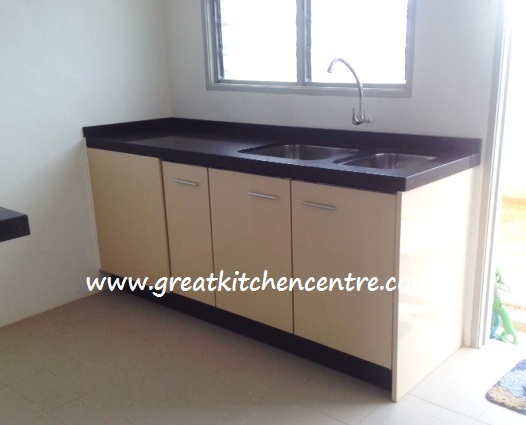 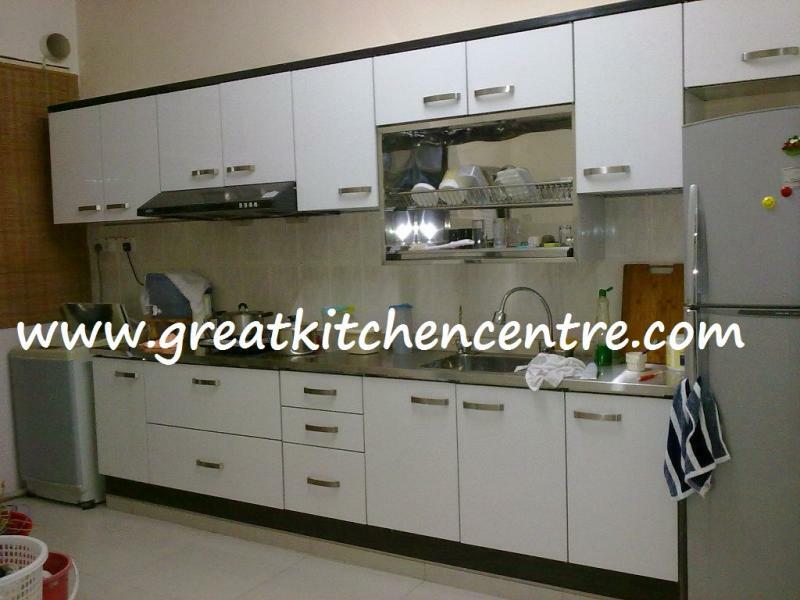 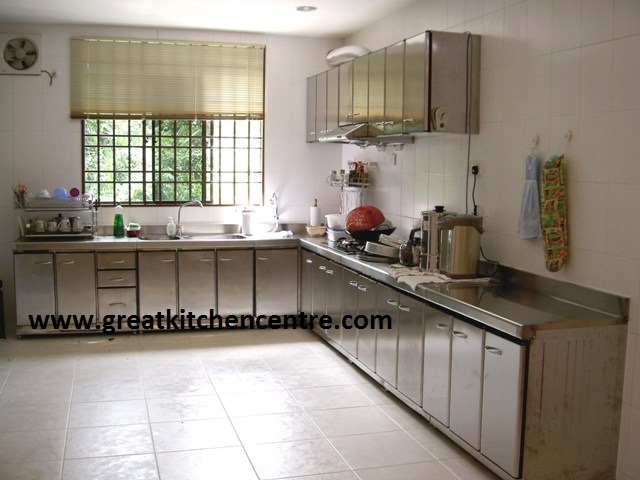 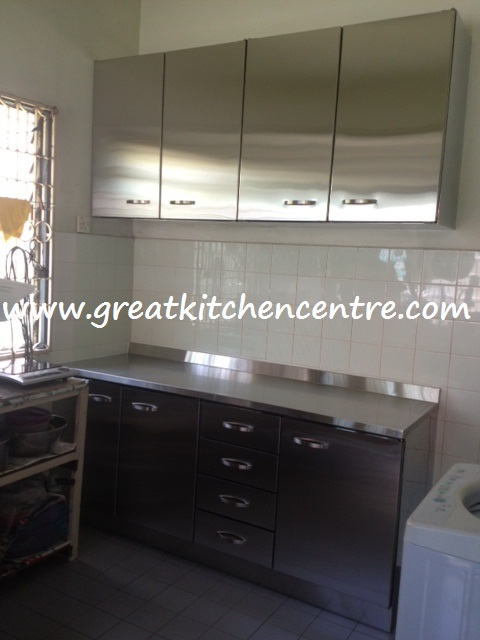 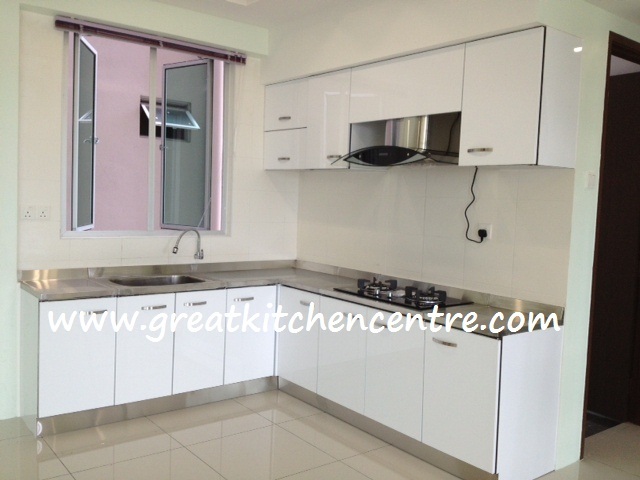 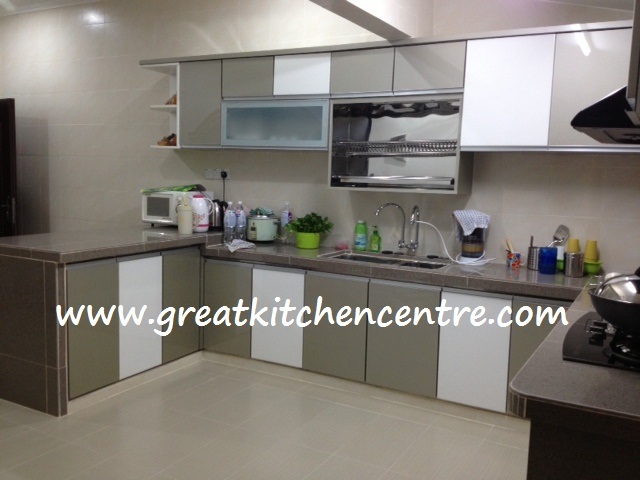 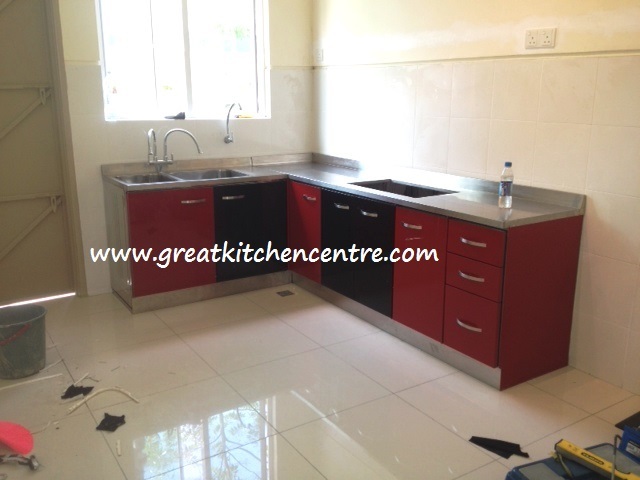 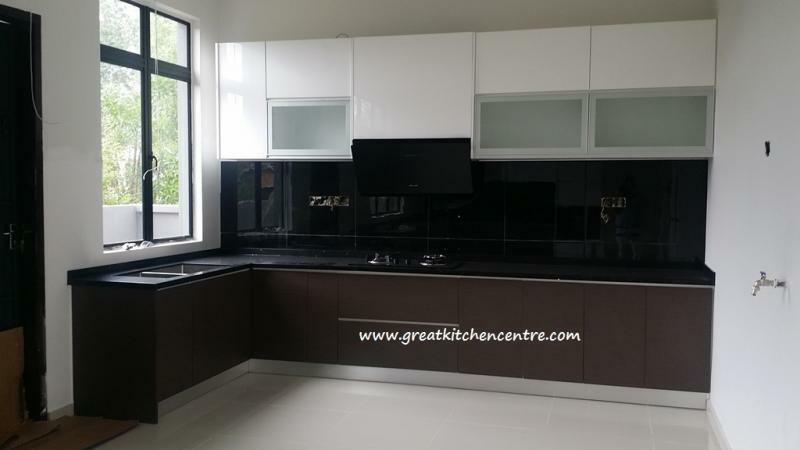 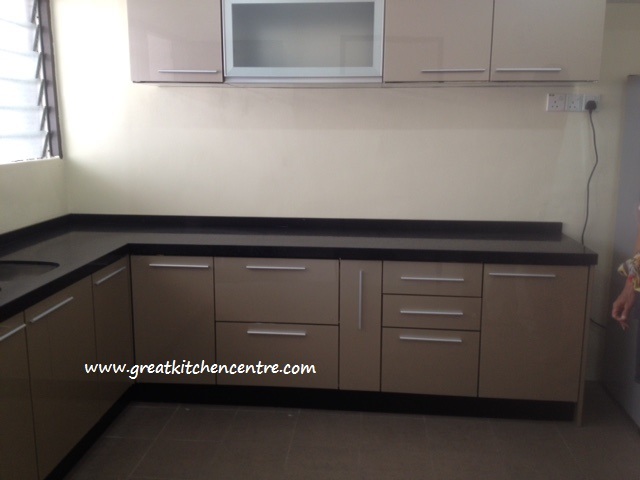 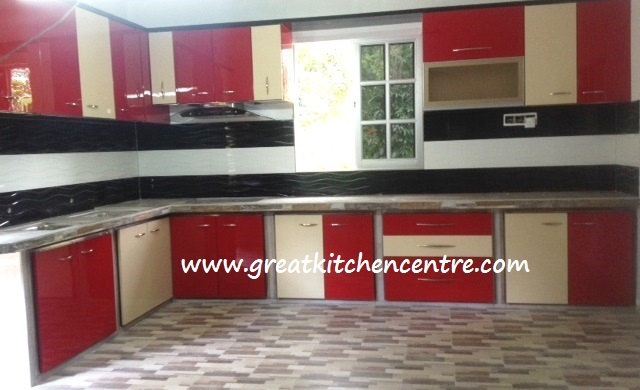 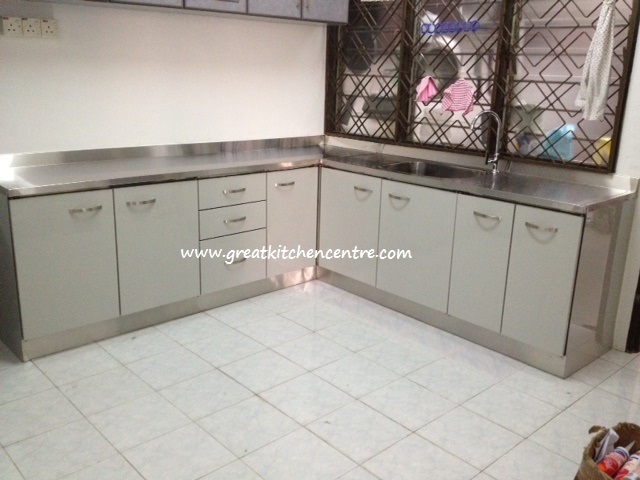 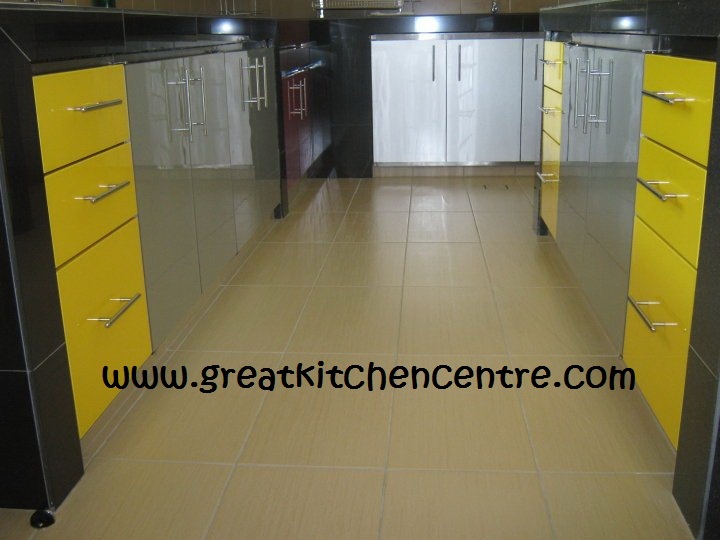 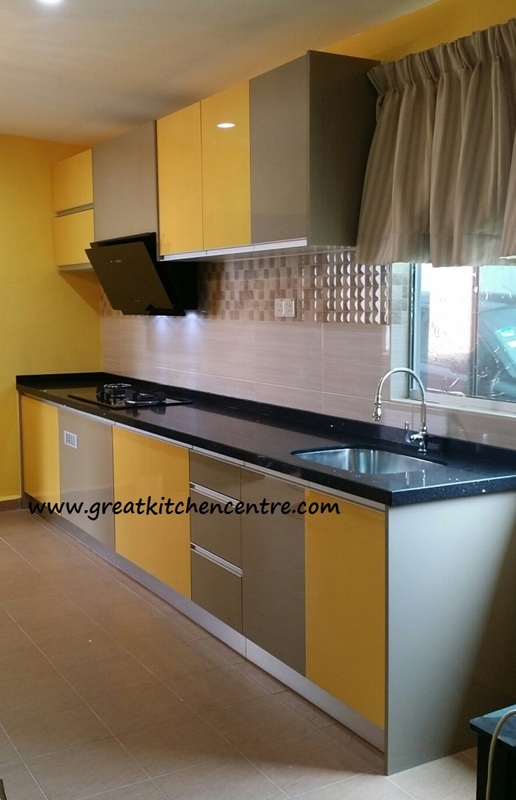 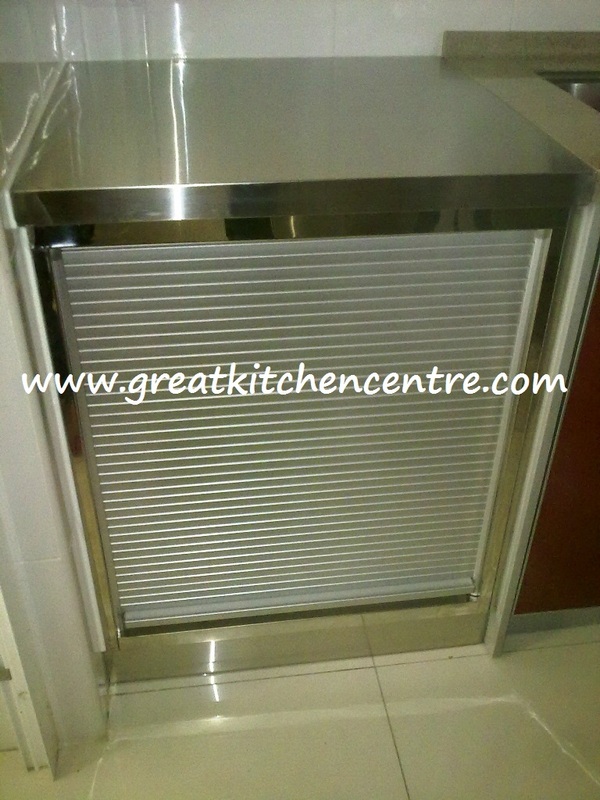 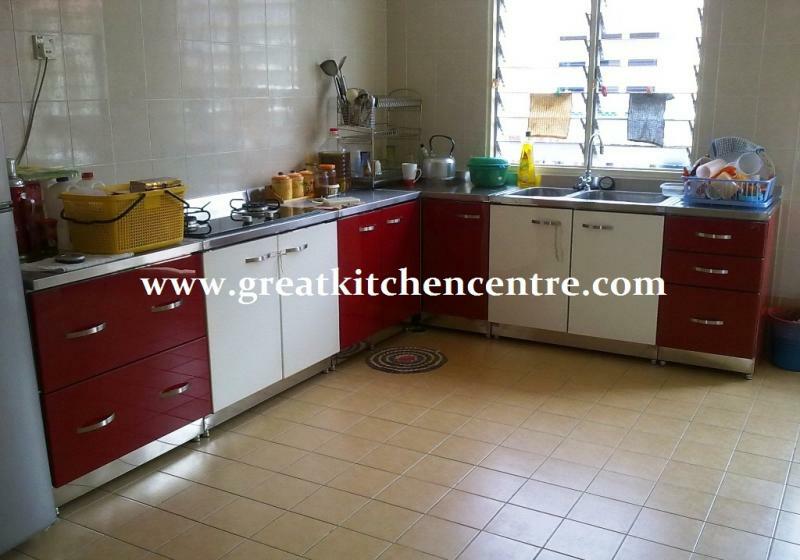 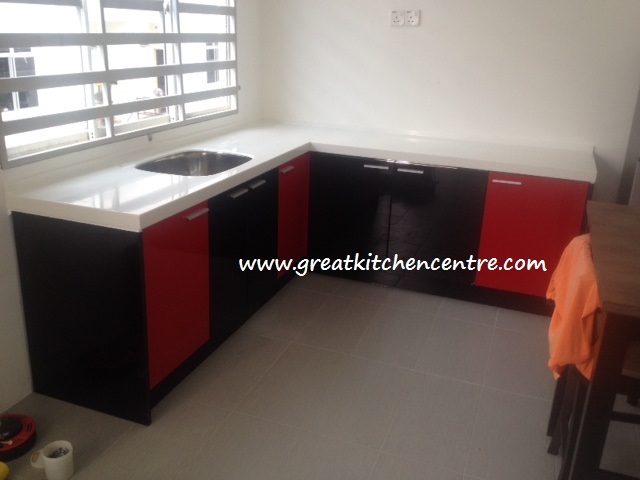 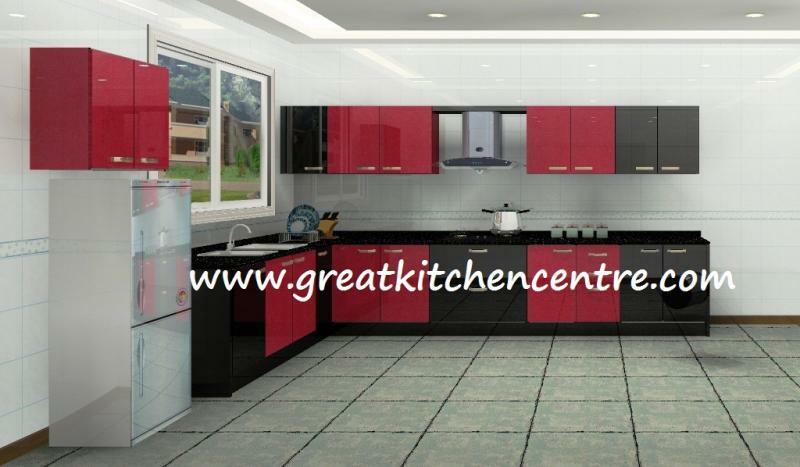 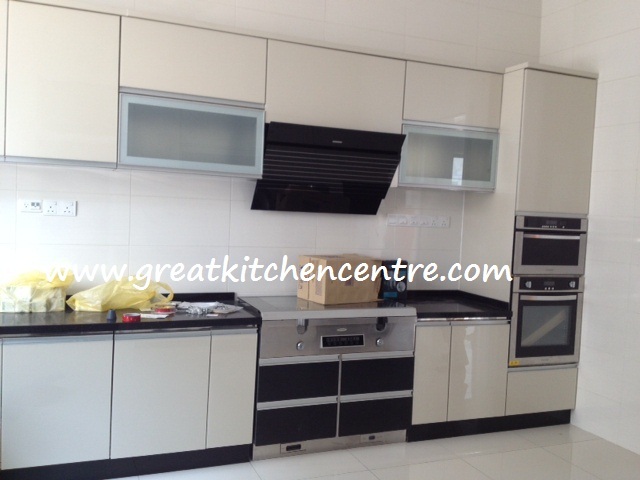 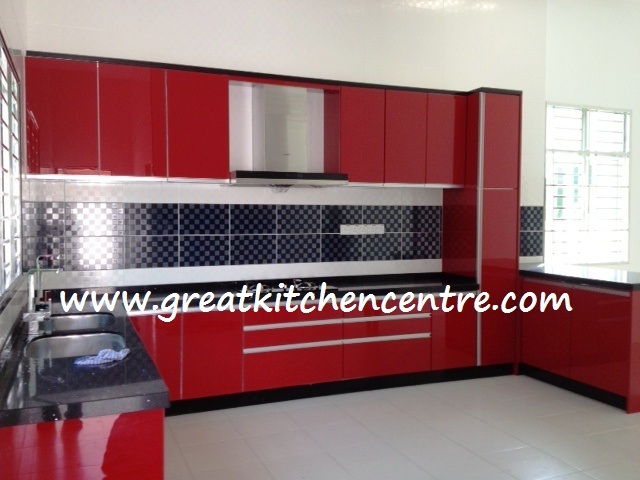 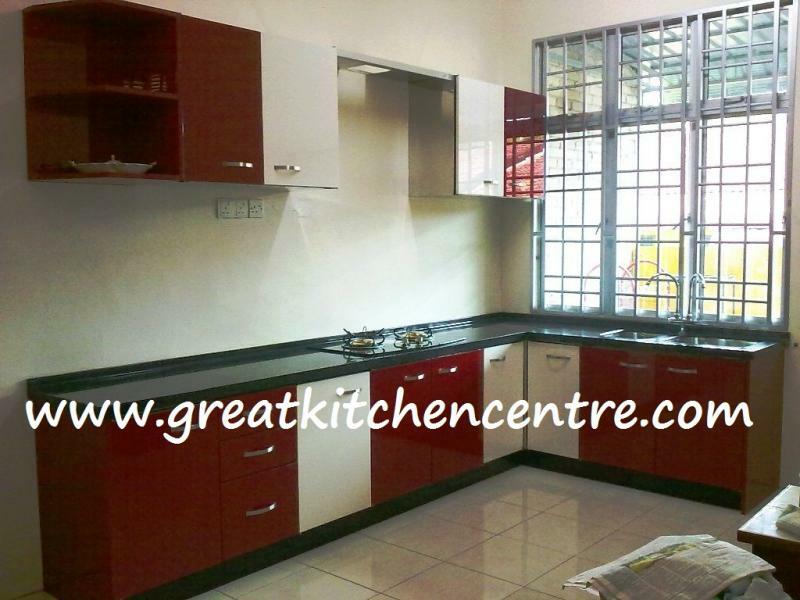 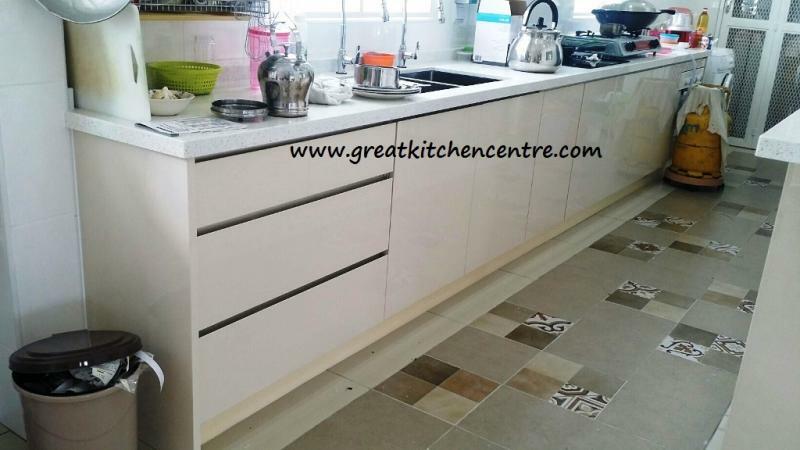 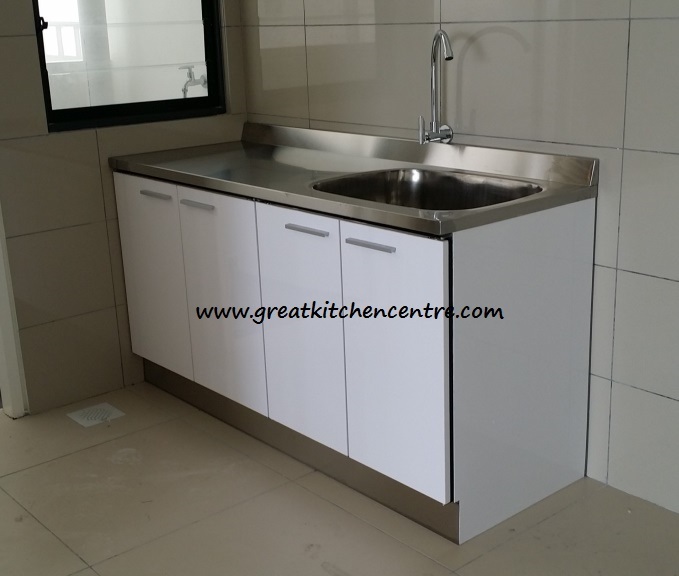 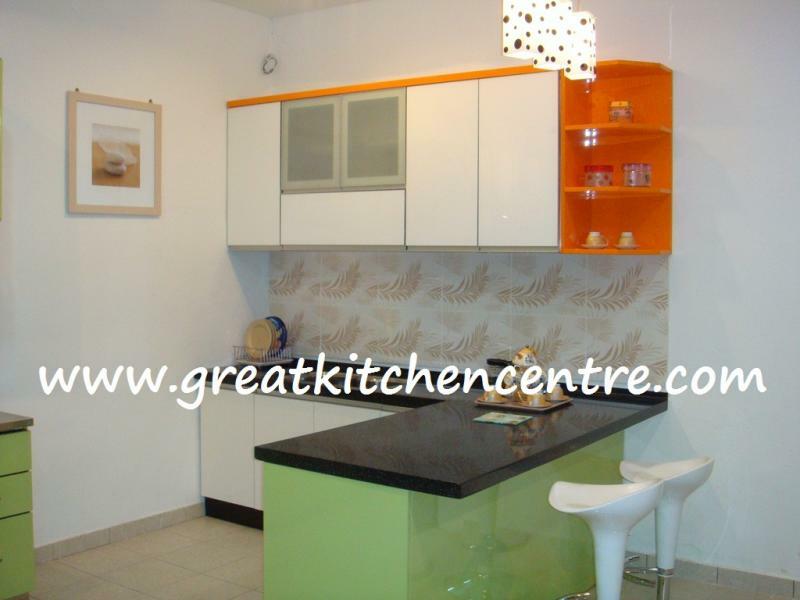 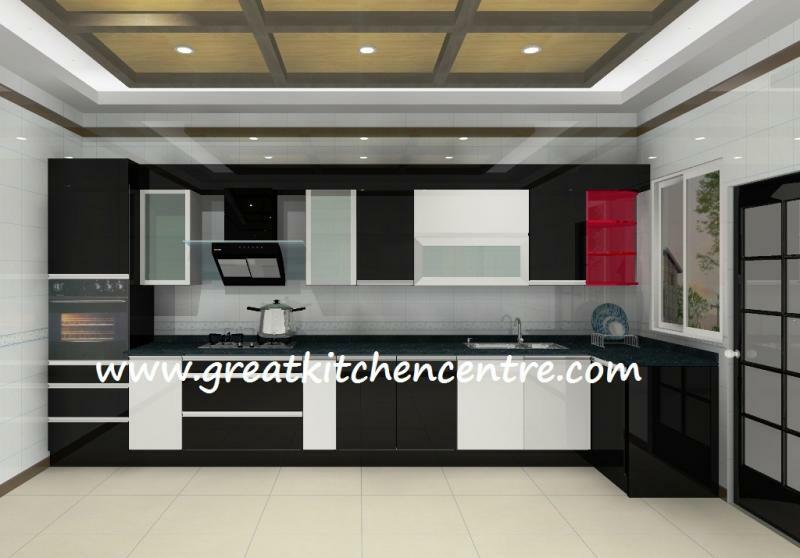 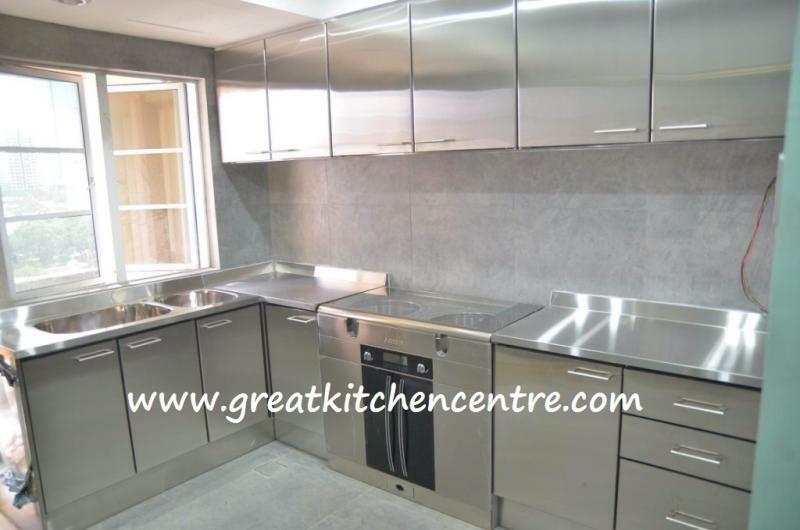 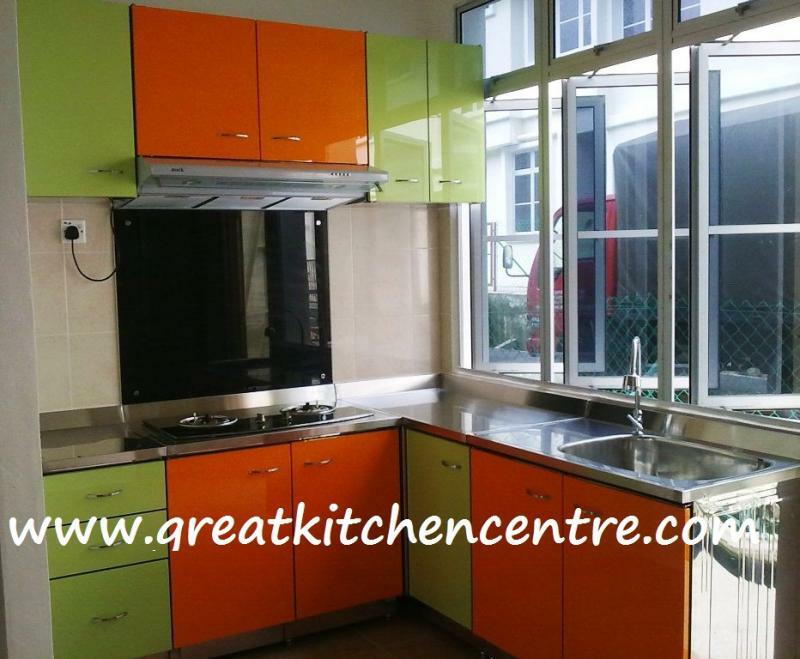 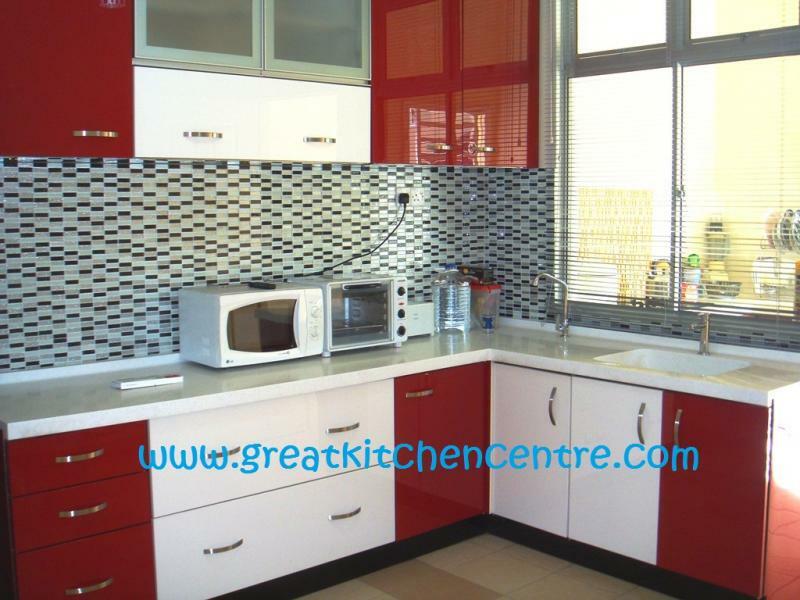 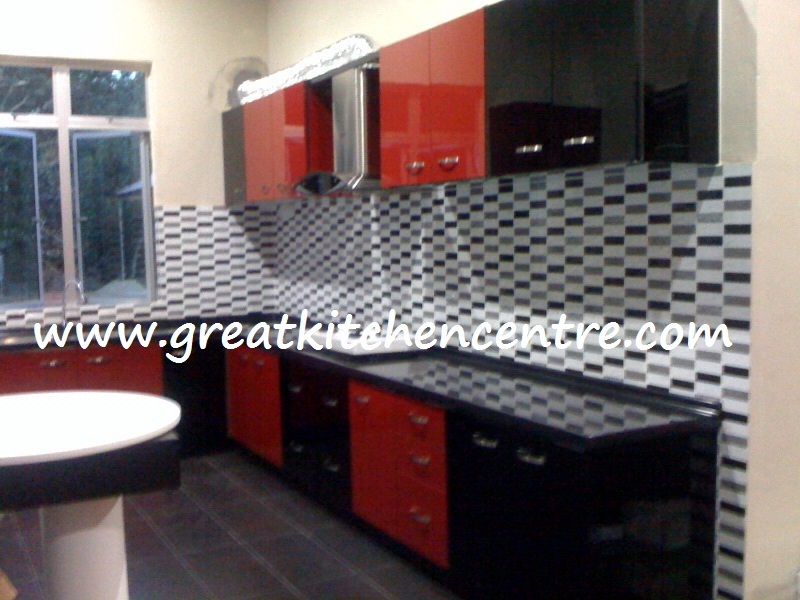 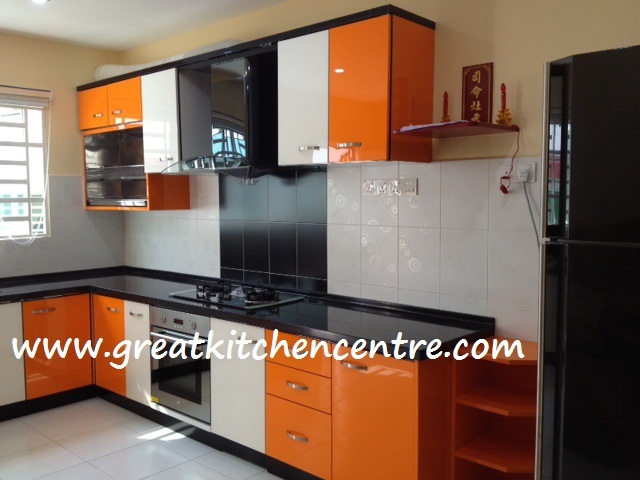 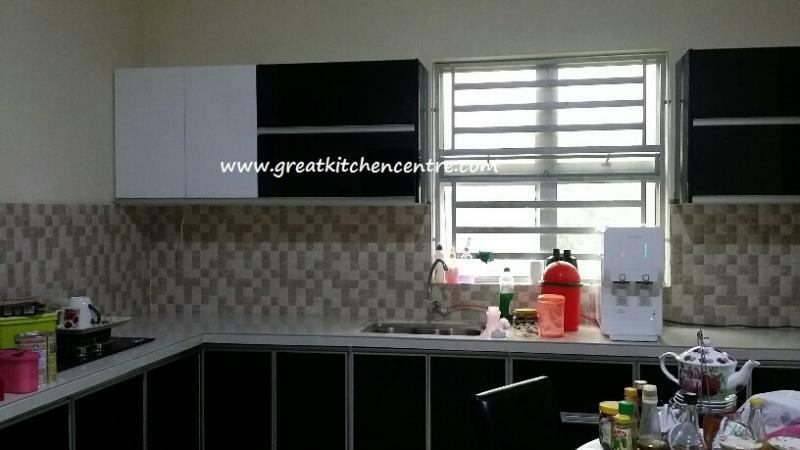 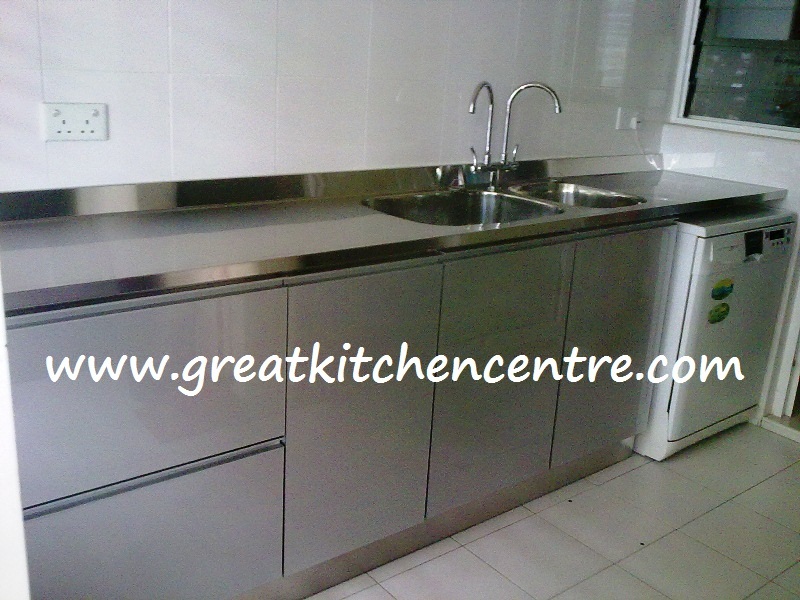 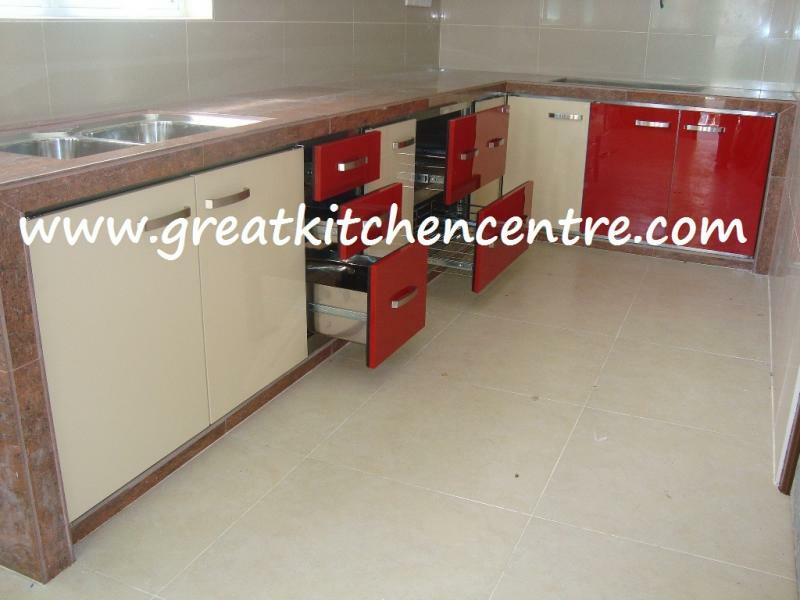 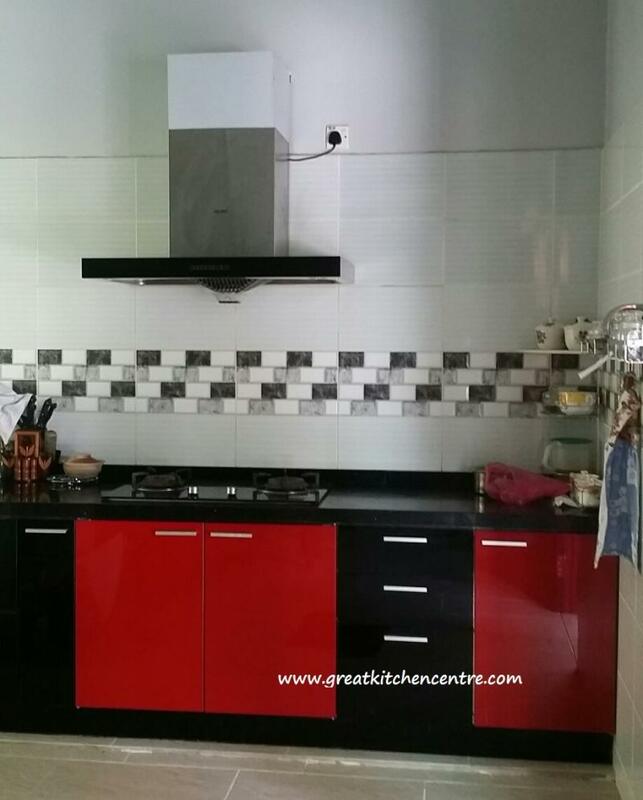 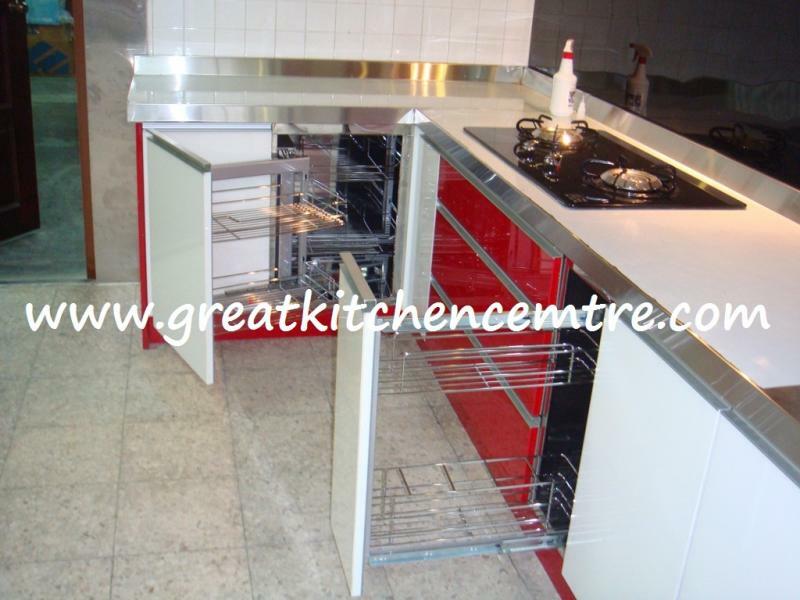 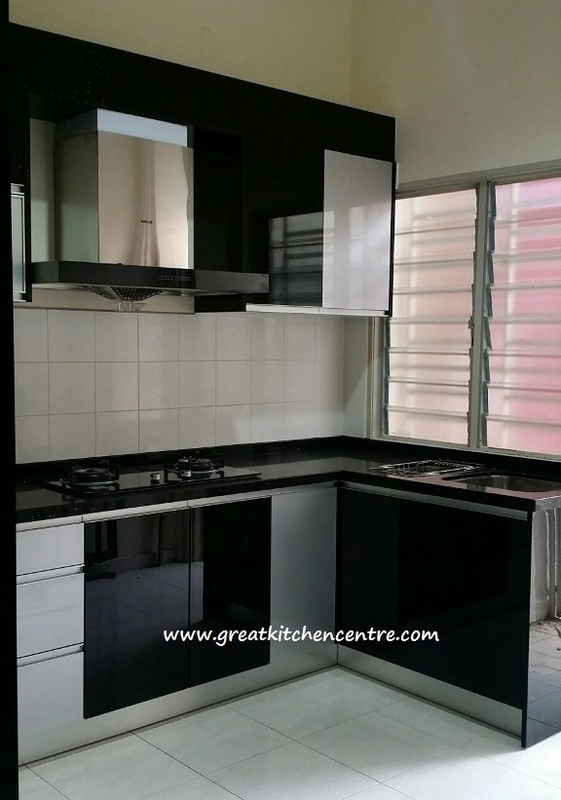 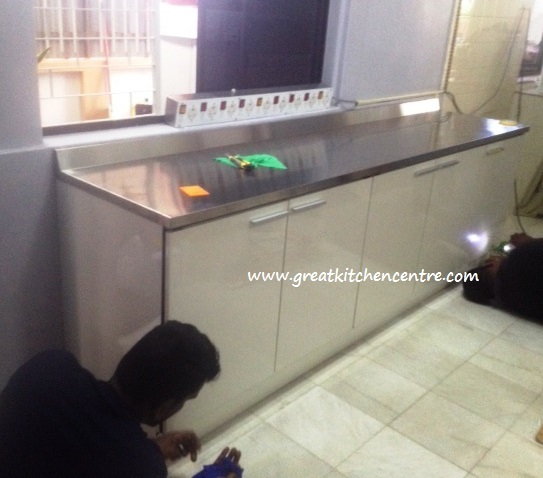 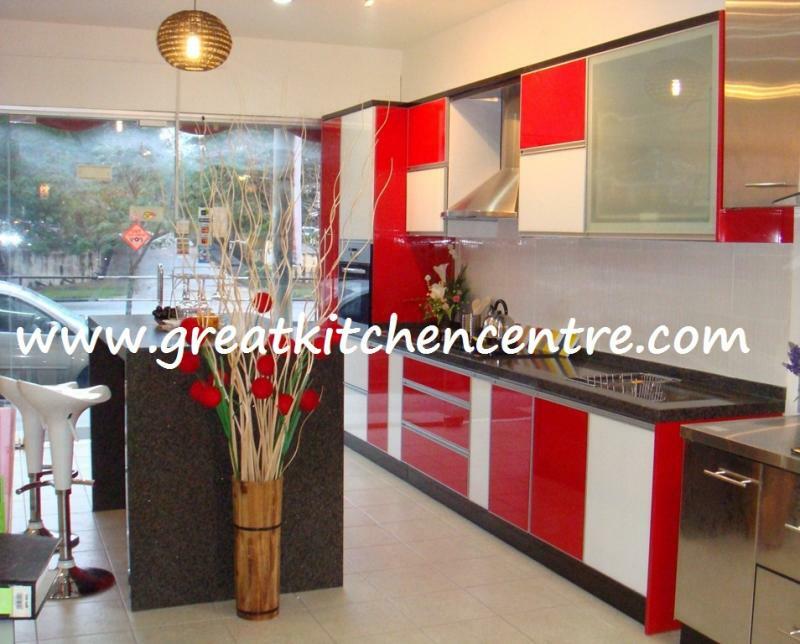 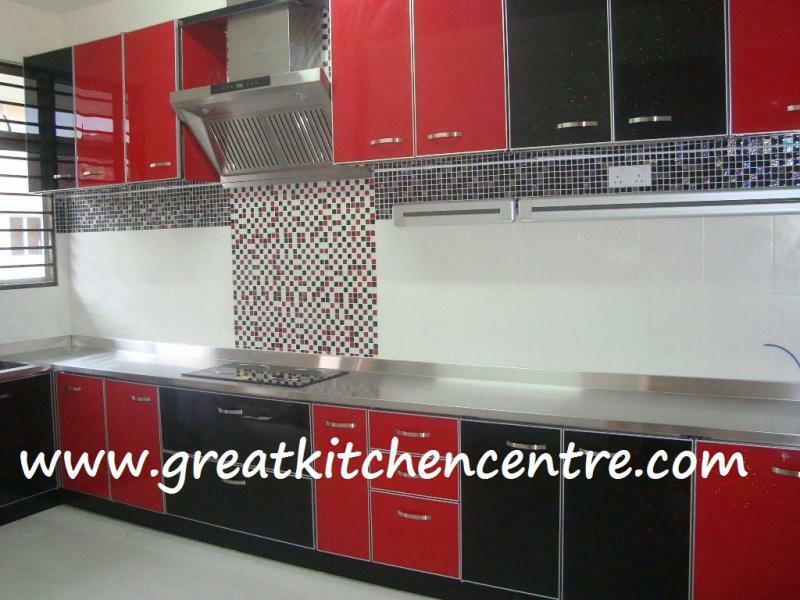 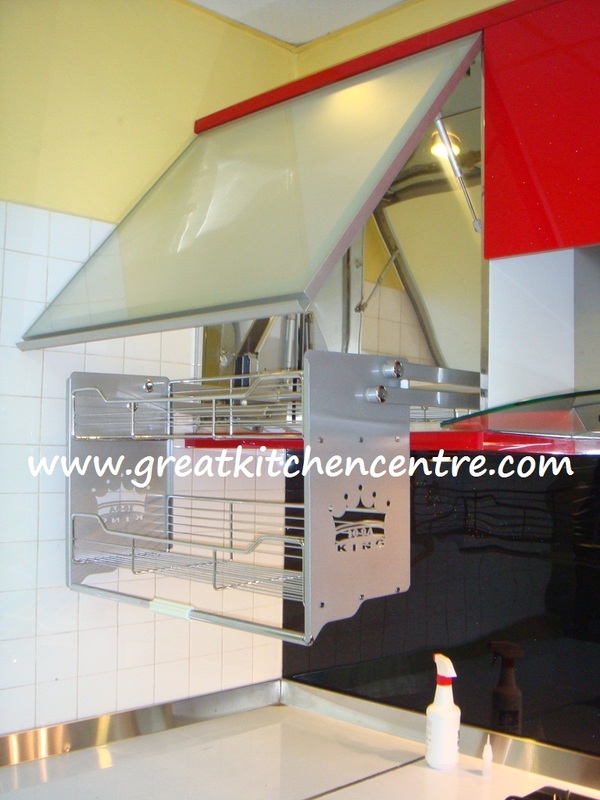 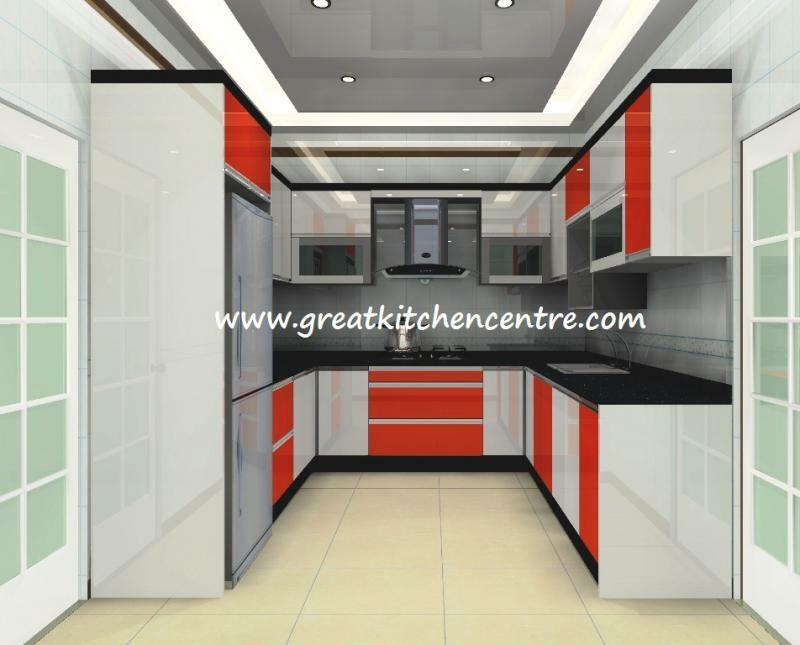 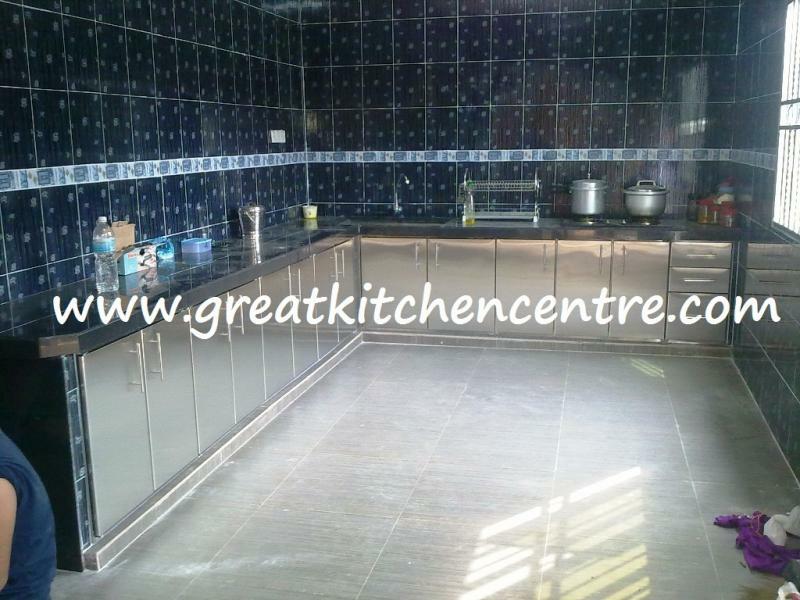 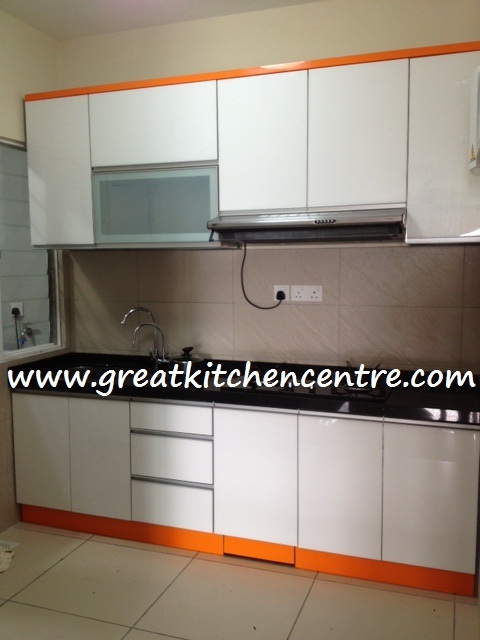 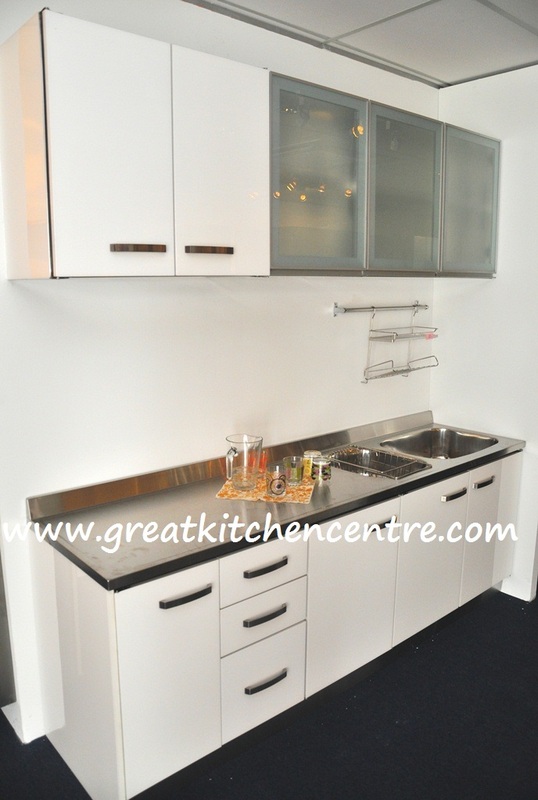 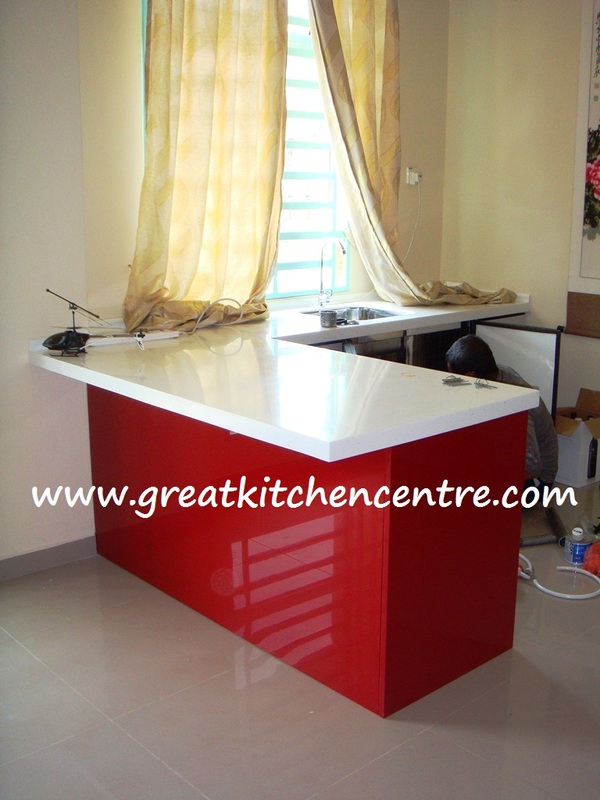 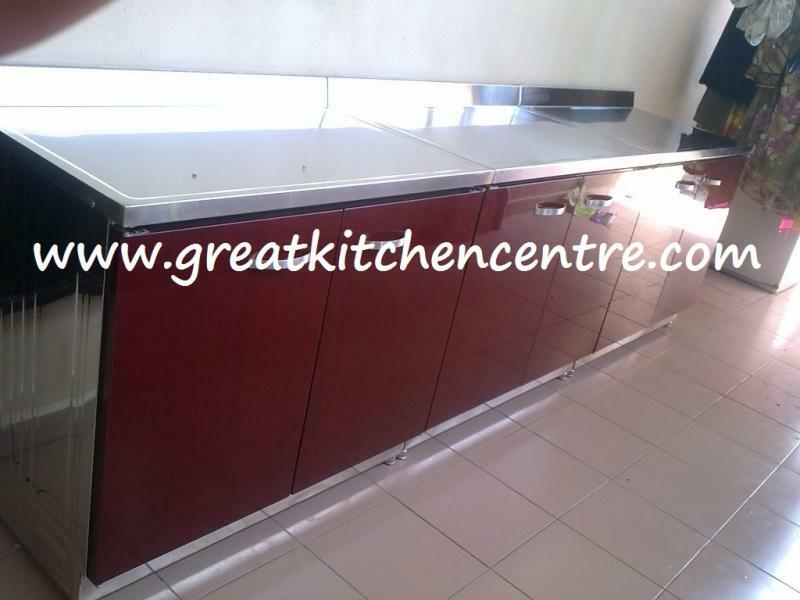 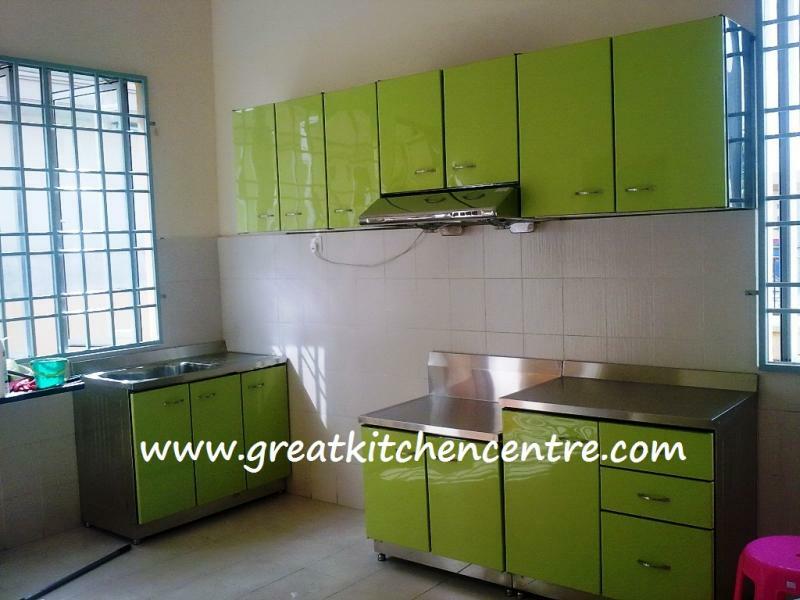 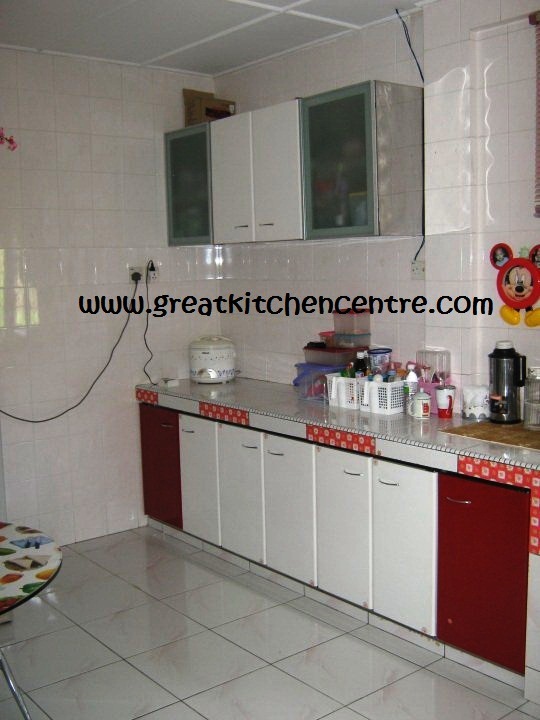 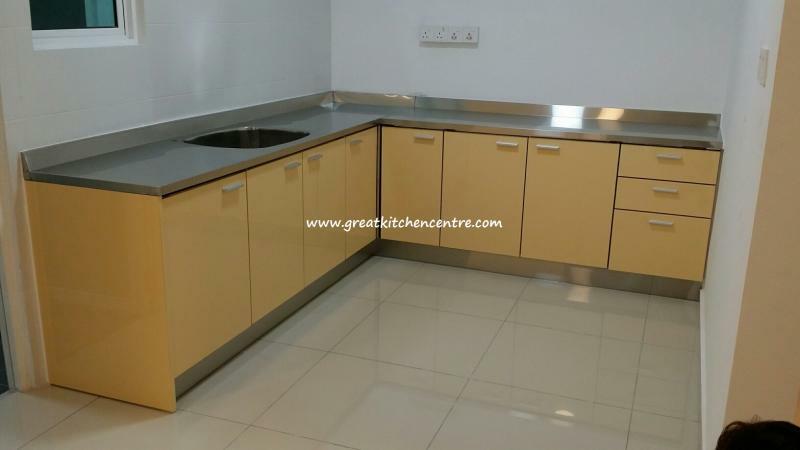 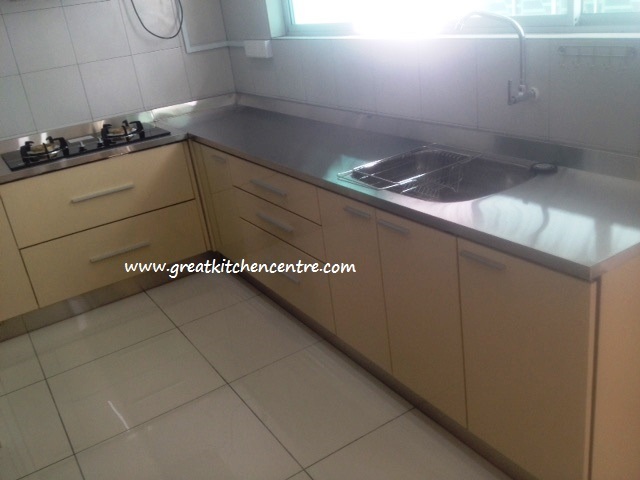 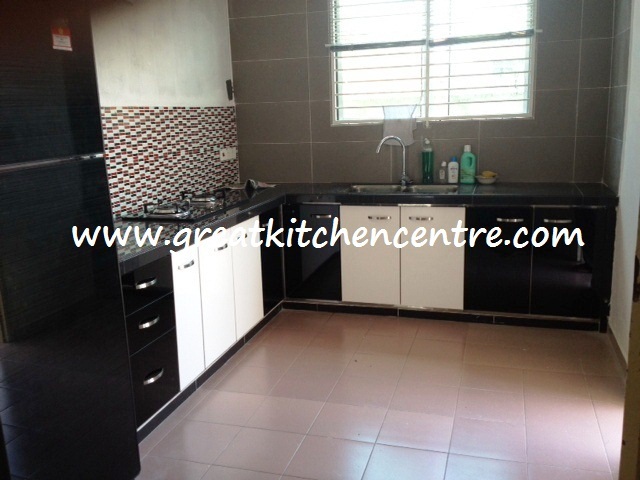 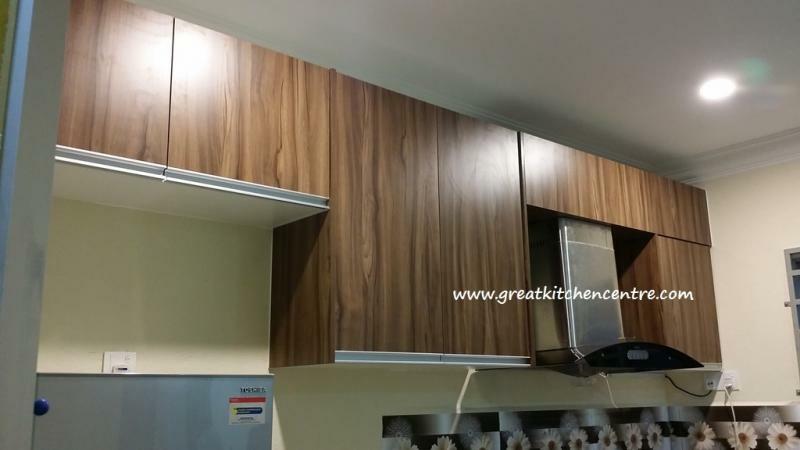 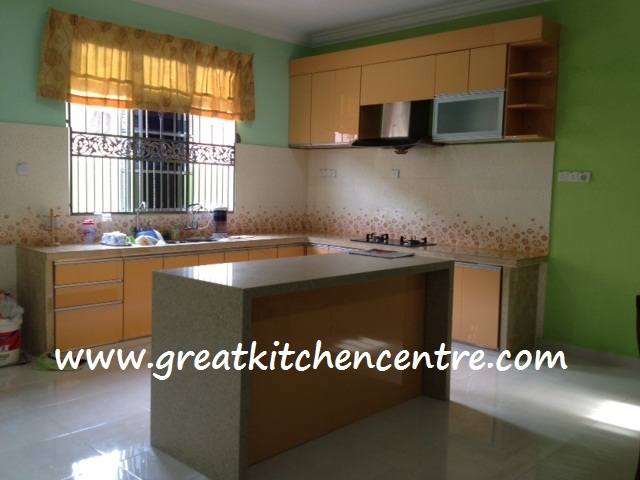 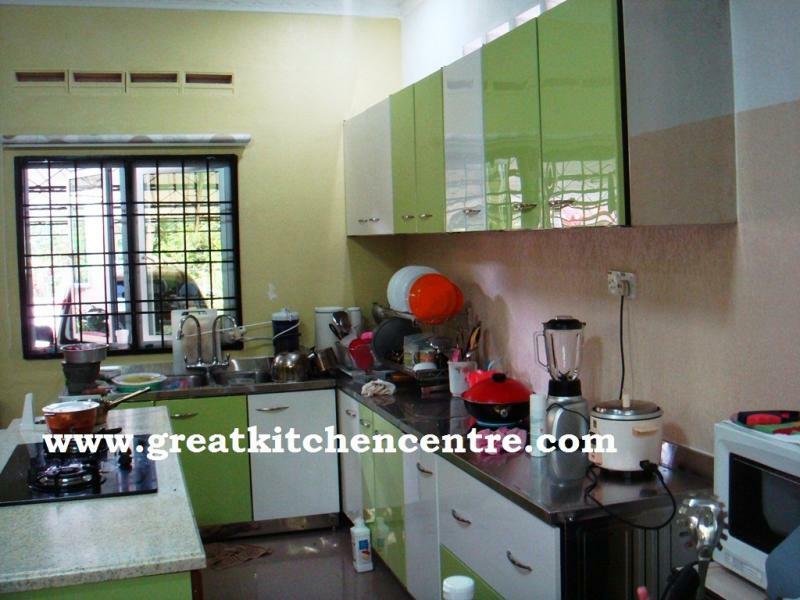 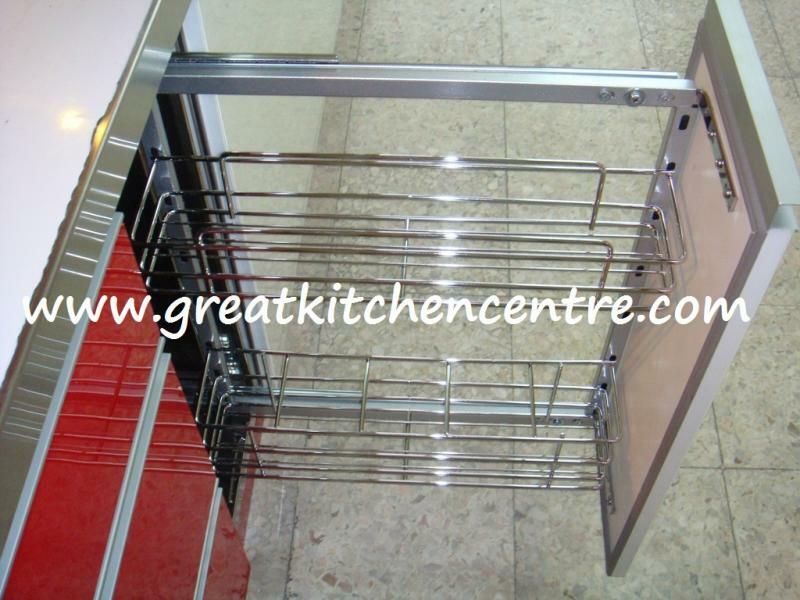 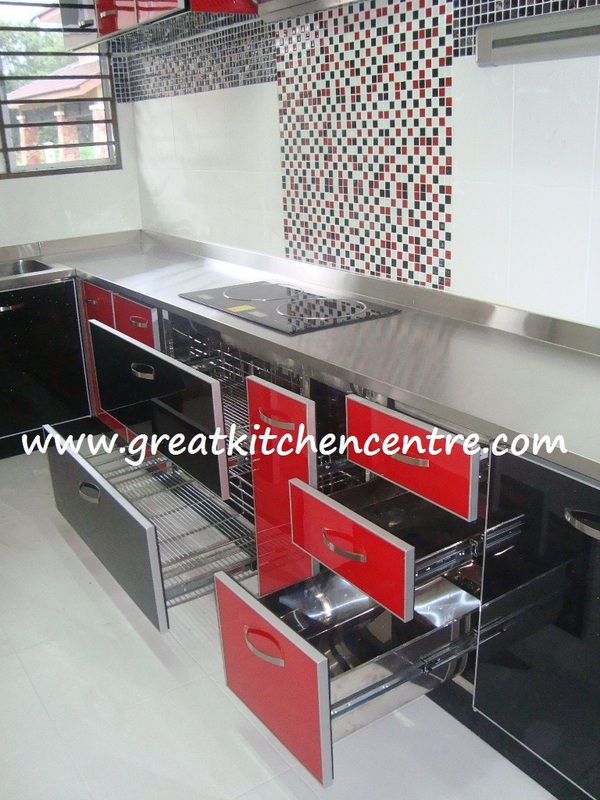 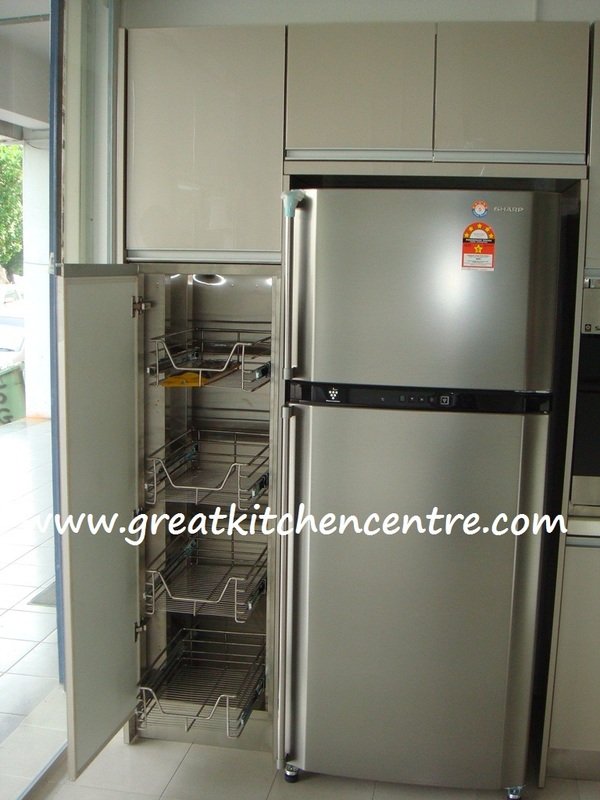 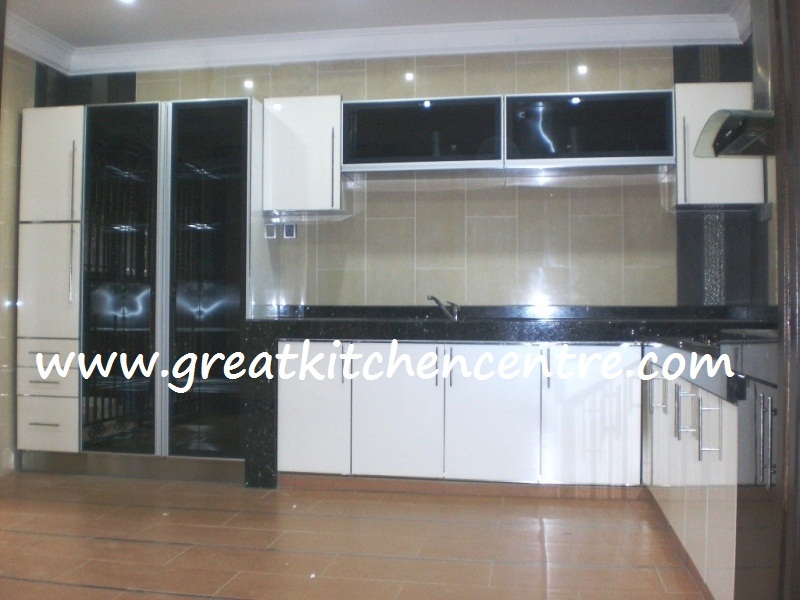 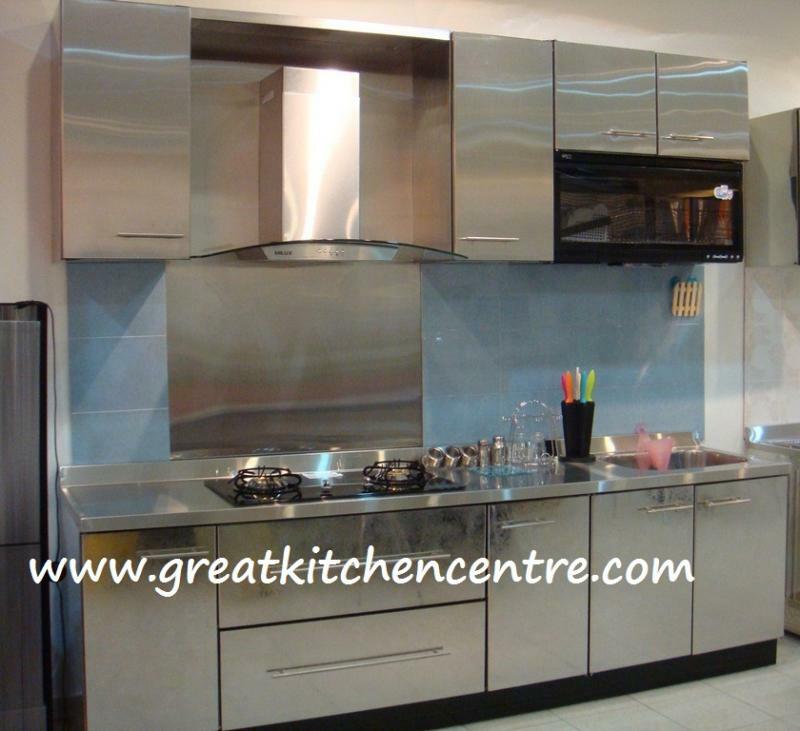 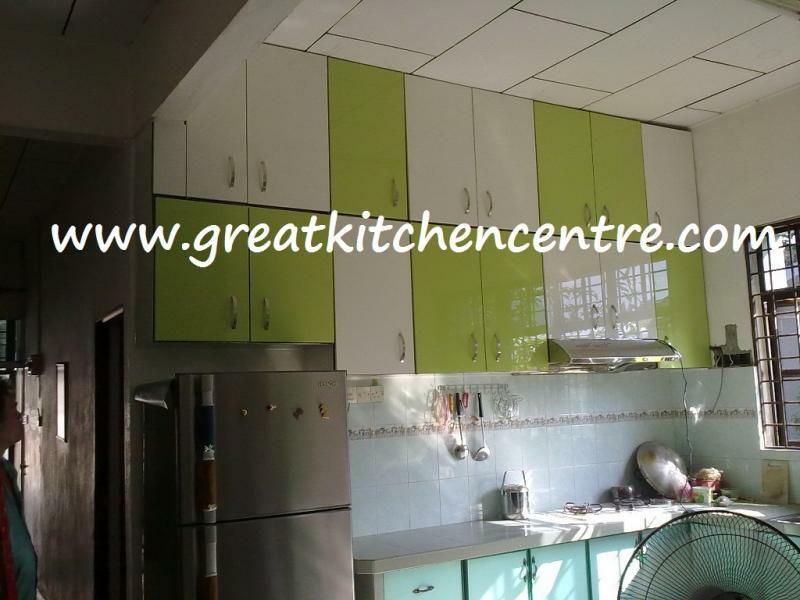 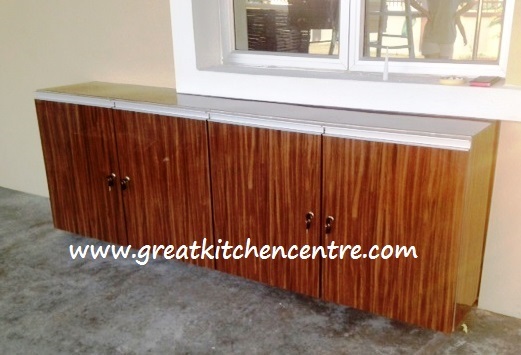 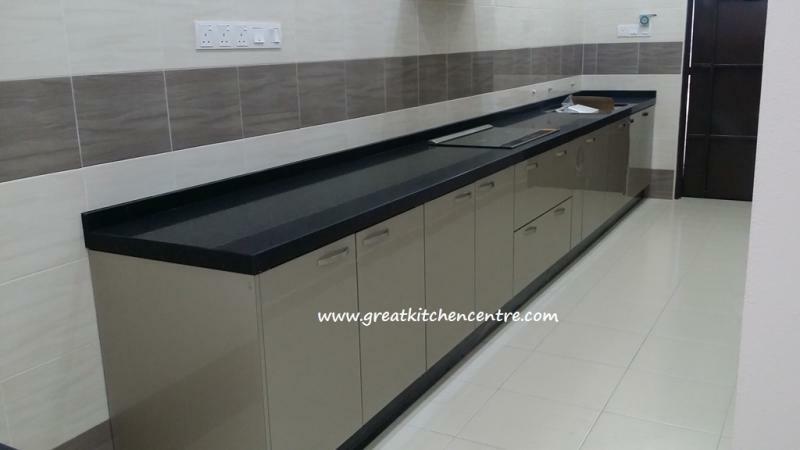 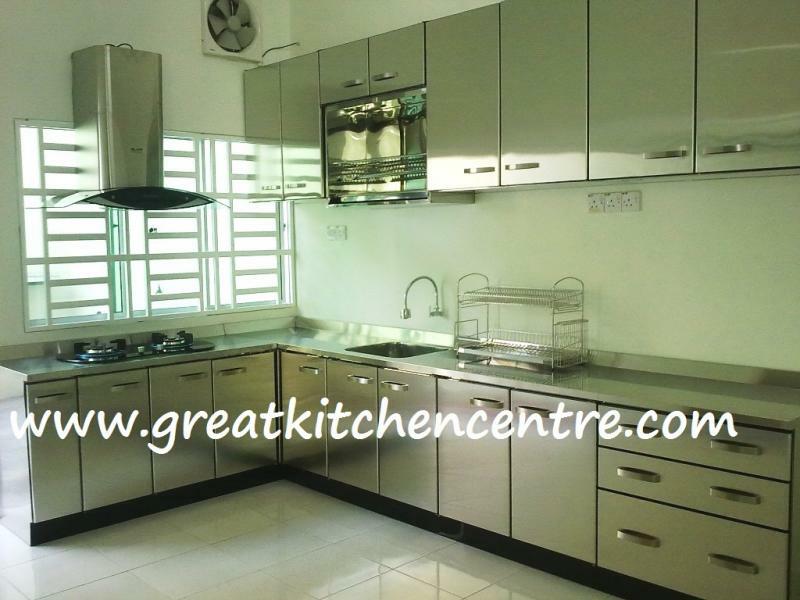 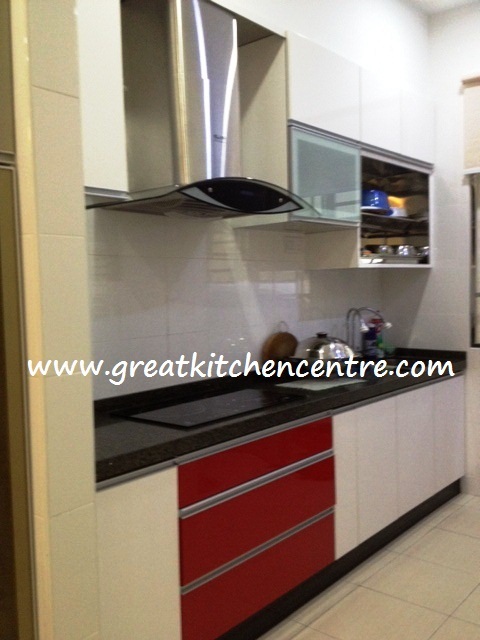 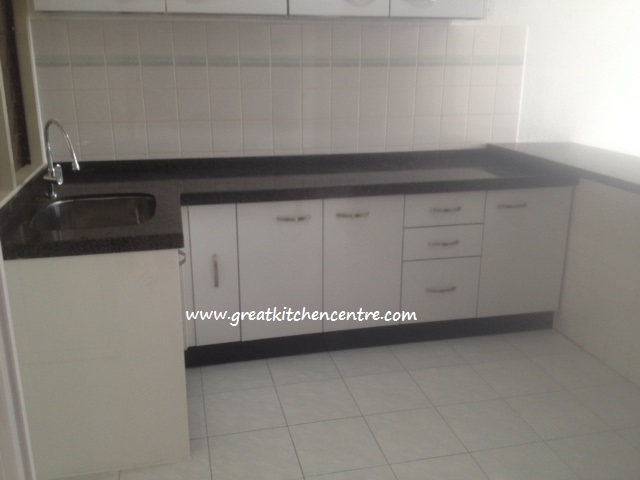 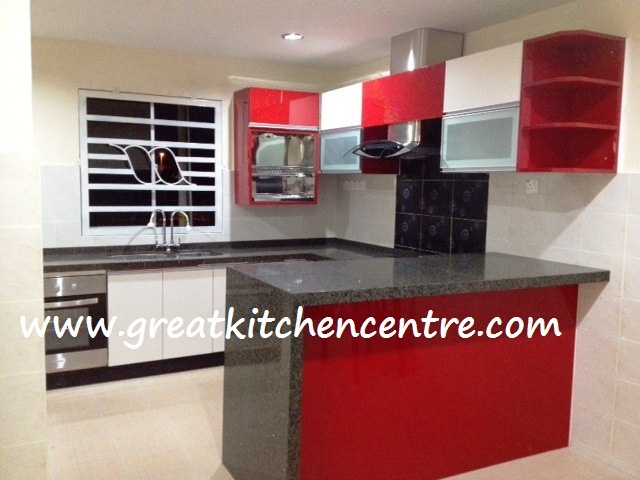 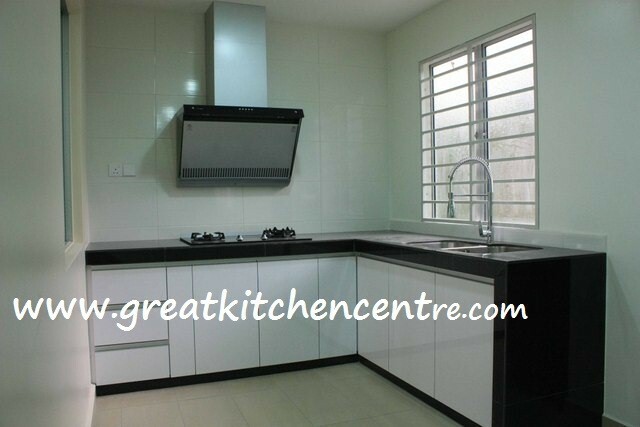 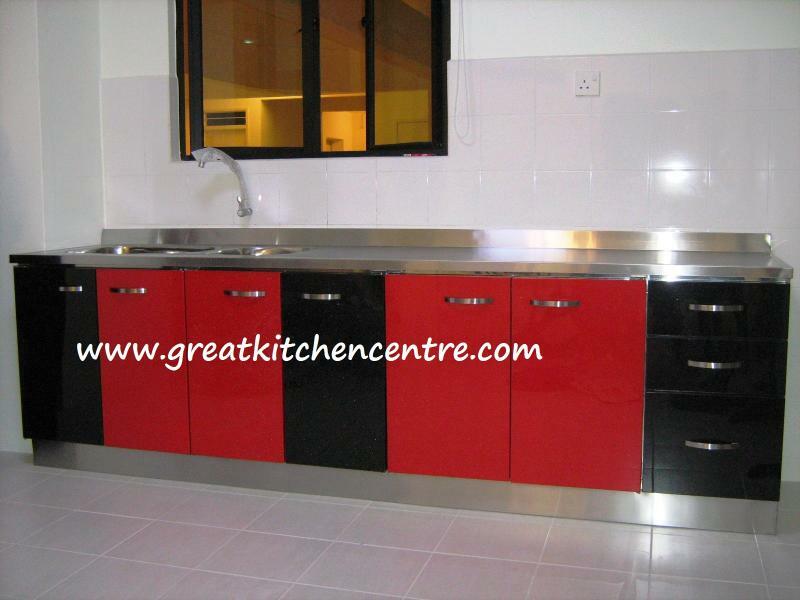 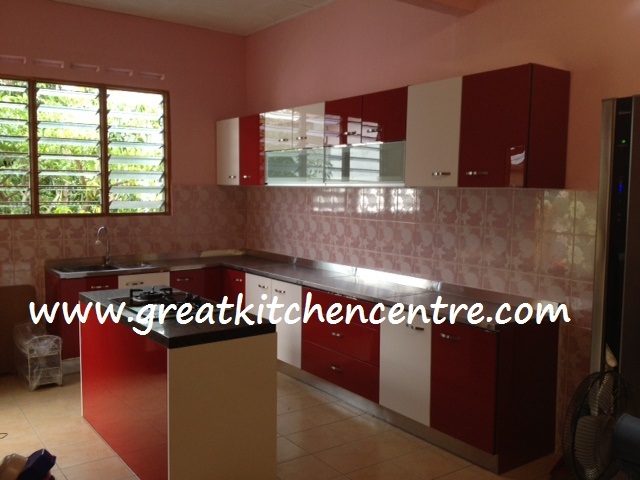 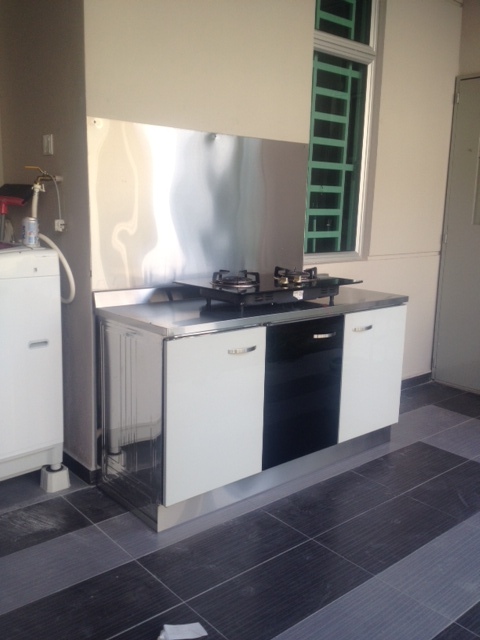 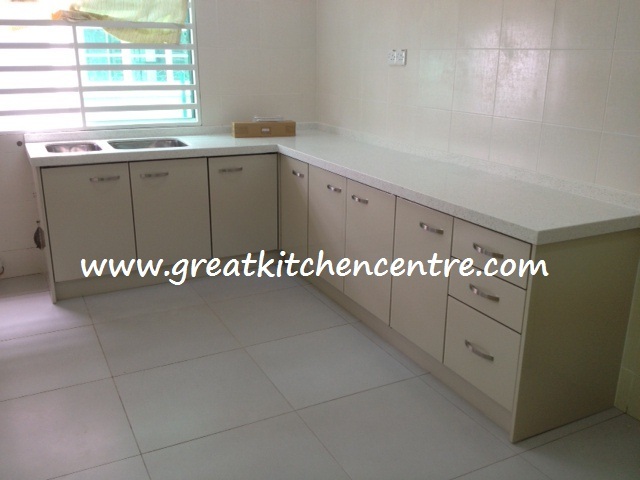 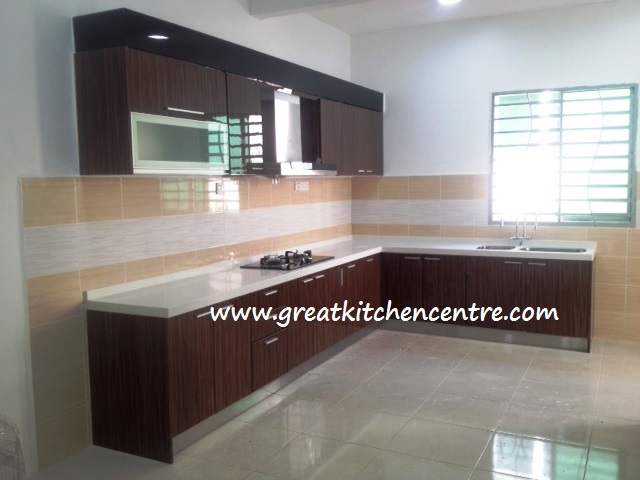 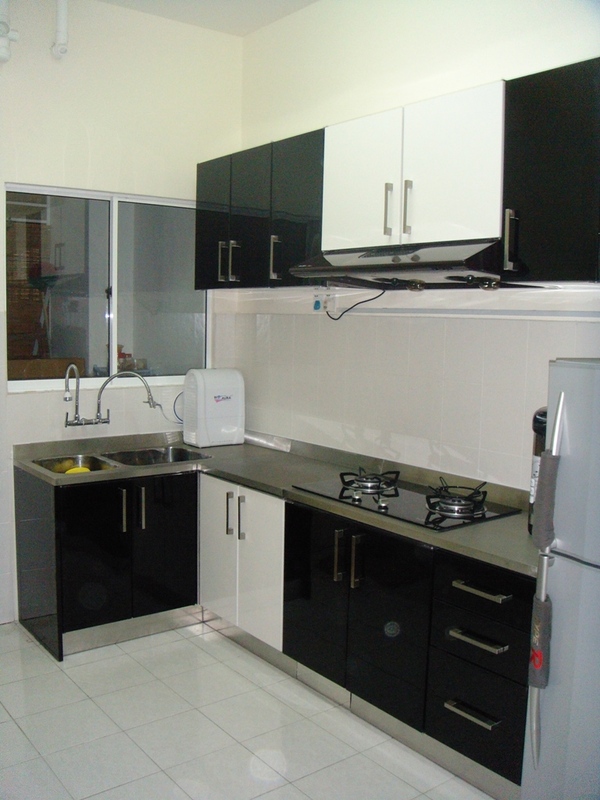 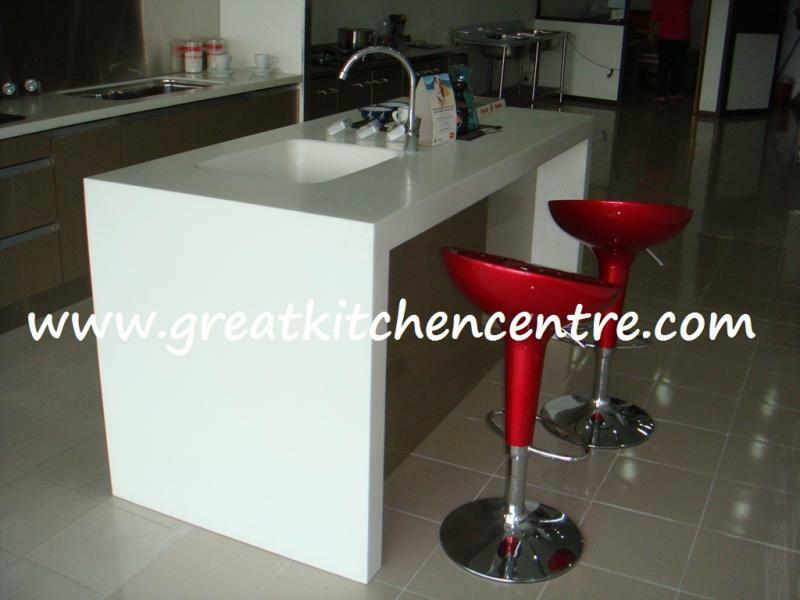 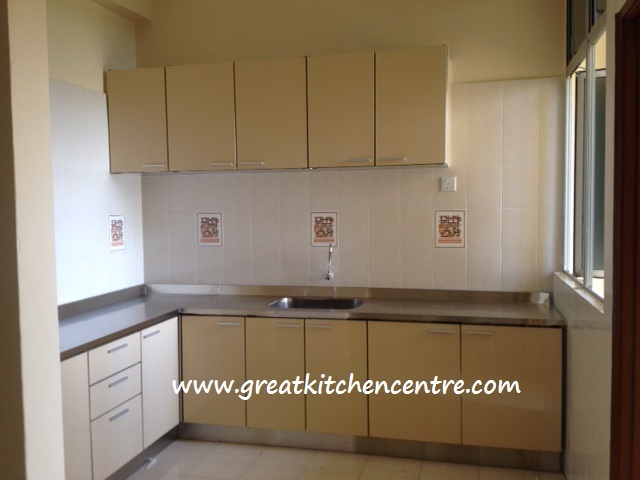 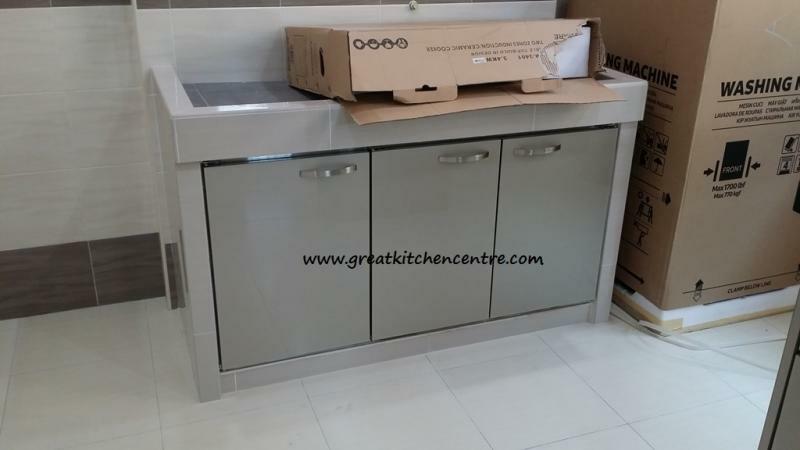 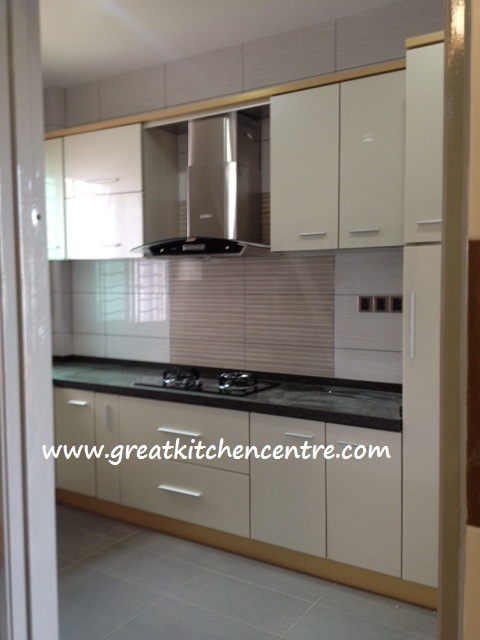 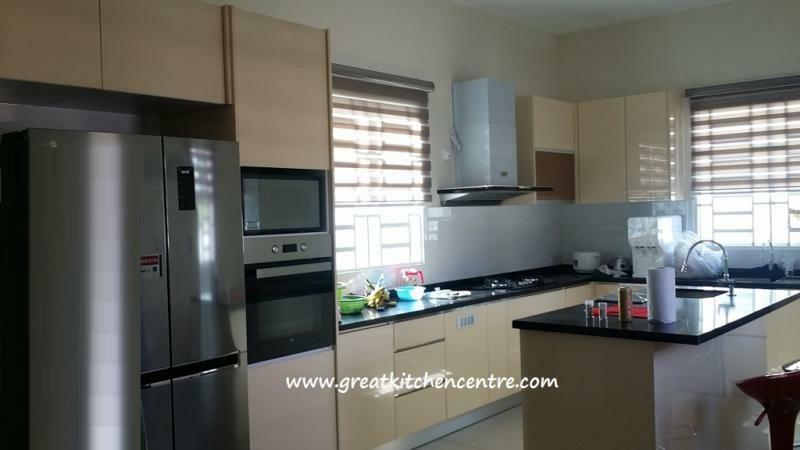 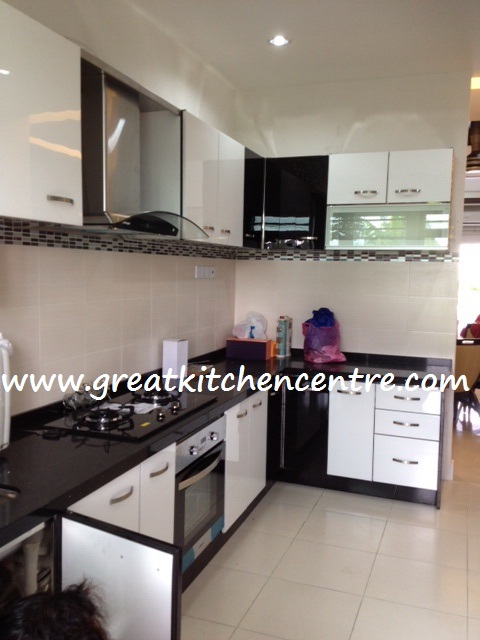 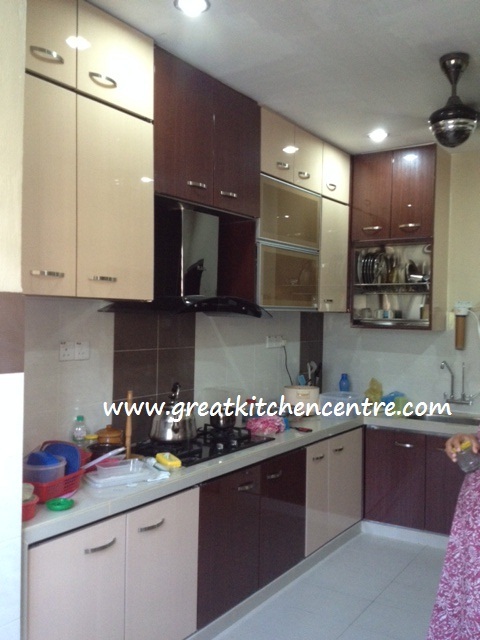 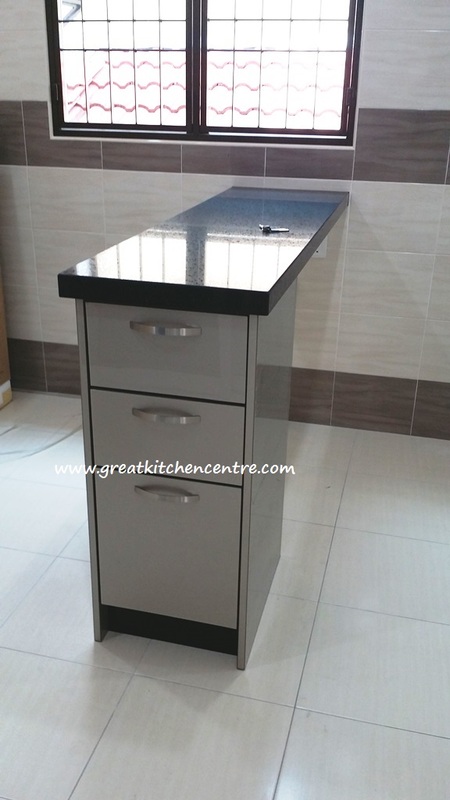 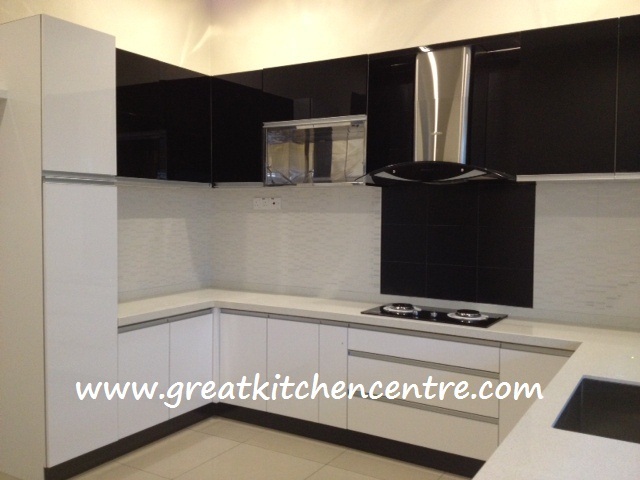 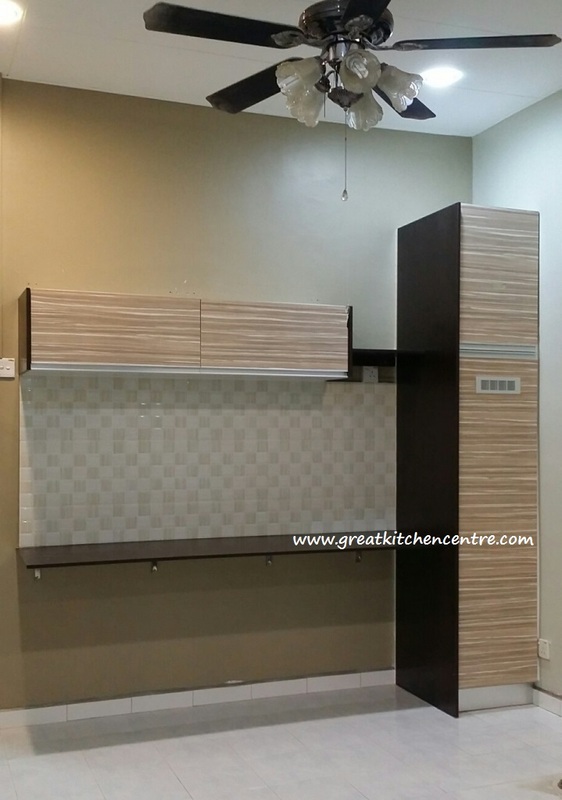 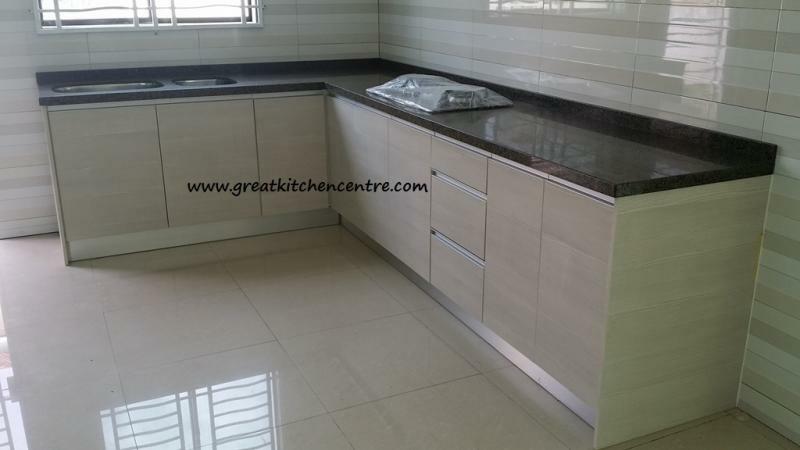 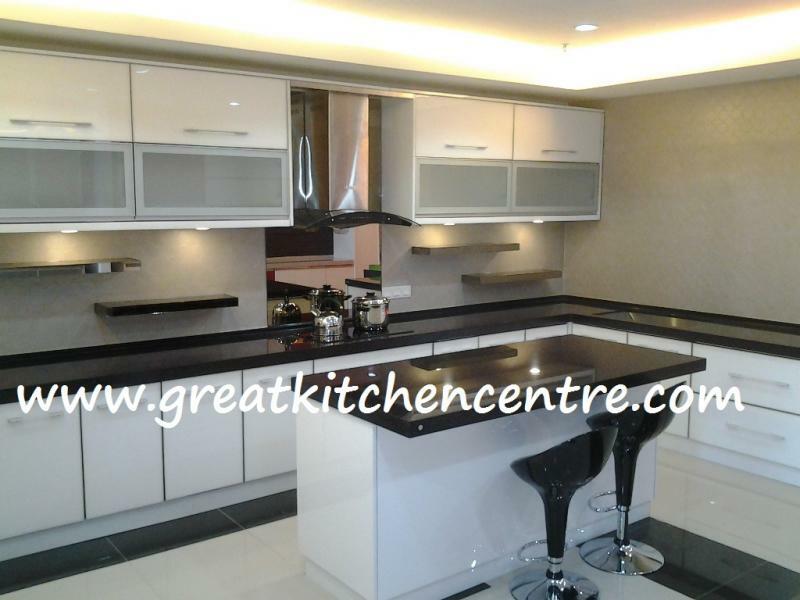 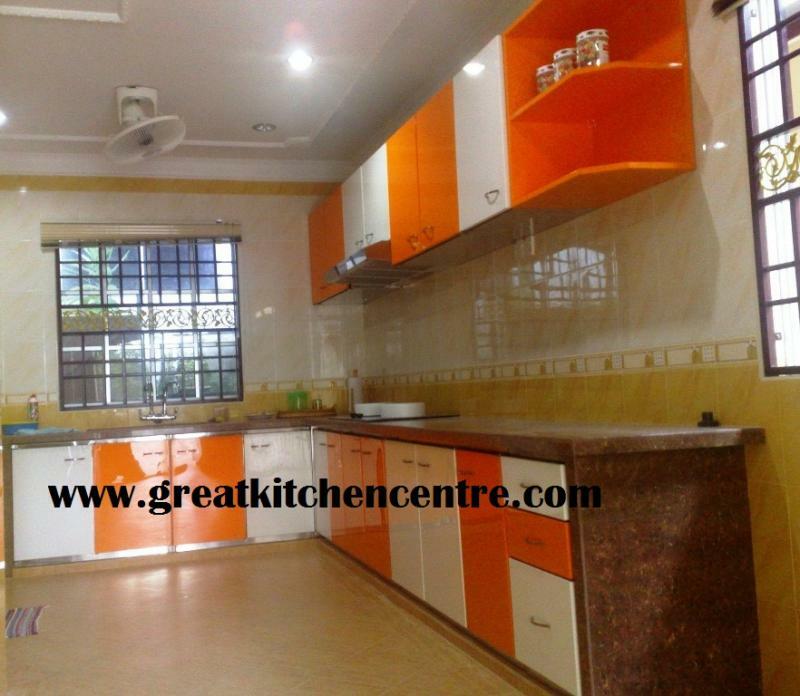 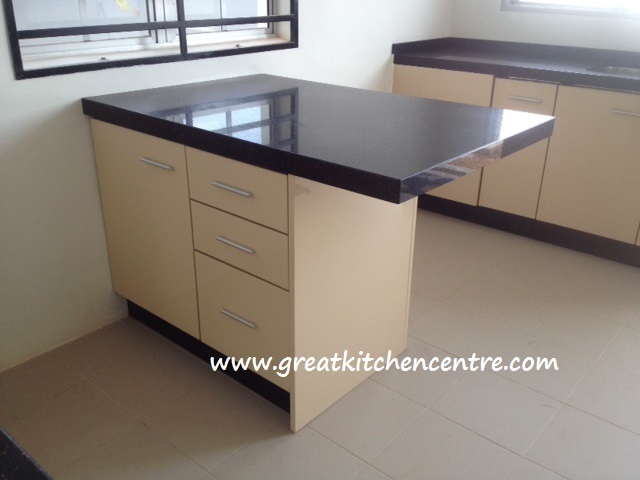 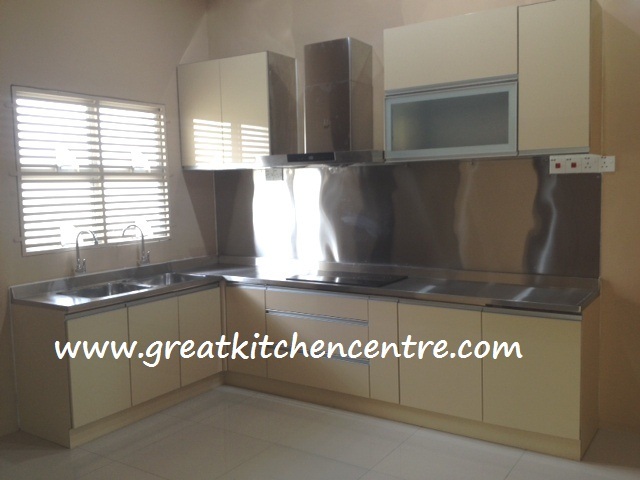 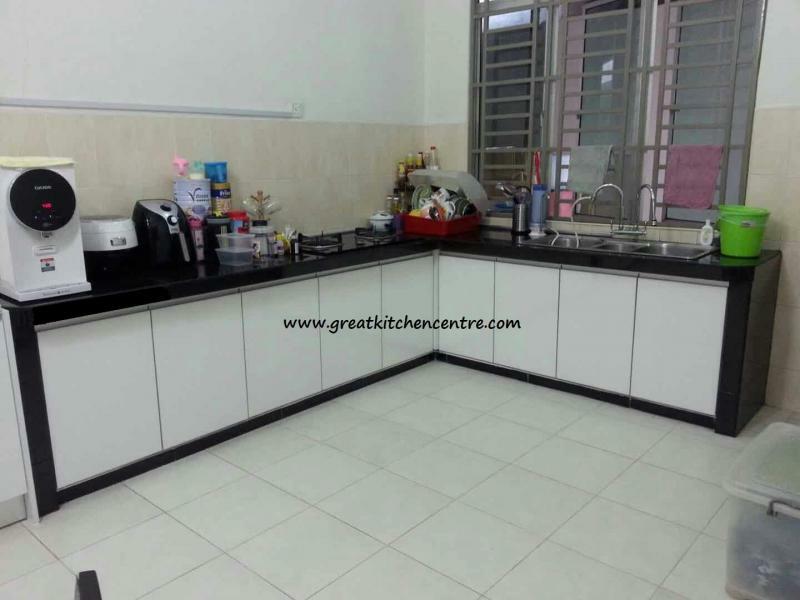 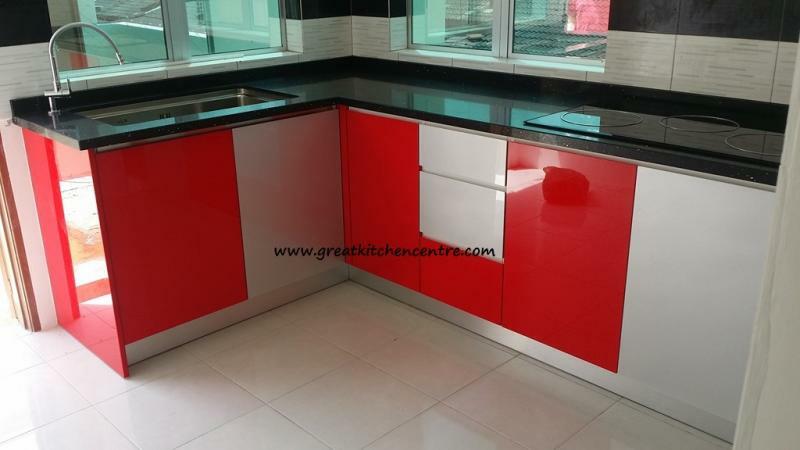 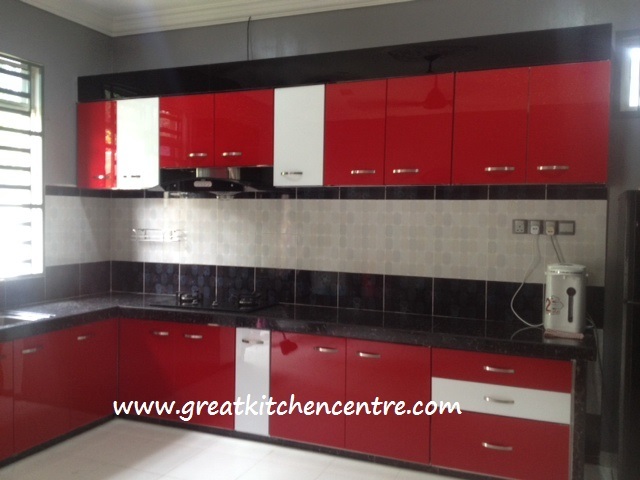 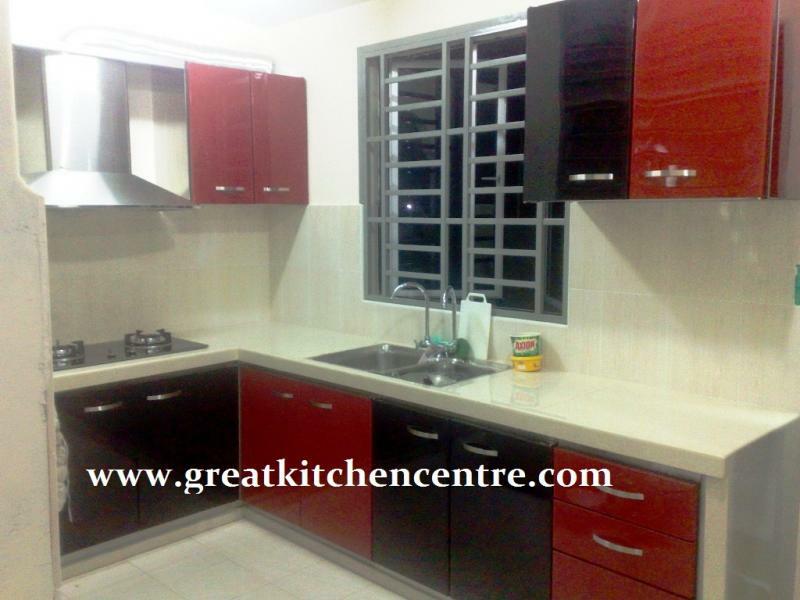 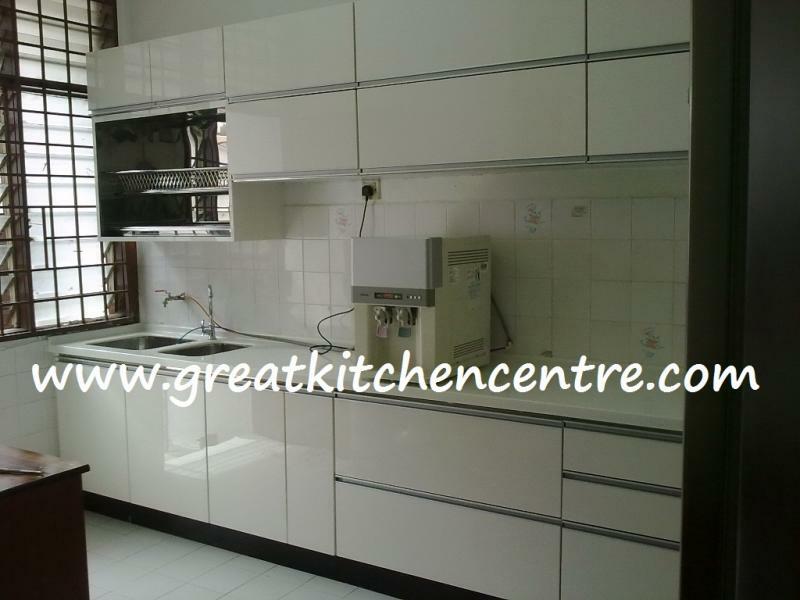 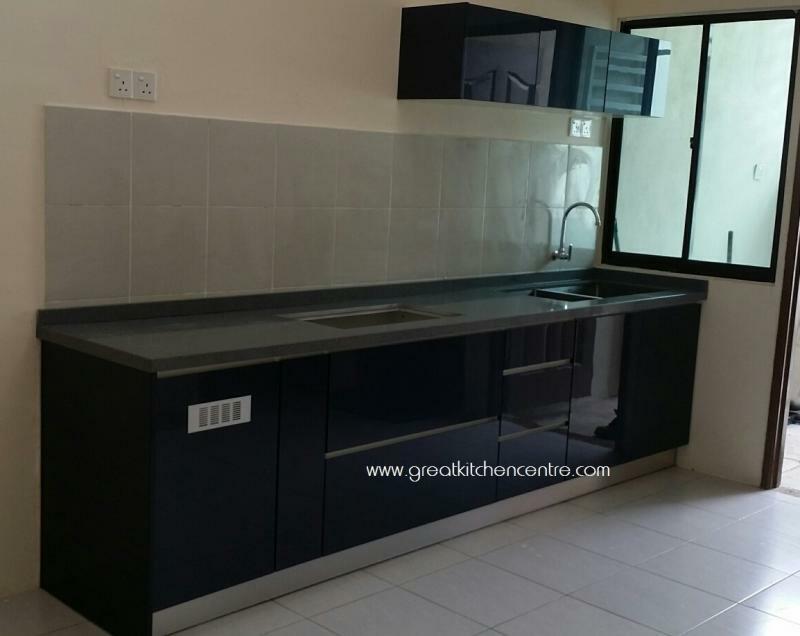 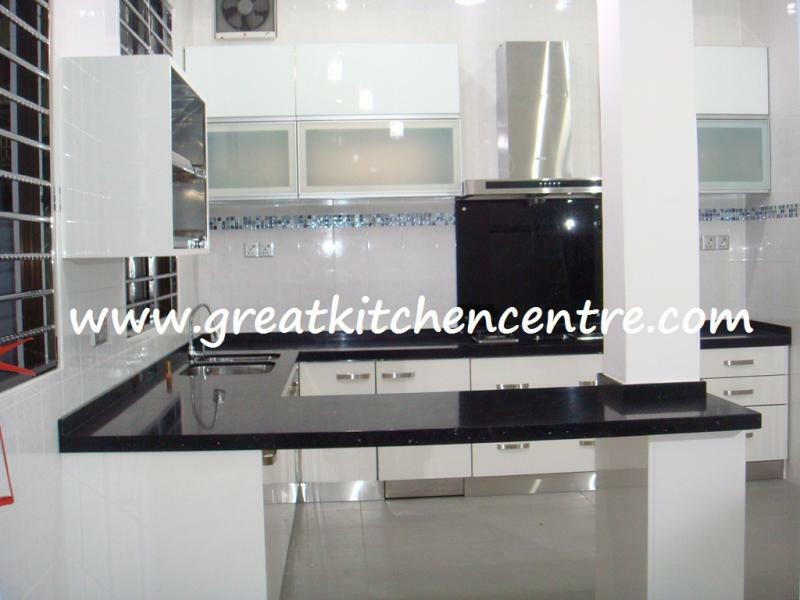 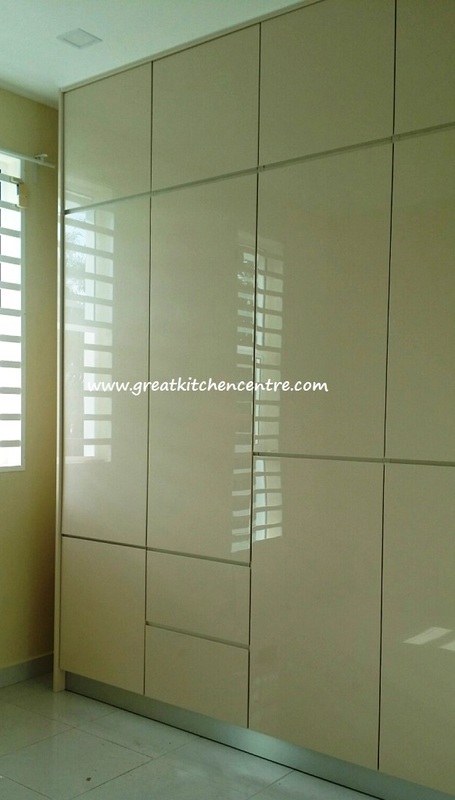 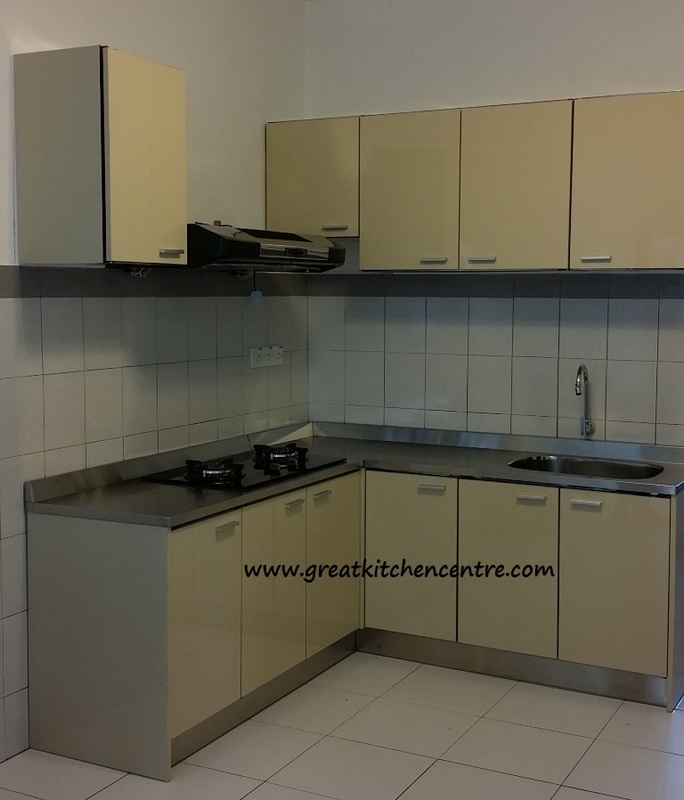 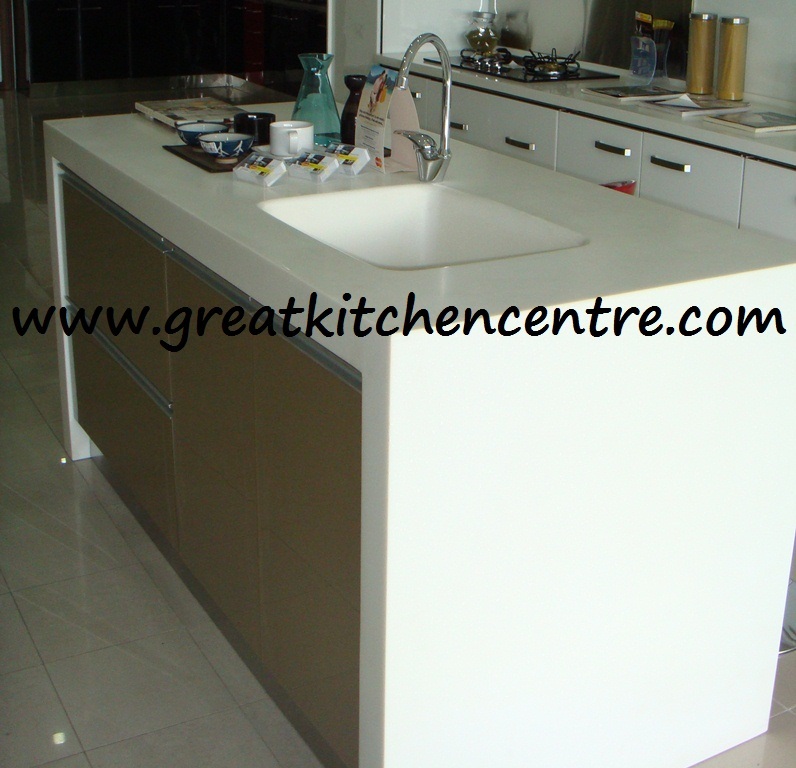 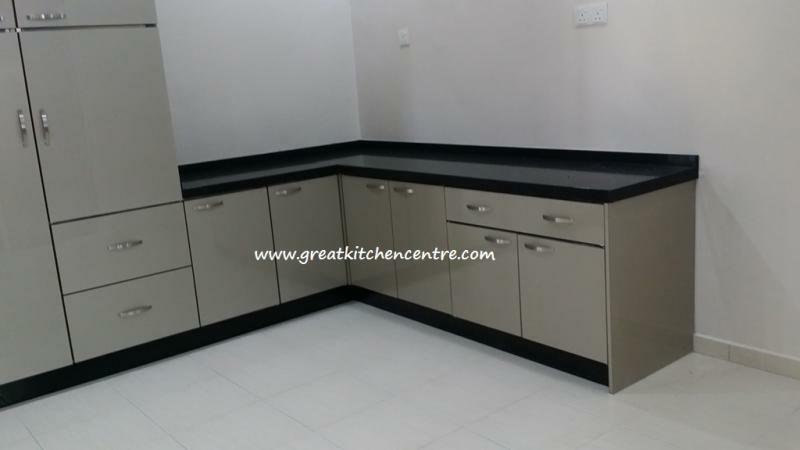 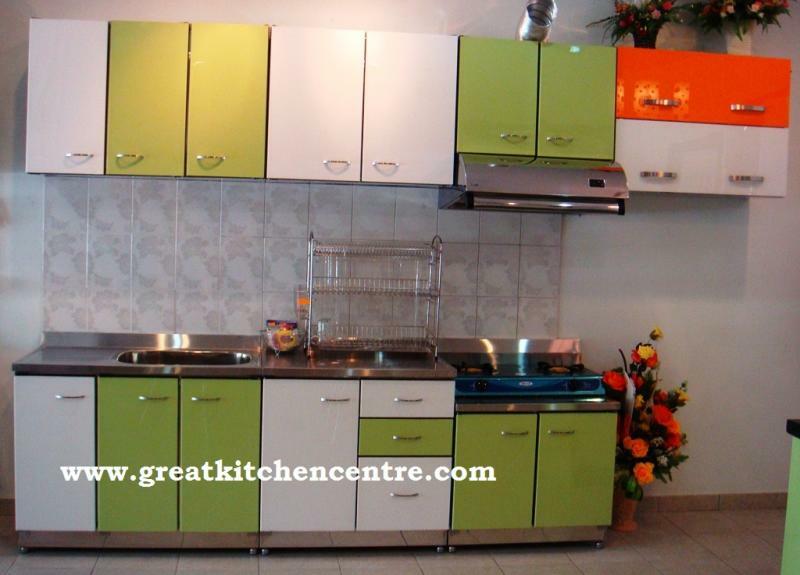 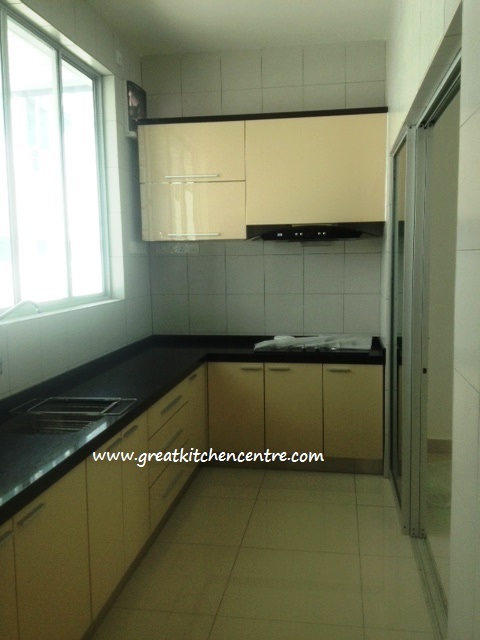 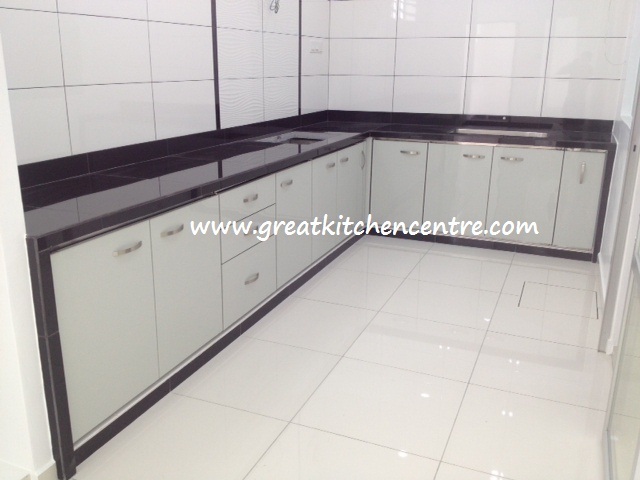 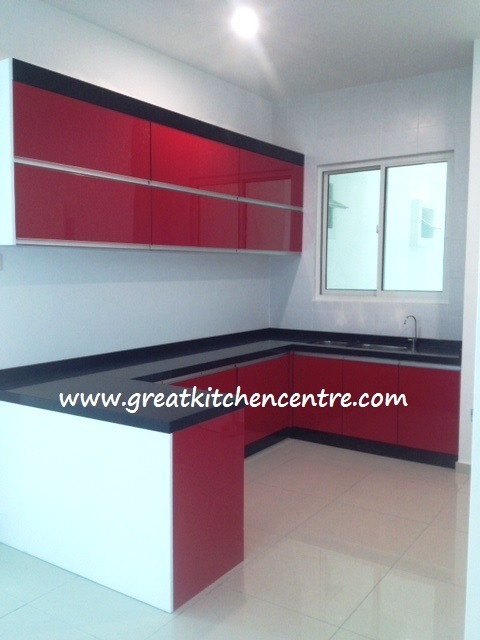 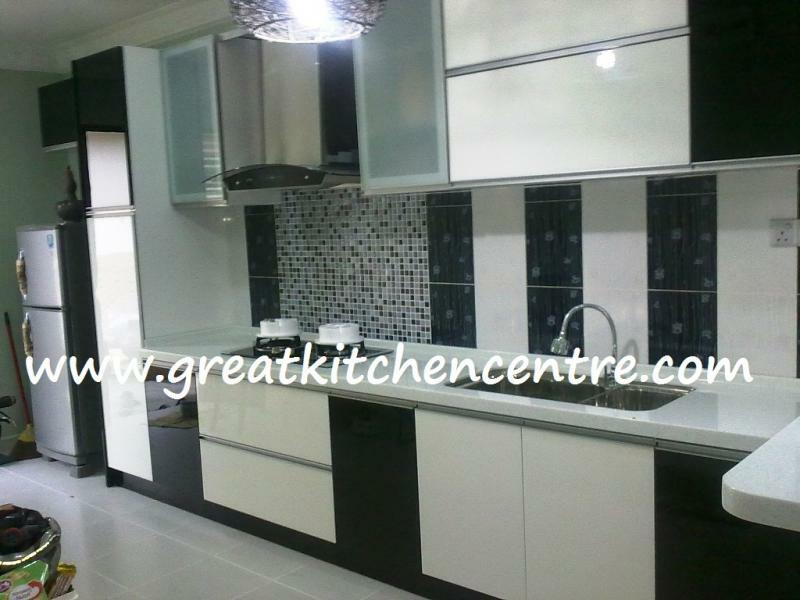 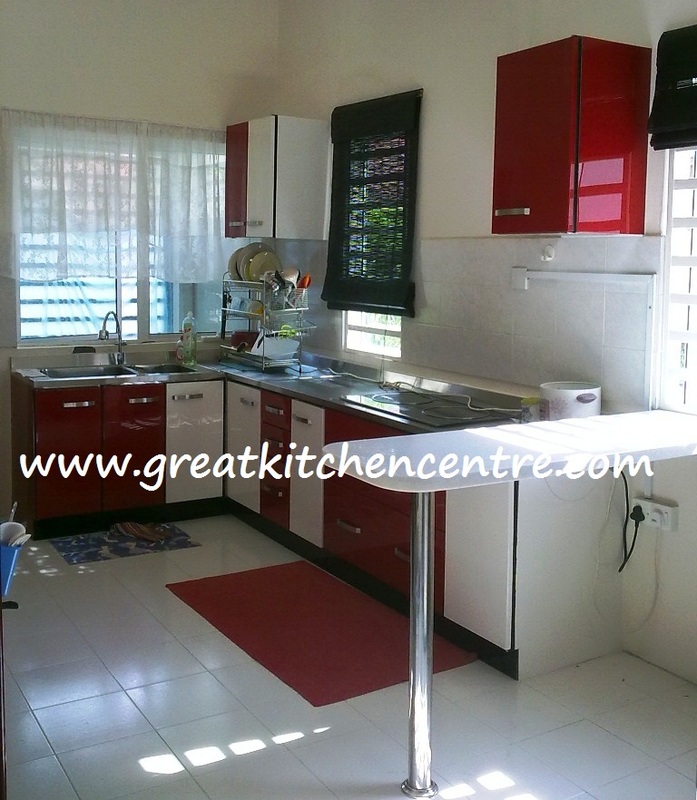 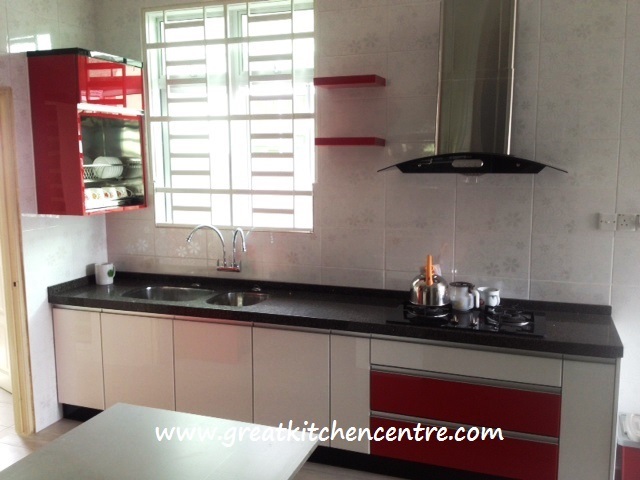 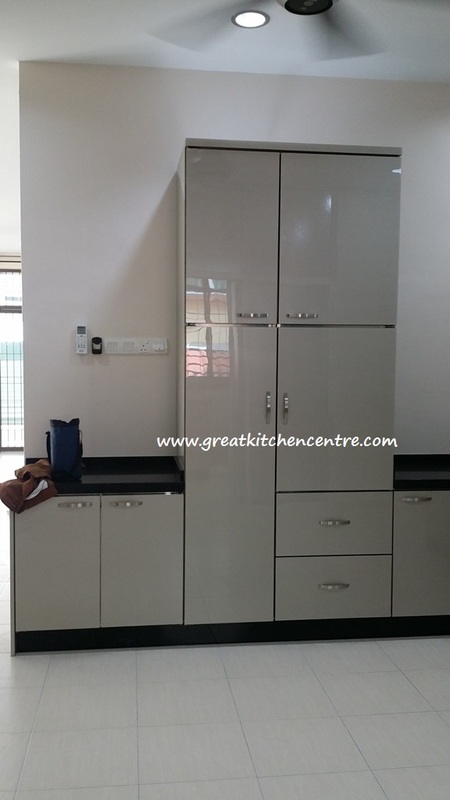 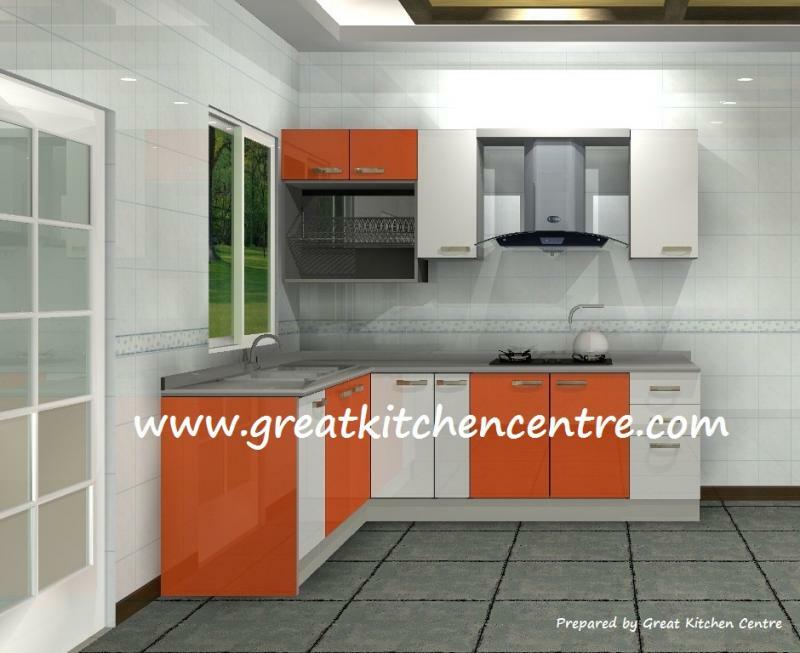 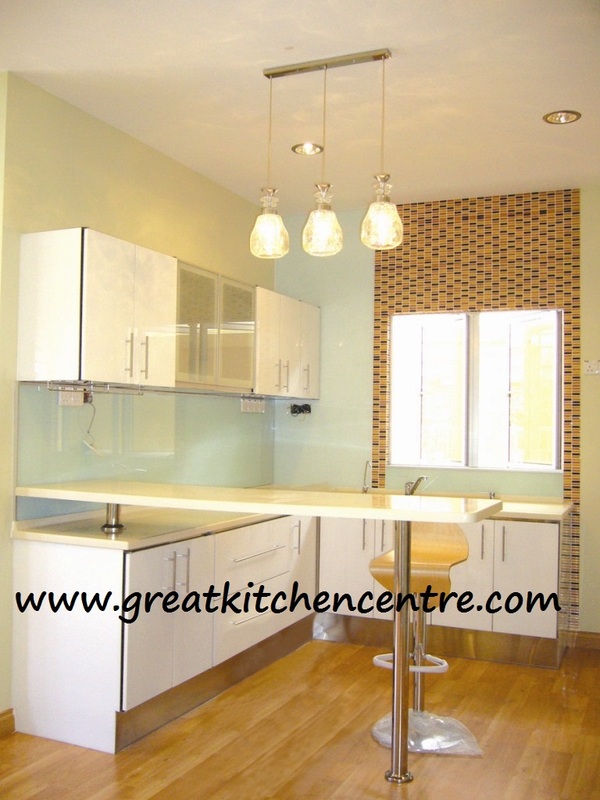 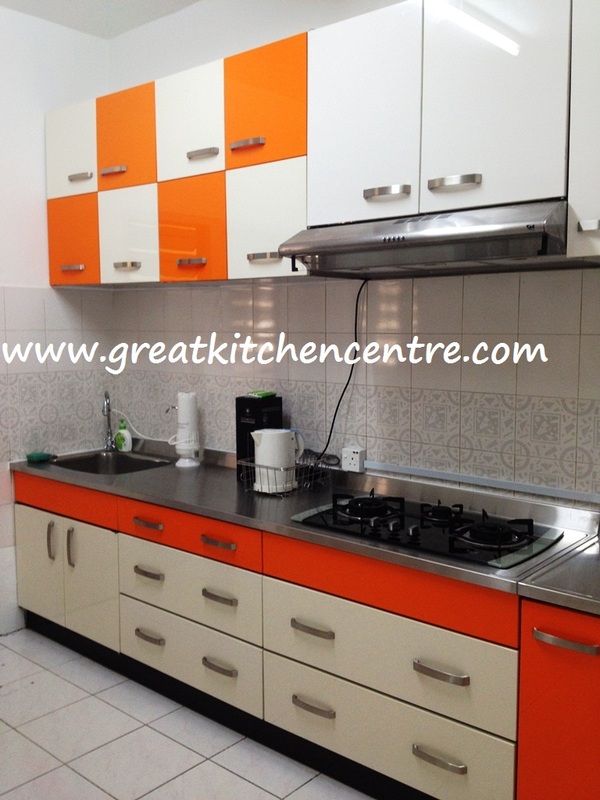 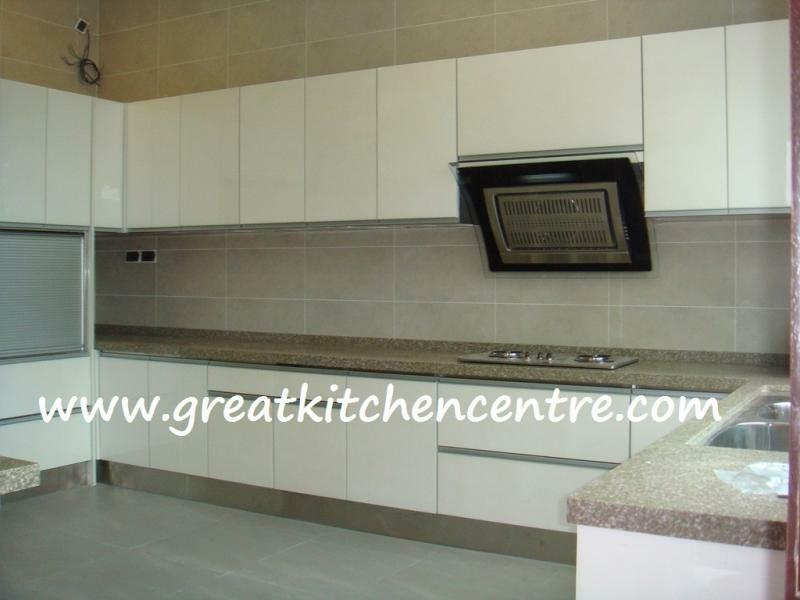 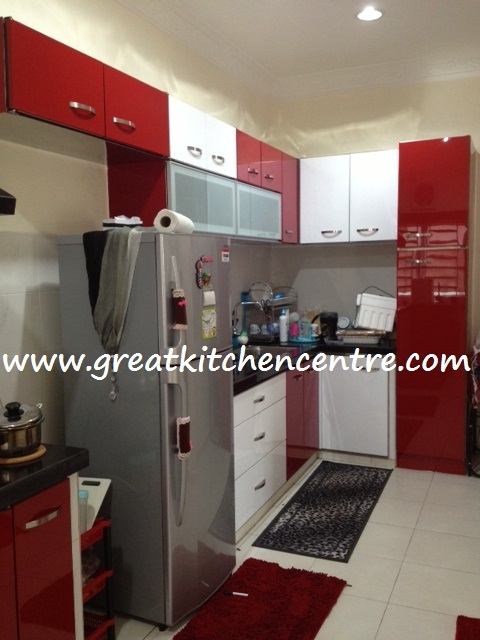 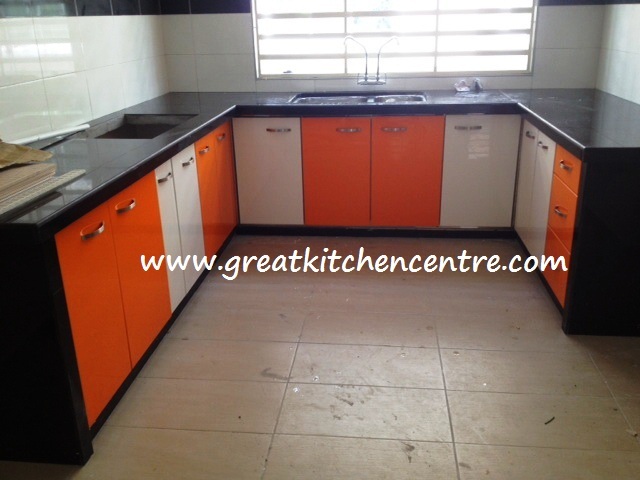 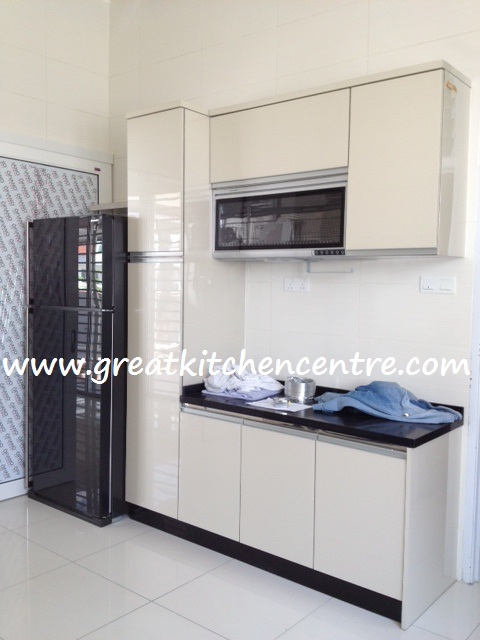 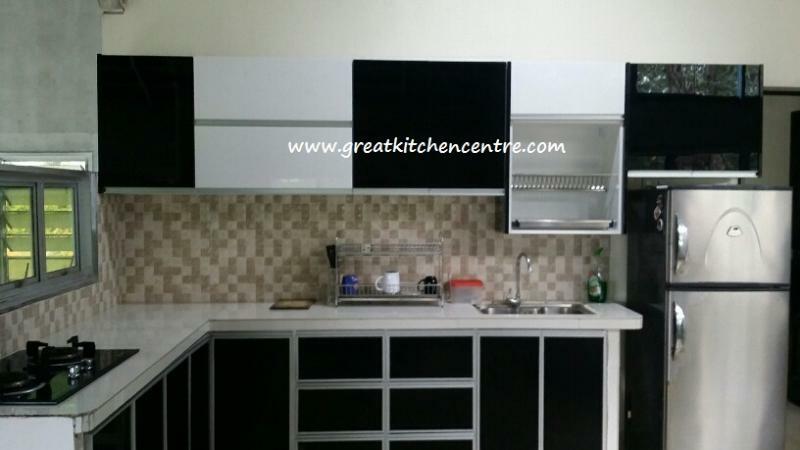 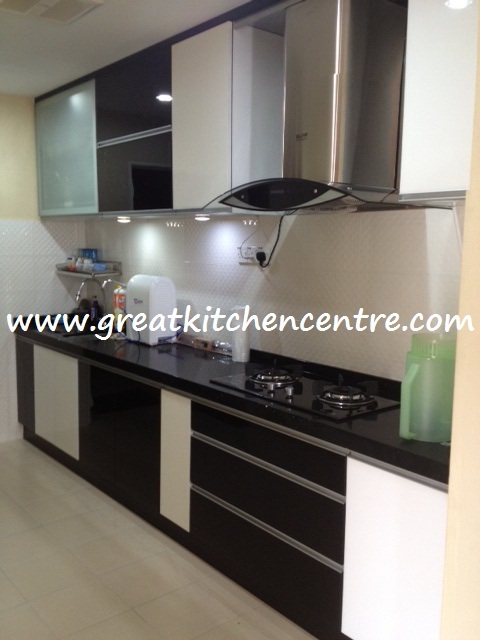 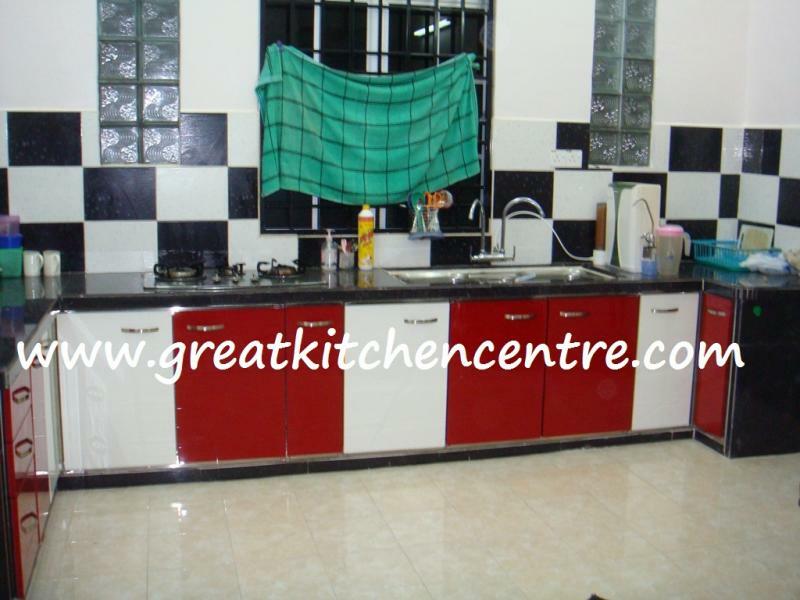 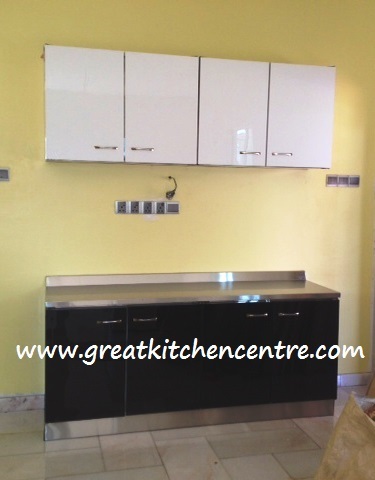 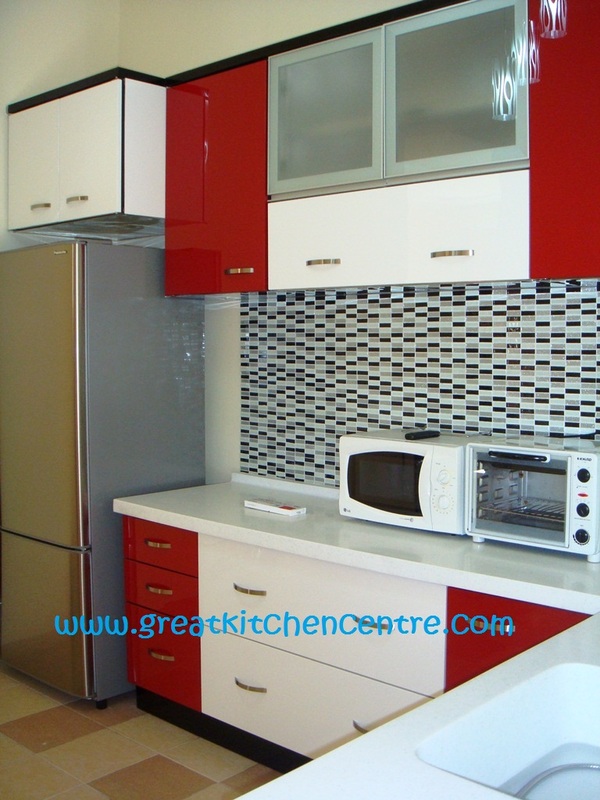 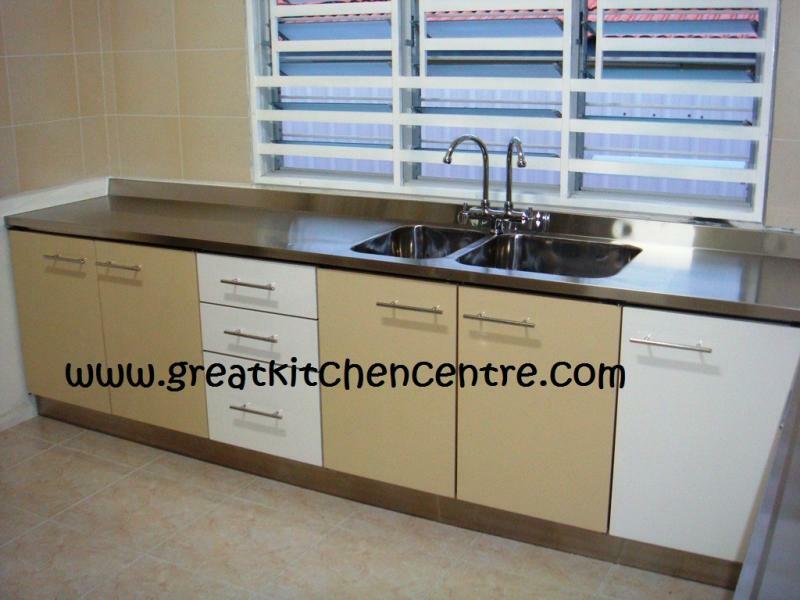 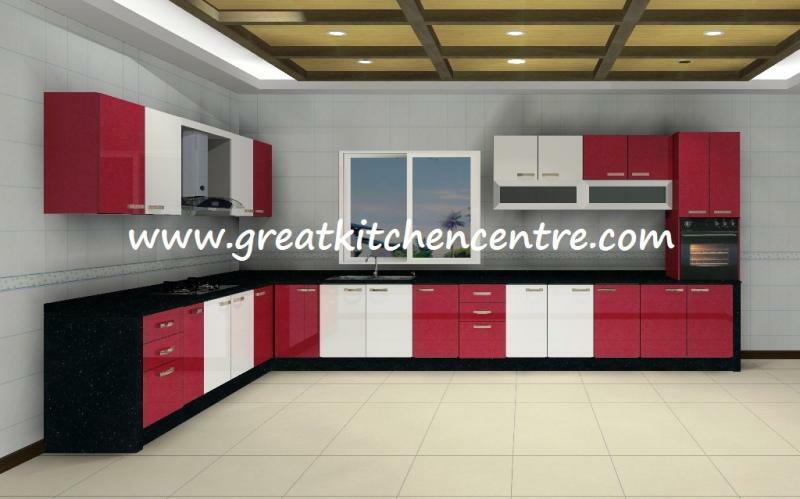 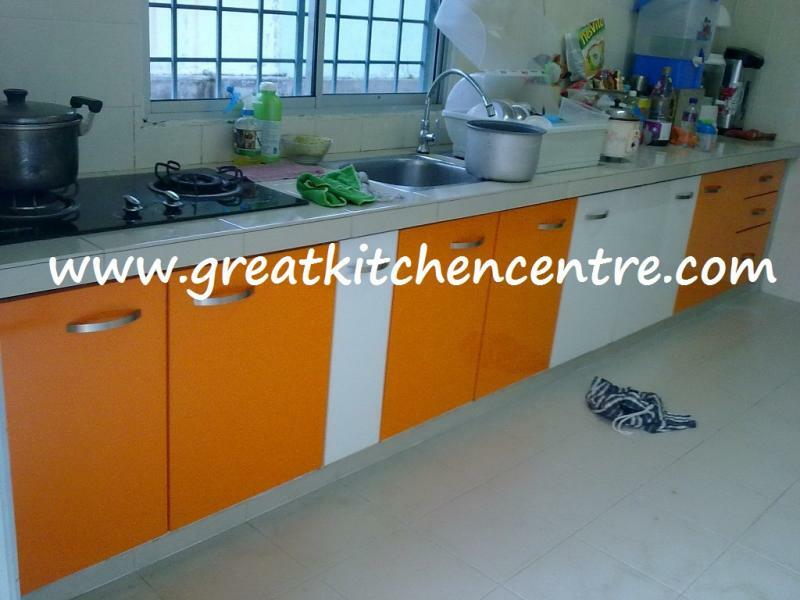 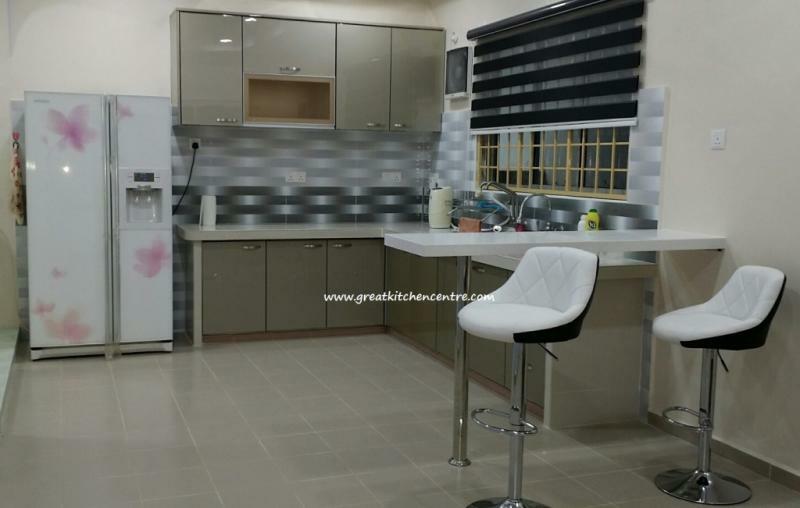 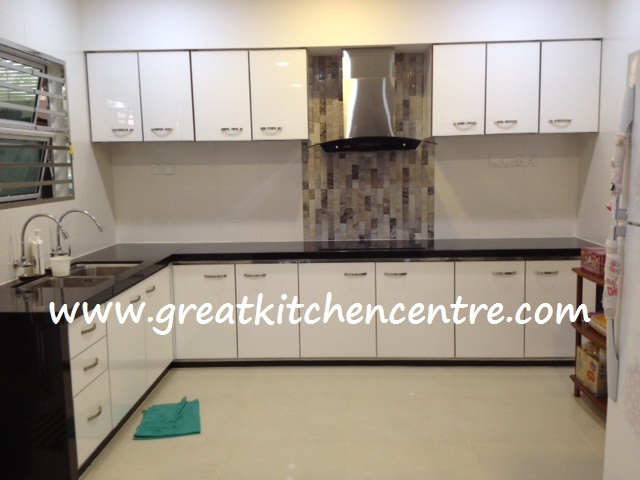 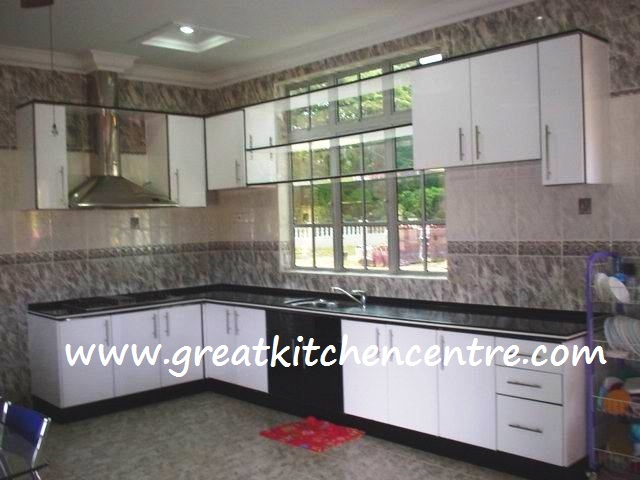 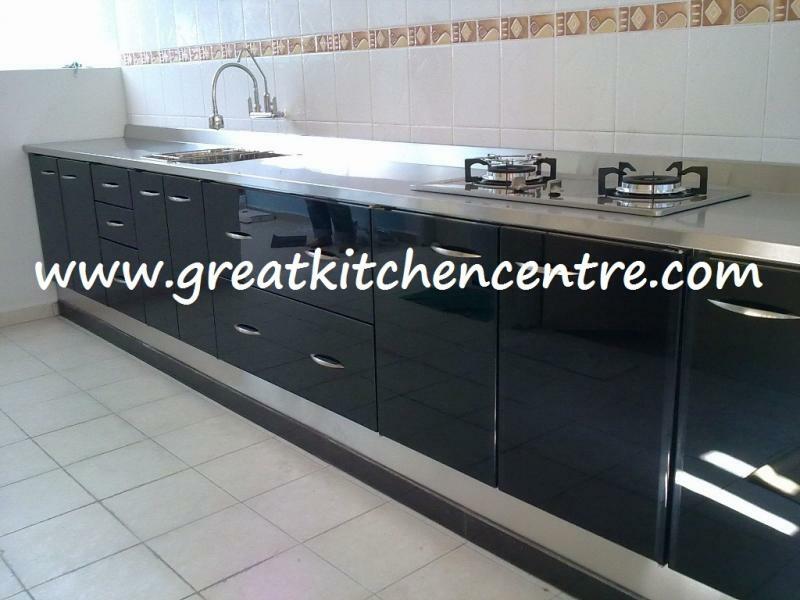 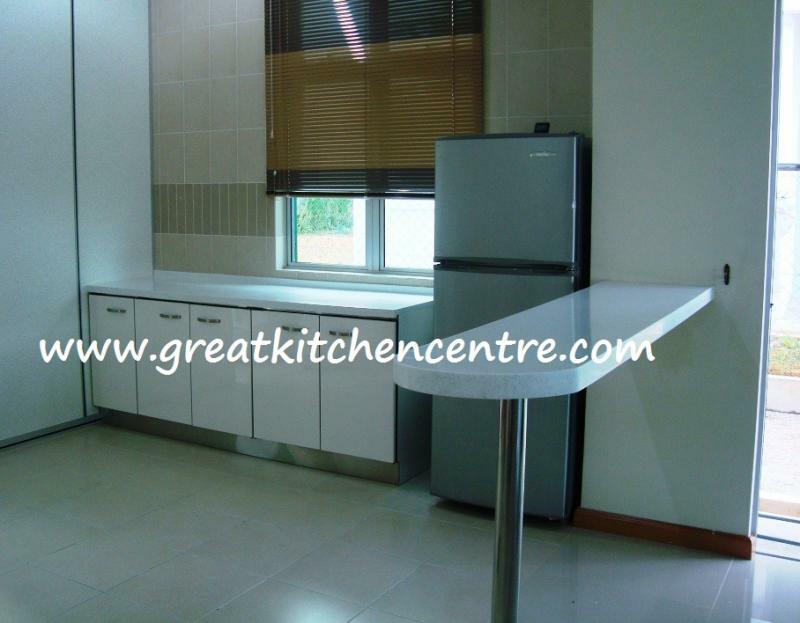 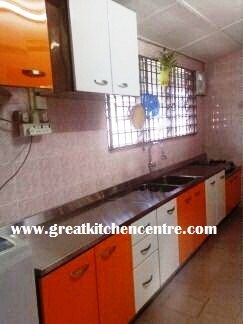 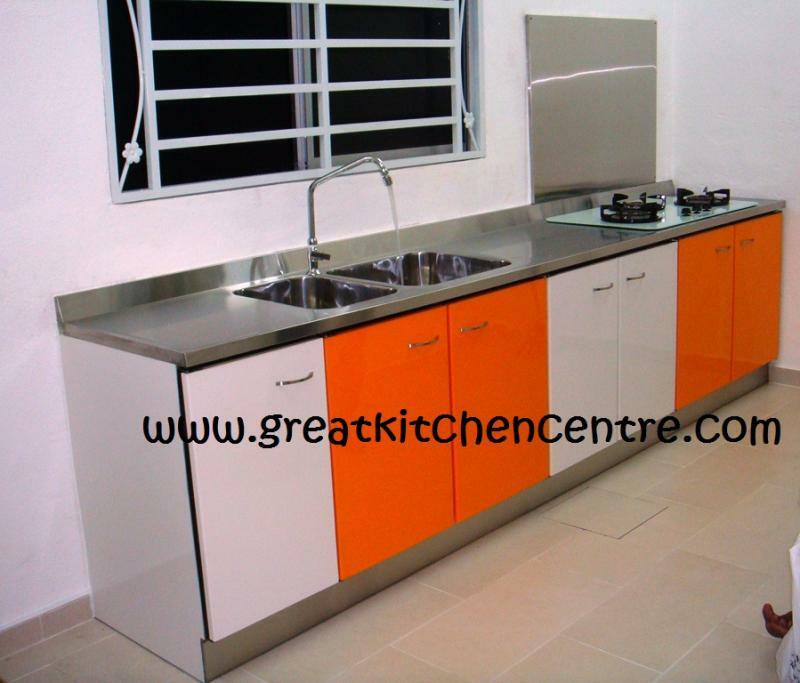 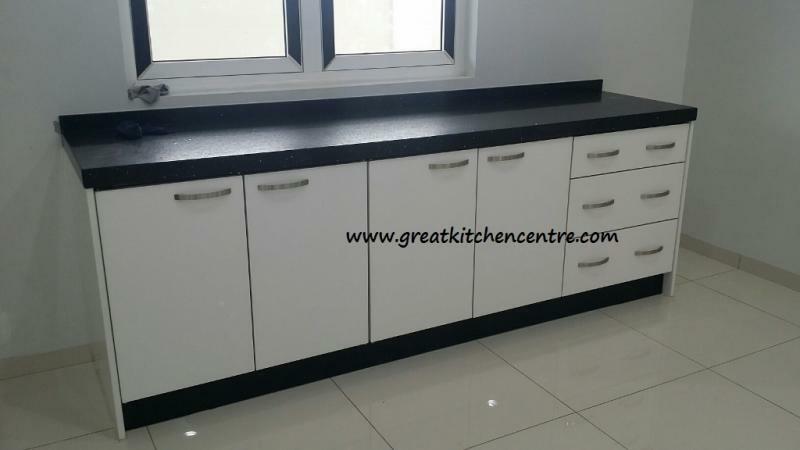 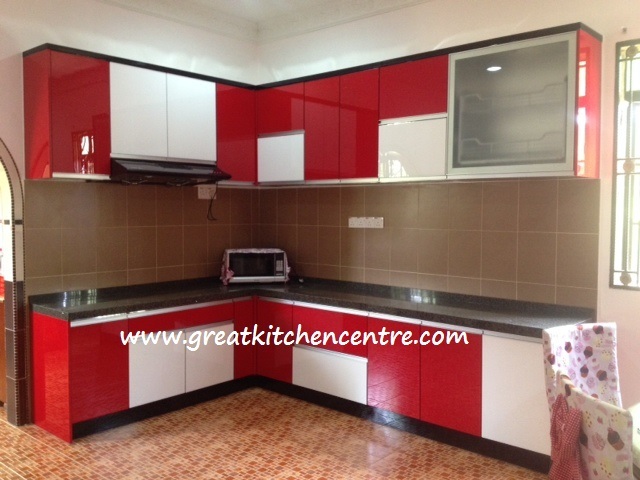 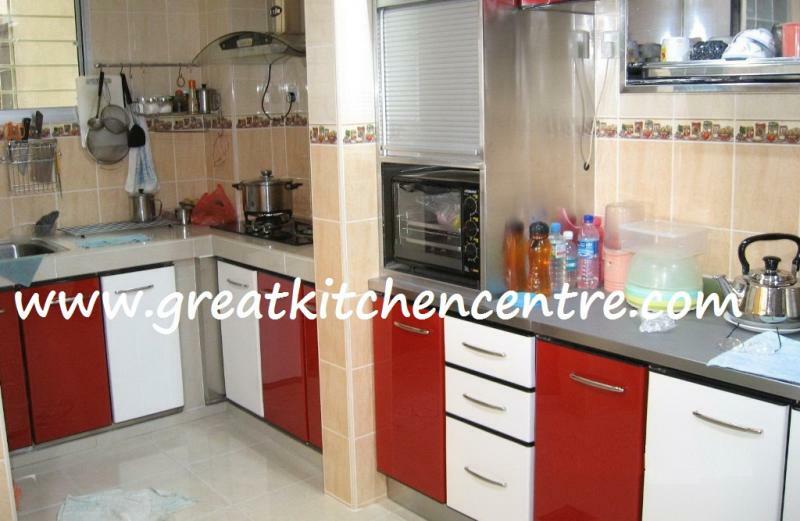 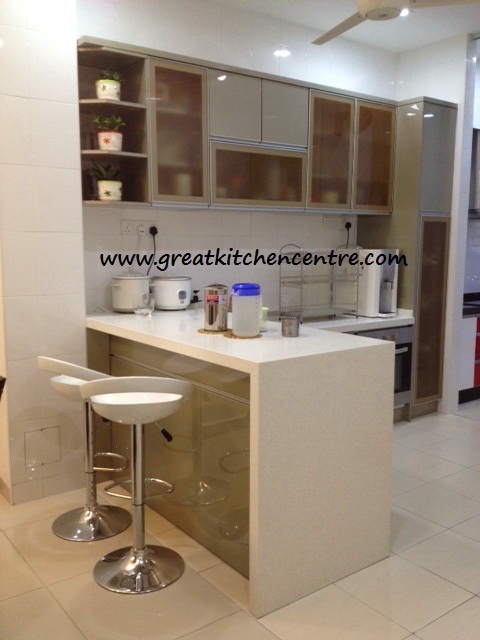 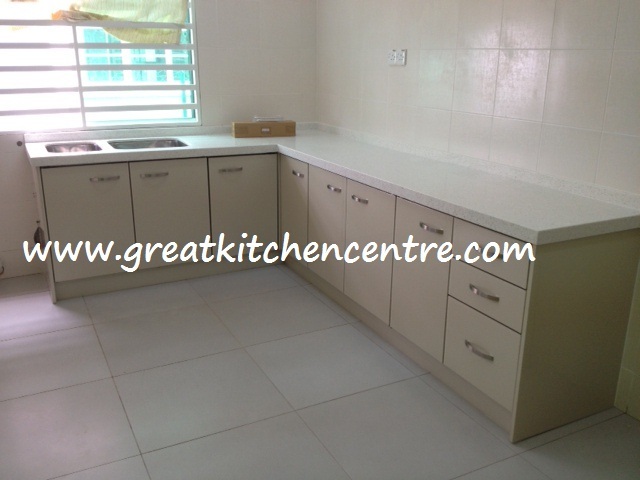 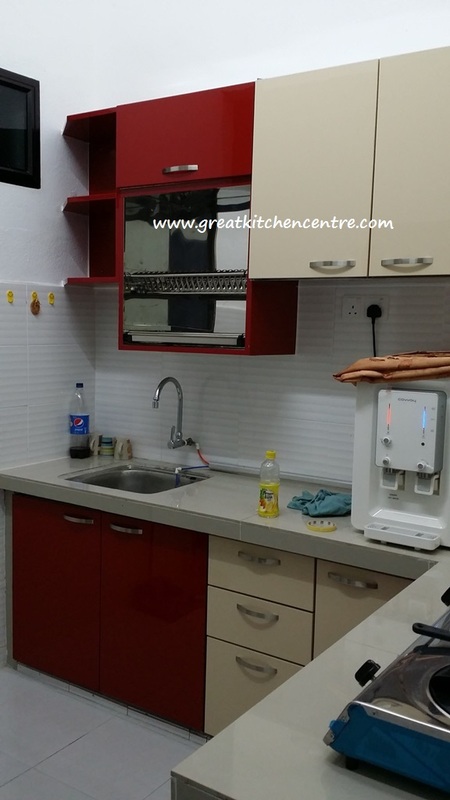 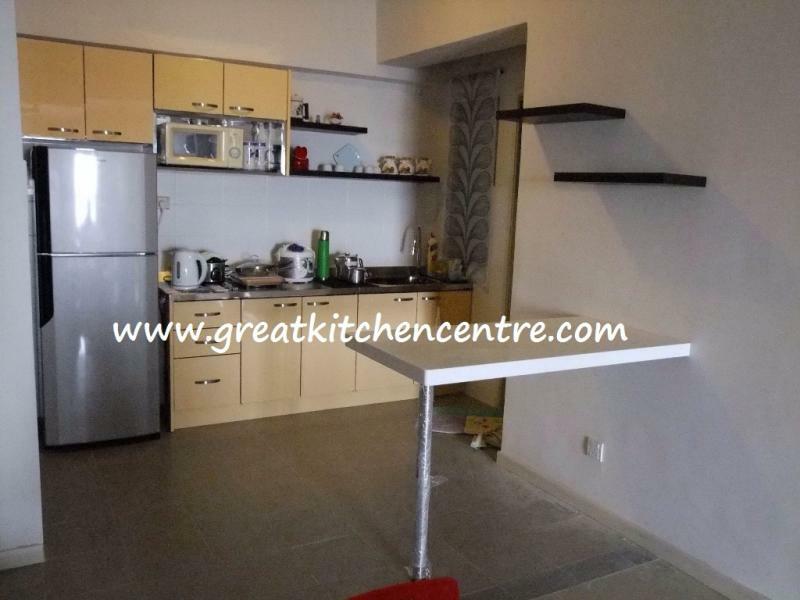 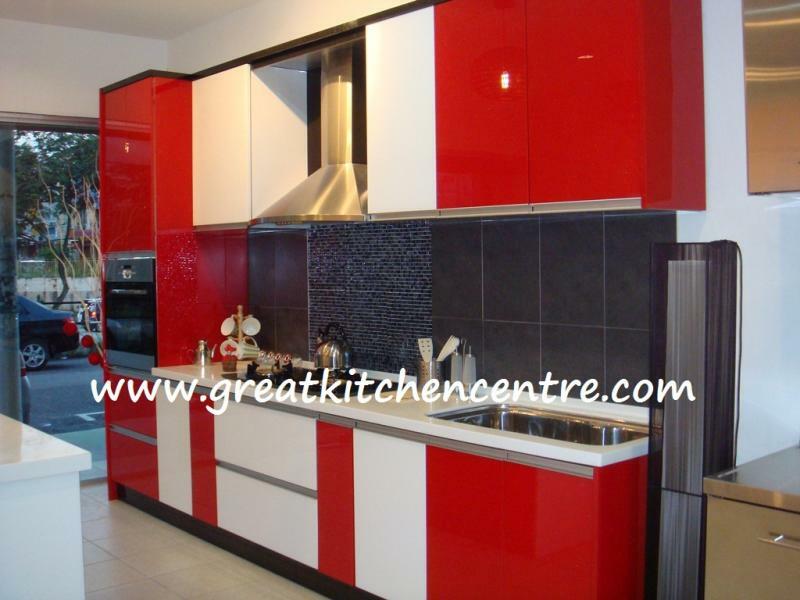 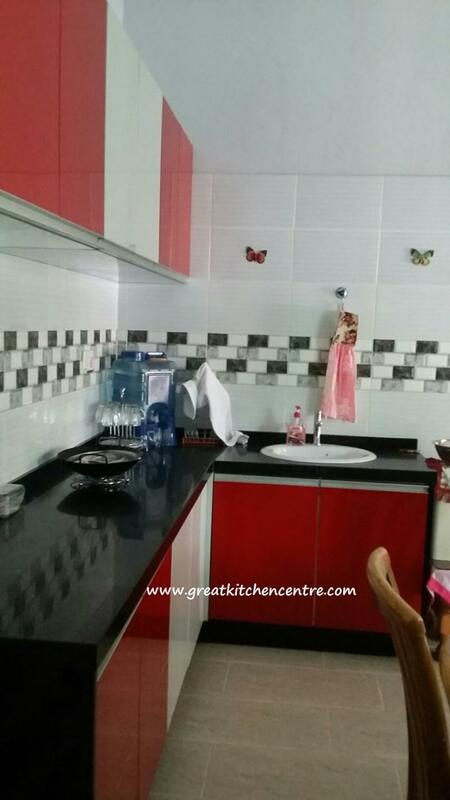 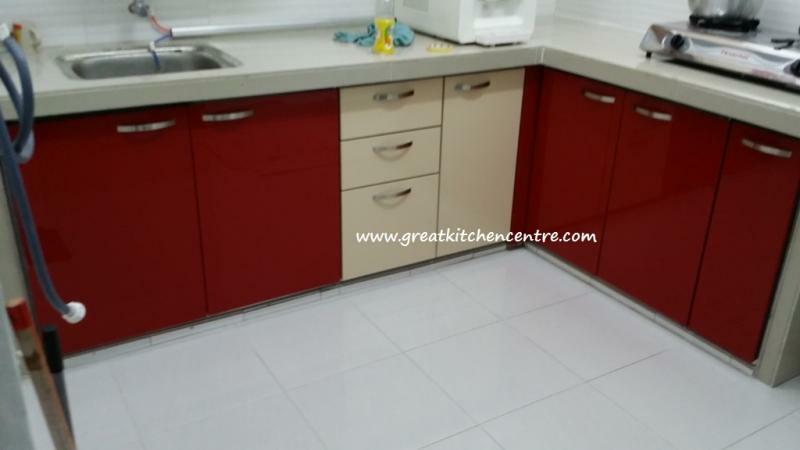 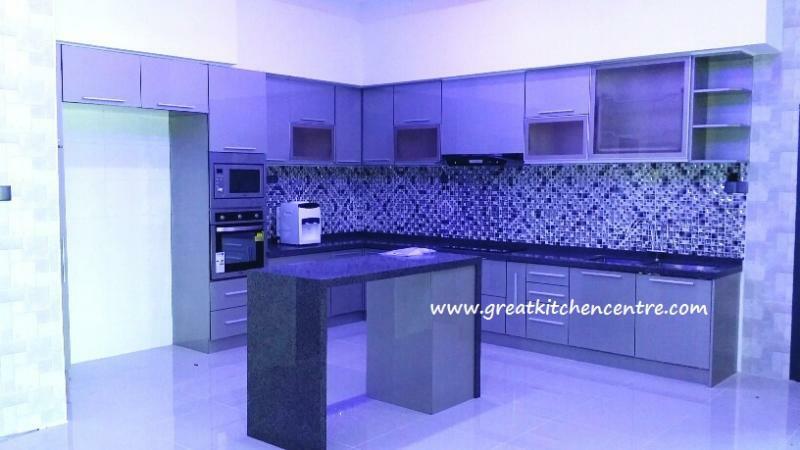 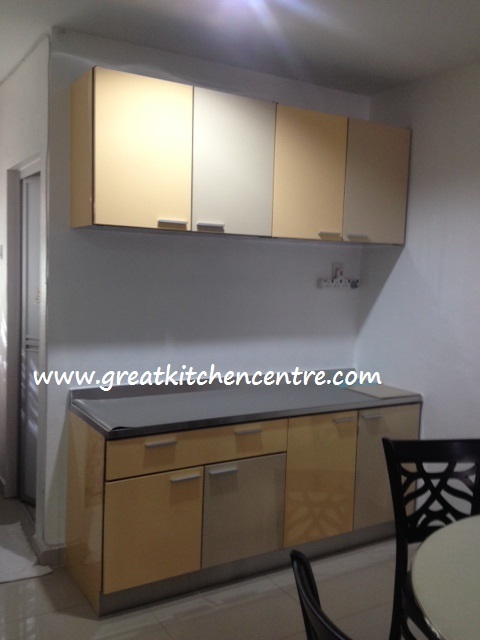 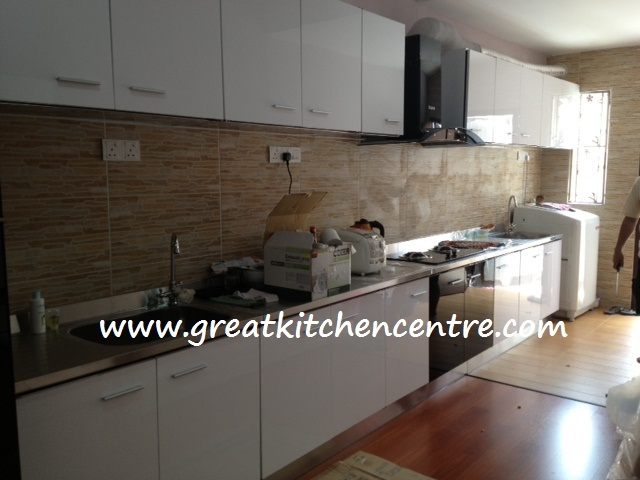 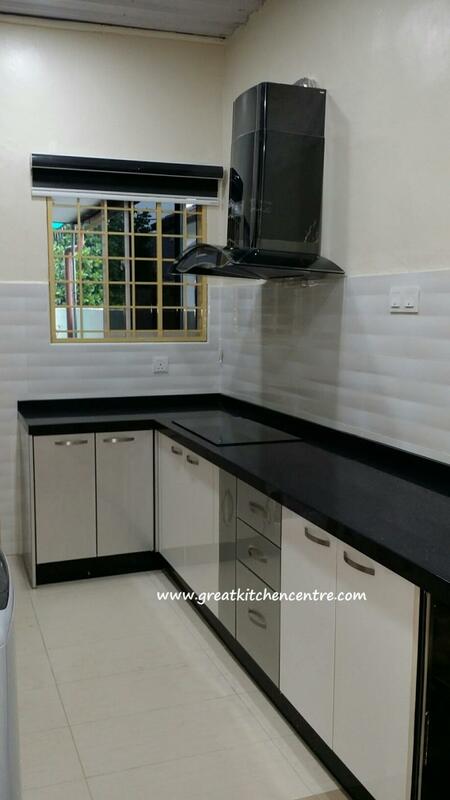 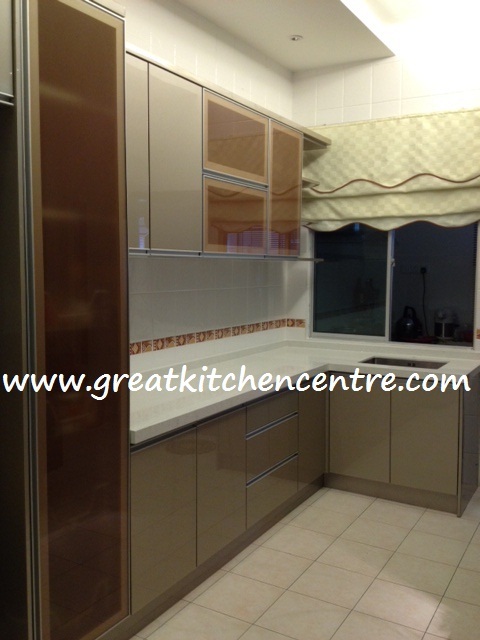 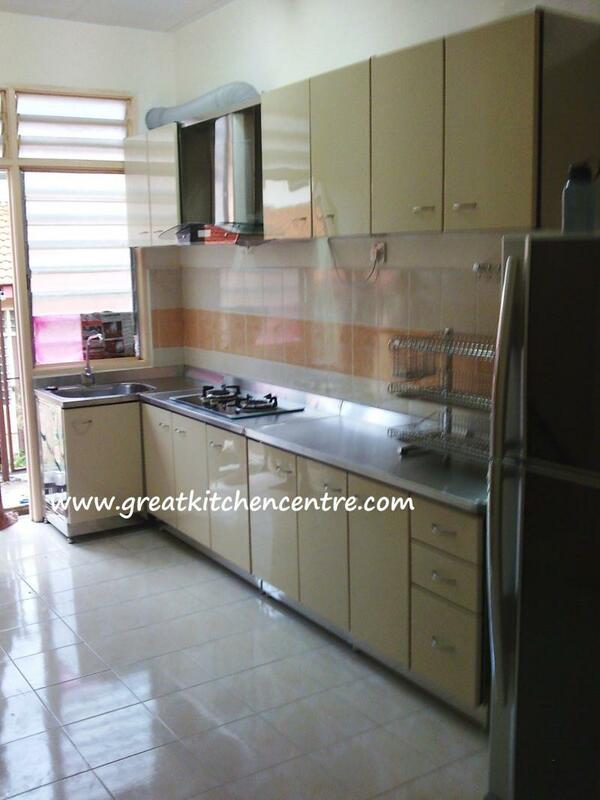 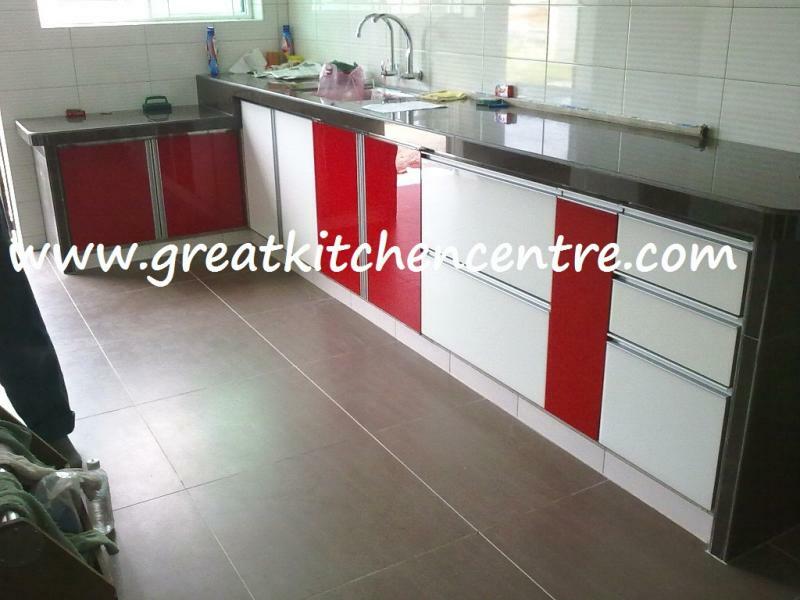 Why you should choose Great Kitchen Centre? 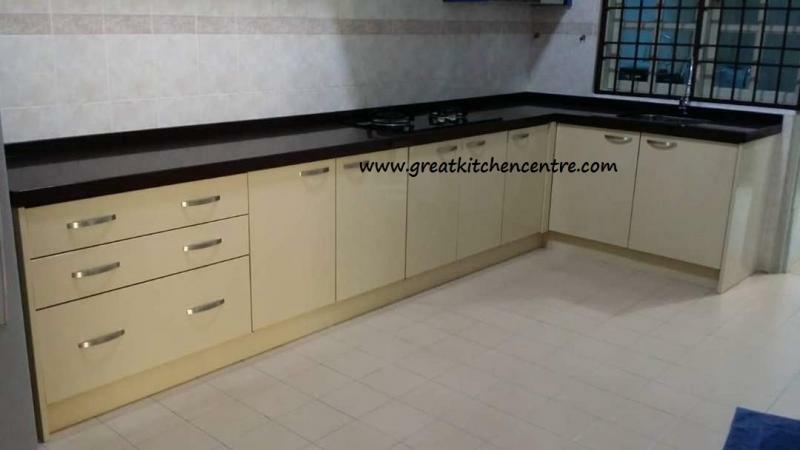 At GKC,our design team will work with you to create the plan that's just right for you and your kitchen.We are dedicated to serve excellence.When you choose GKC,you can feel confident that your new cabinetry will provide great satisfaction for many years to come! 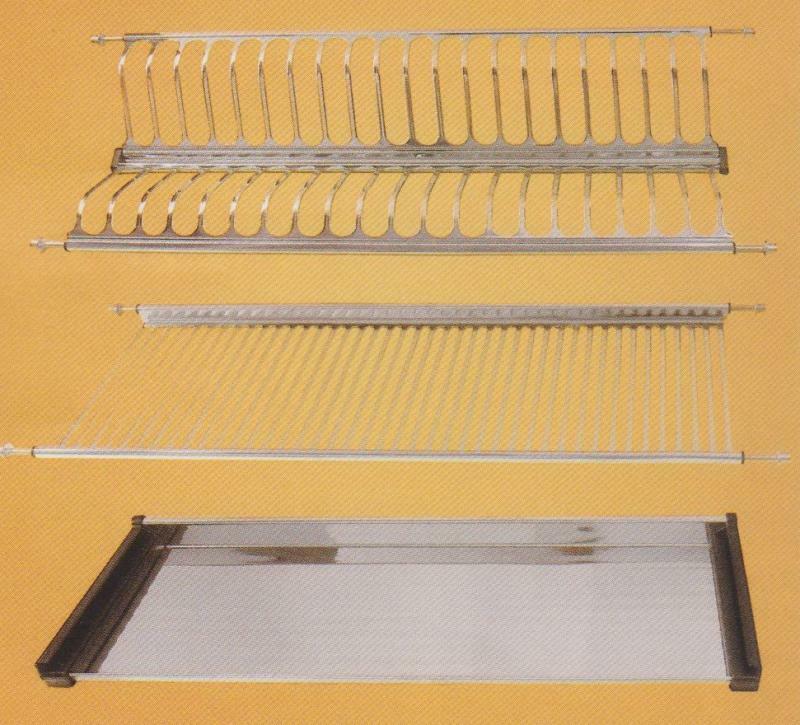 The easy cleaning ability of stainless makes it the first choice for strict hygiene conditions, such as hospitals,kitchens,abattoirs and other food processing plants. 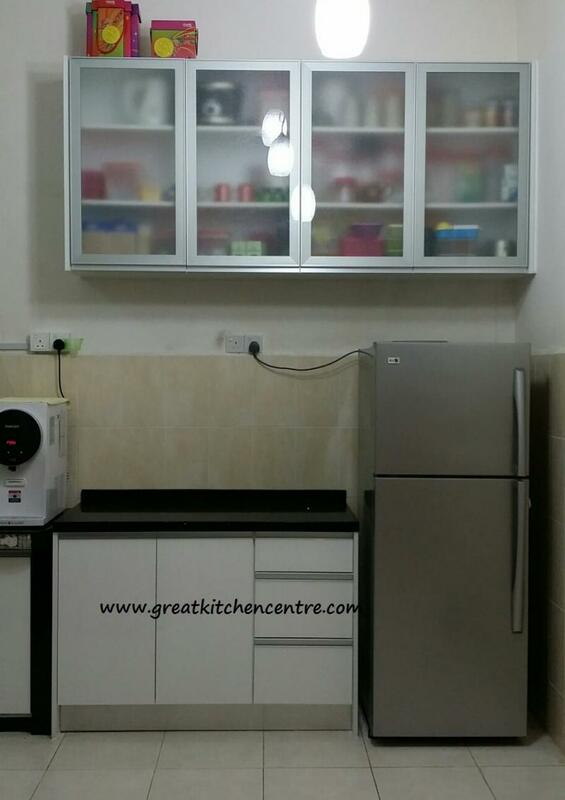 Kebersihan/Senang dicuci dan dijaga/Anti bakteria sesuai digunakan di hospital kitchen dan tempat-tempat untuk menyediakan makanan. 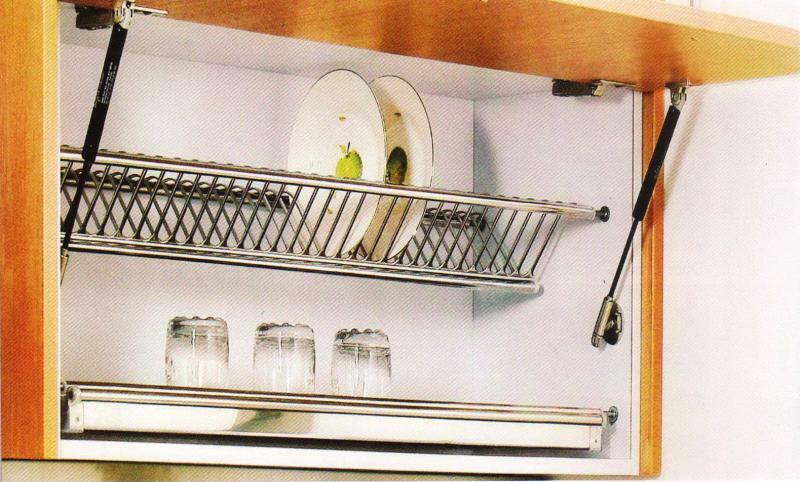 When the total life cycle costs are considered,stainless is often the least expensive material option. 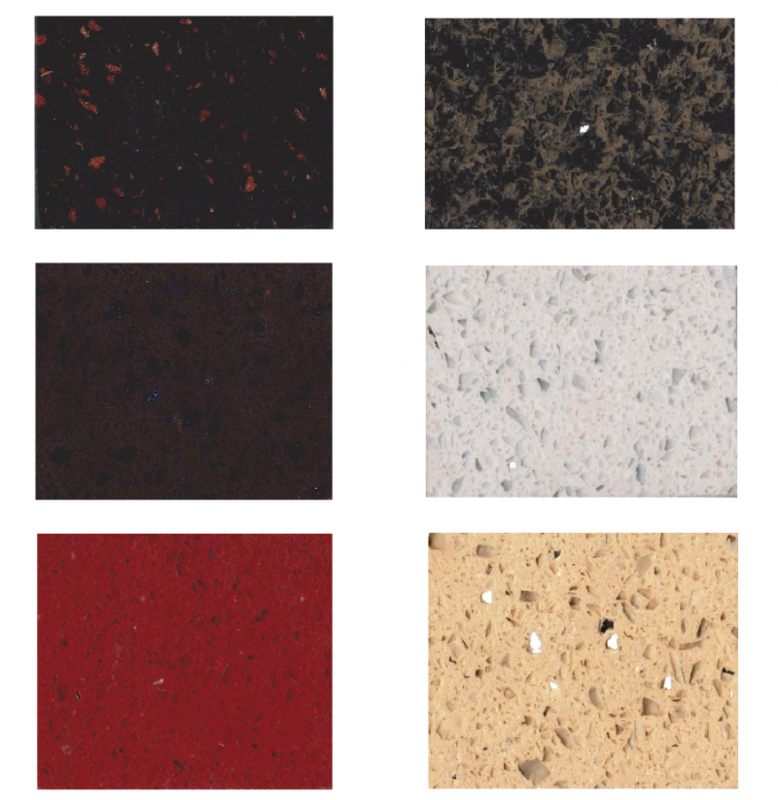 These versatile and attractive composite surfaces are made from a mix of acrylic resin and minerals. 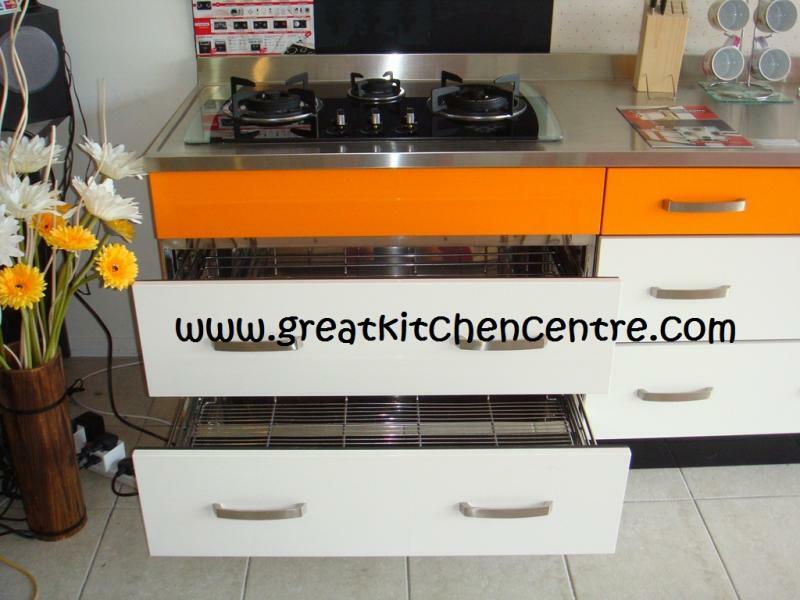 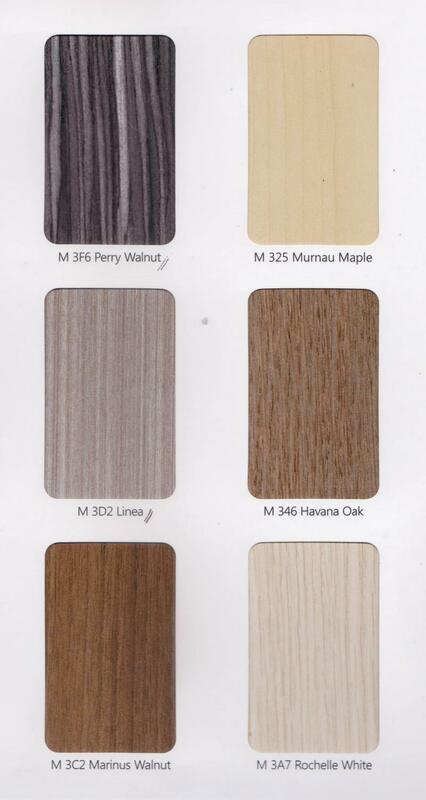 In a huge range of colours and patterns, they are non-porous, easy to clean and heat and stain-resistant. 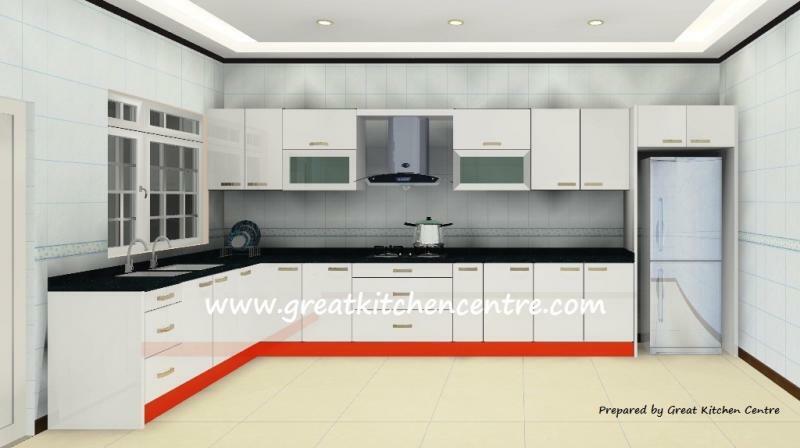 Minor burns or scratches can simply be sanded out. 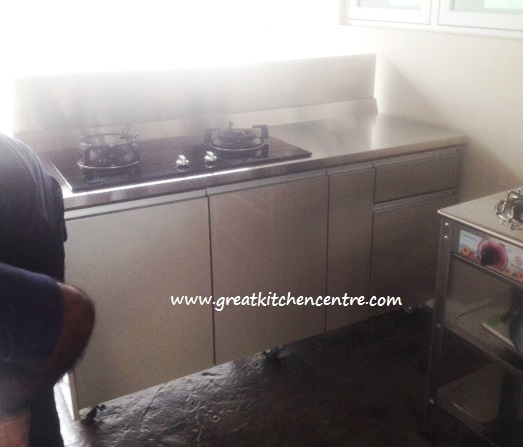 They can be pre-formed to any shape or size, with no visible joins, but need to be installed by a professional. 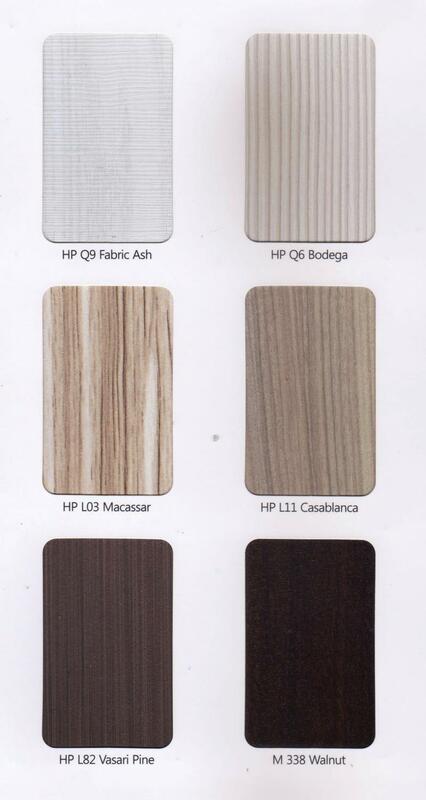 they have great impact resistance.Virtually all of them are nonporous,so they are unaffected by food and liquid stains. 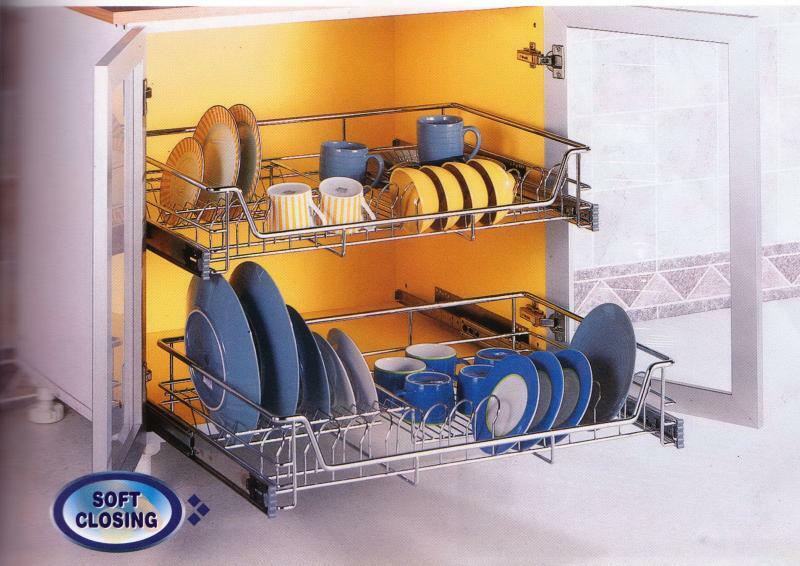 those nonporous surfaces also inhibit the growth of bacteria,mold and germs. 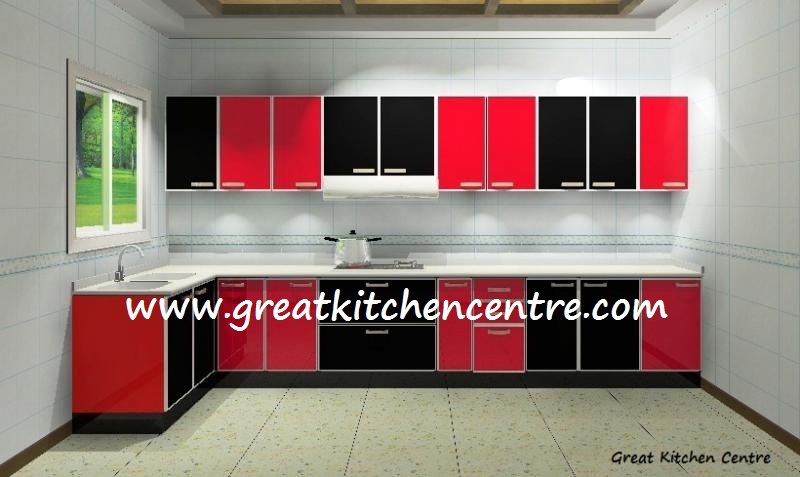 they carry their color and design straight through their thickness. 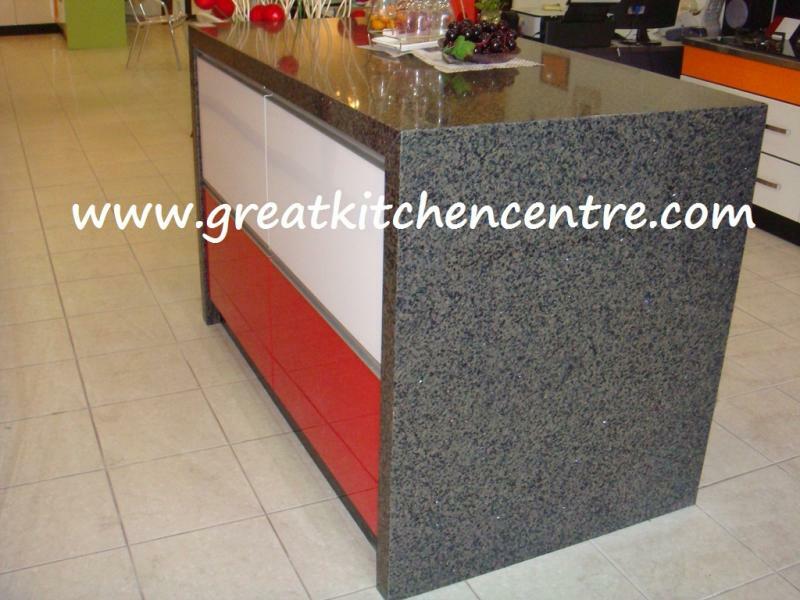 Natural stone products, such as marble and granite, can be difficult to repair. 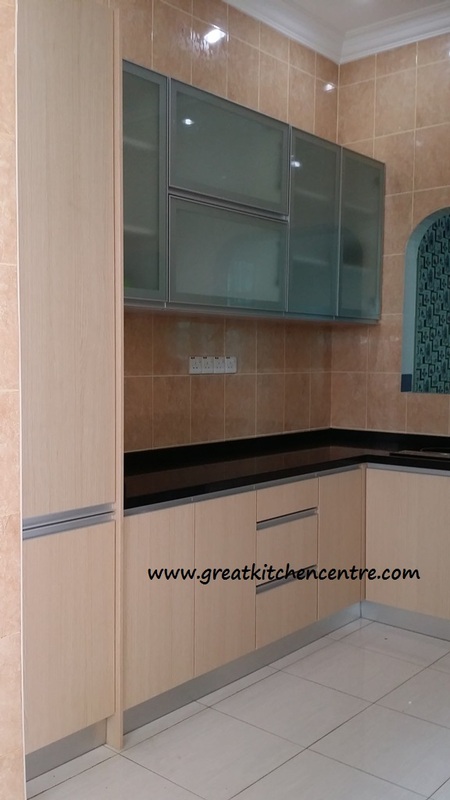 Senang dicuci dan dipelihara.Permukaan calar boleh dibaiki dengan menggosok kertas pasir halus. 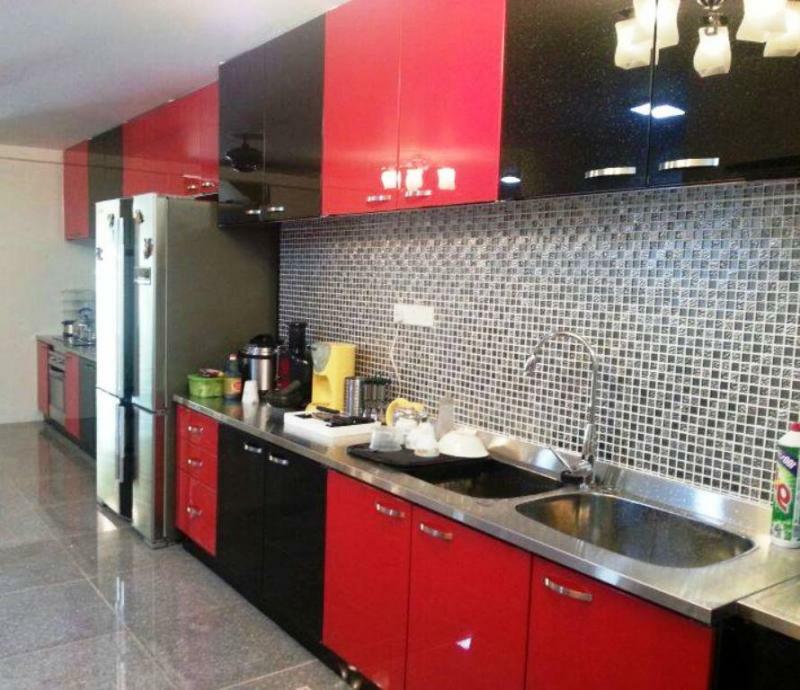 Tiada sambungan.Oleh itu ia senang dibersihkan dan tidak menyimpan bakteria. 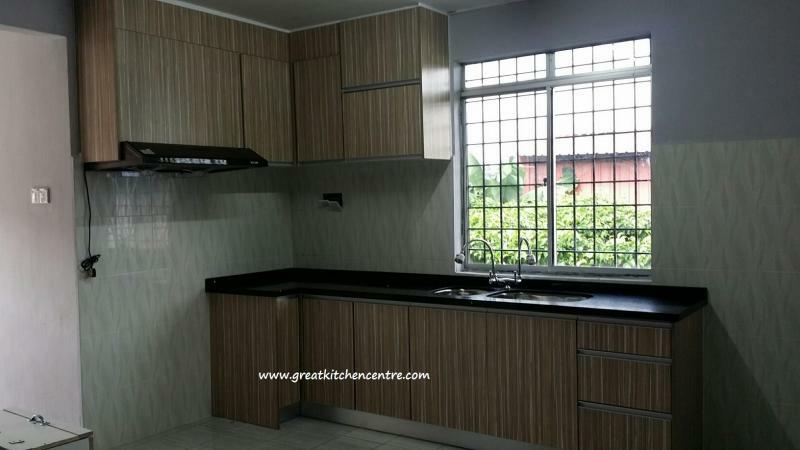 Tahan haba yang tinggi sehingga 240 darjah C.
Boleh menghasilkan rekaan yang unik kerana ia boleh dibentuk mengikut rekaan berkenaan. 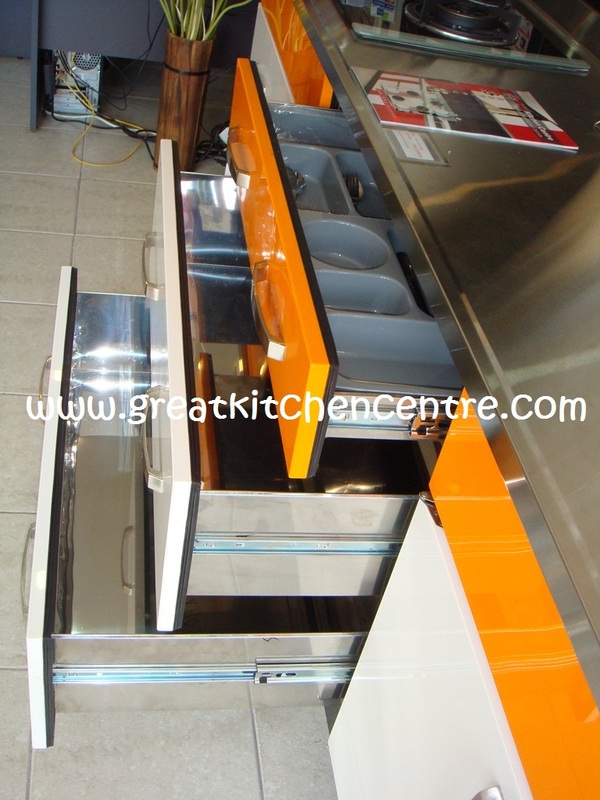 Always apply stainless steel cleaner/polish with a non-abrasive or nylon sponge, working with, not across, the grain.Cleaners containing chloride are not recommended if used. 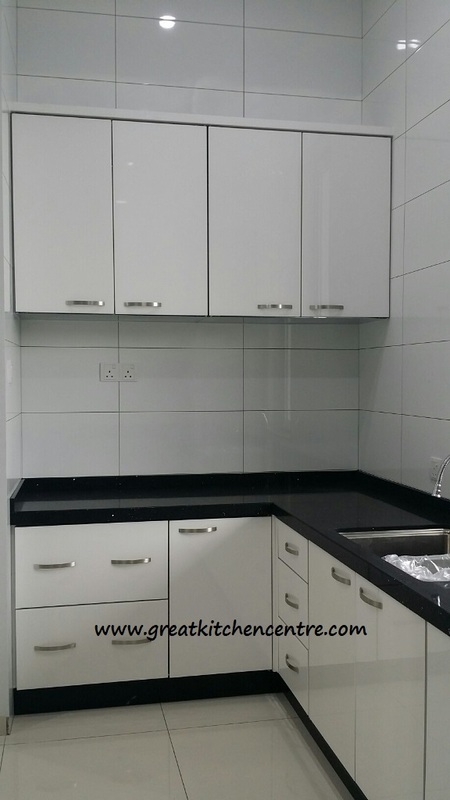 Always rinse the sink clean after using a cleaner or soap and then dry it with a soft cloth.It is important to wipe up spills and water marks as they occur. 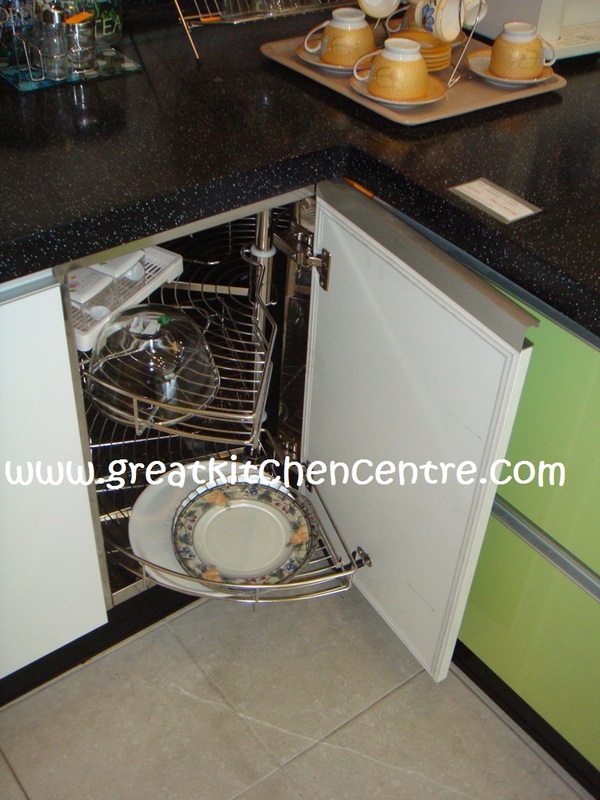 Acids and salts have the potential to damage the finish of a stainless steel sink,so it is important to avoid leaving foods that contain these in the sink. 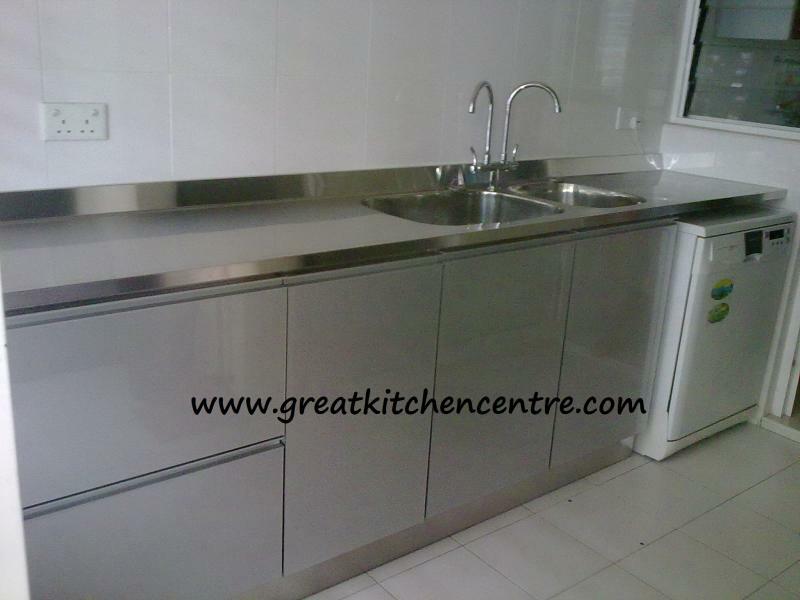 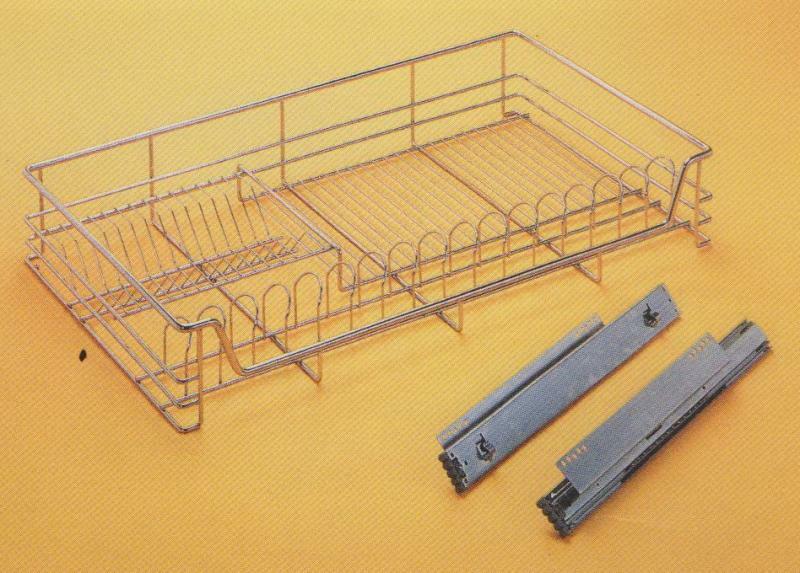 Do not allow oven cleaners to come in contact with stainless steel finished. 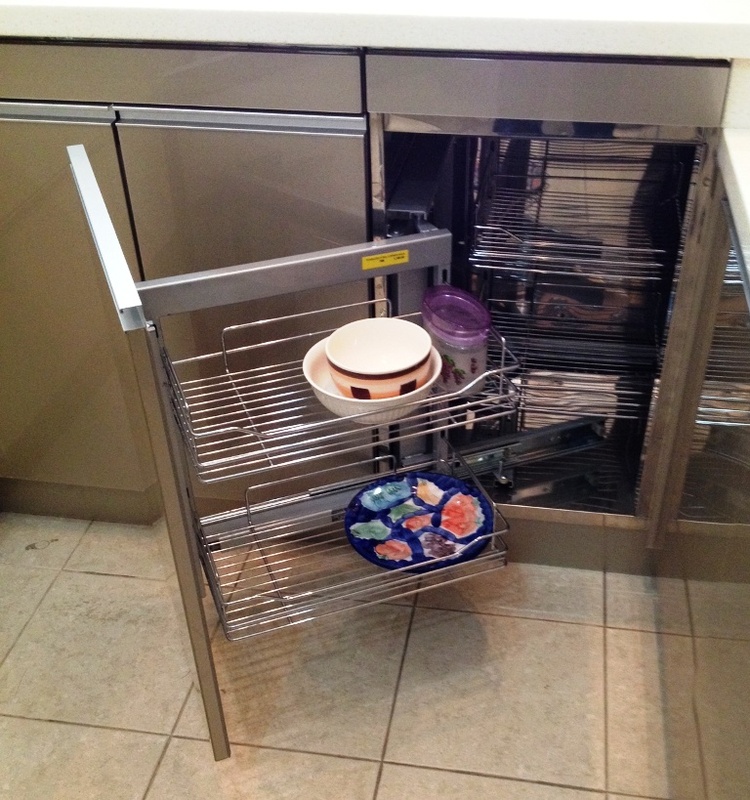 Avoid draping damp or wet dish towels over the door of the sink base cabinet. 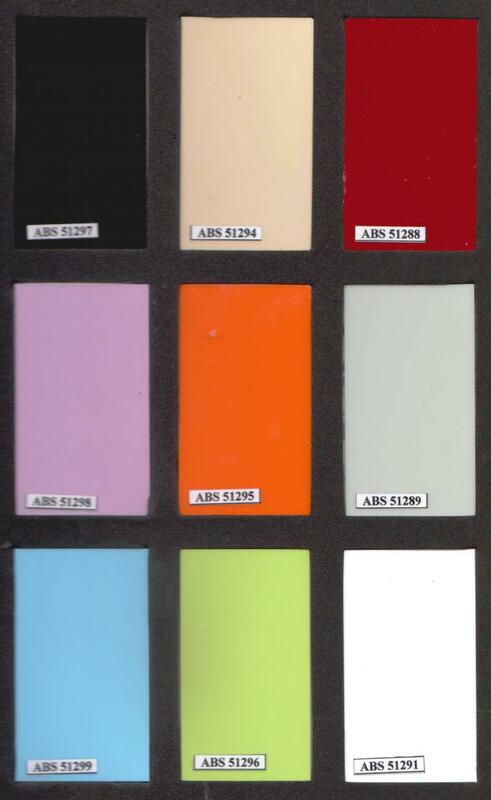 Over time, this moisture can cause permanent water damage to the door.